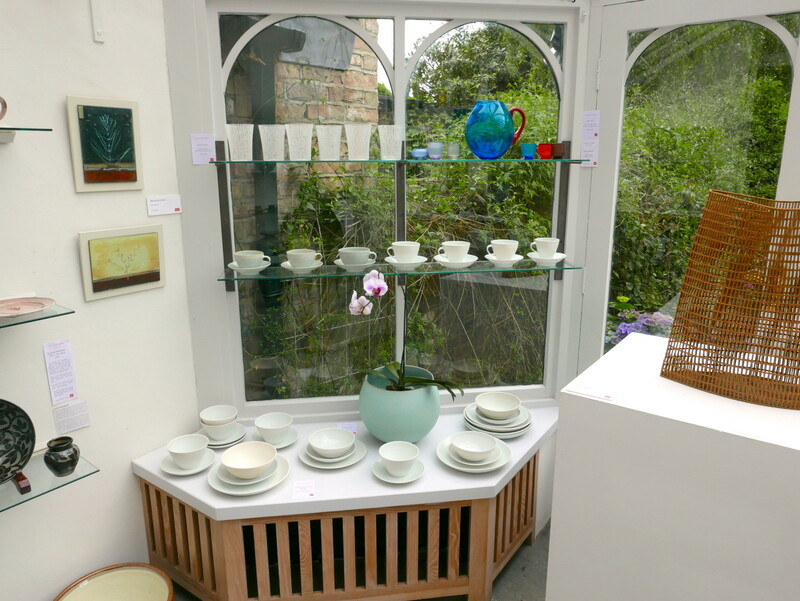 Exhibitions are fun to put together, you never really know until the end of the hang (and getting to know the work that you are showing) how it is going to look and where the impact will lie. 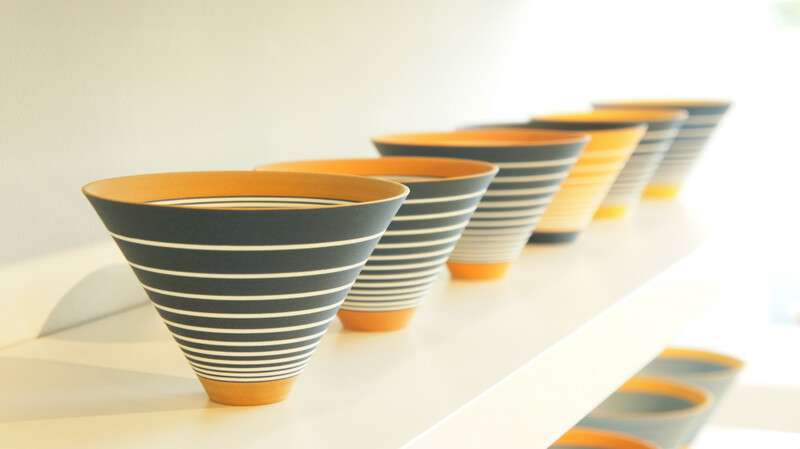 This is a constant challenge – I love mixing it up a little and surprising people. 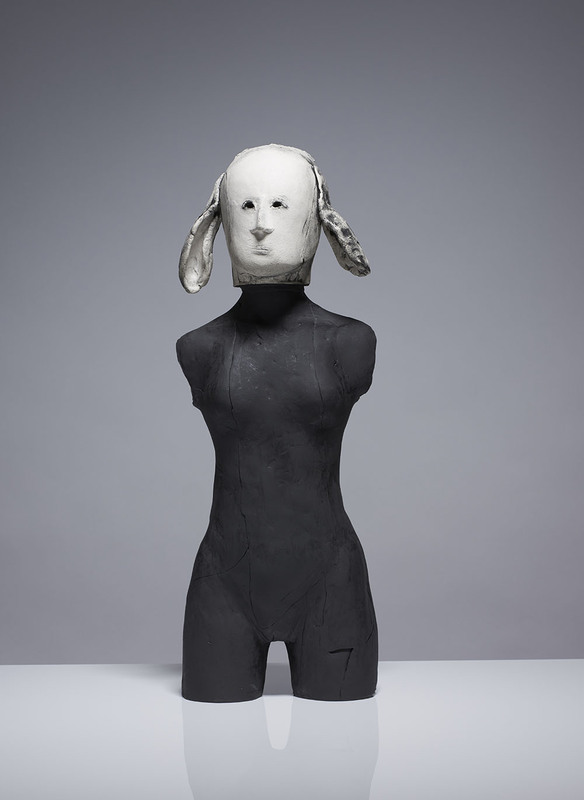 Joanna Bird is delighted to be returning to Collect 2019. 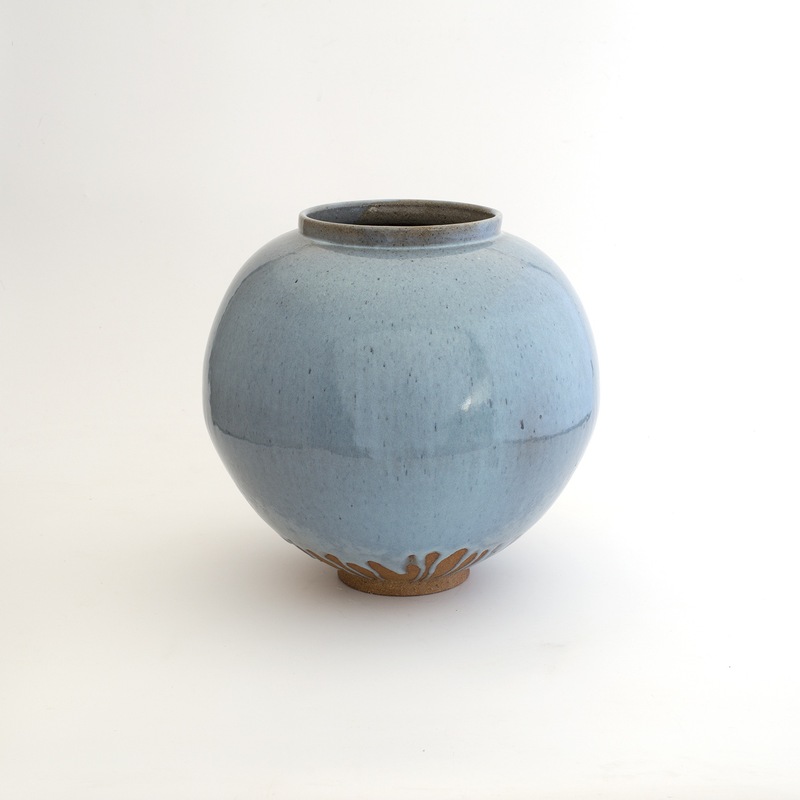 We have a wonderful mix of new and established artists, all with their unique voice and quality craftsmanship. 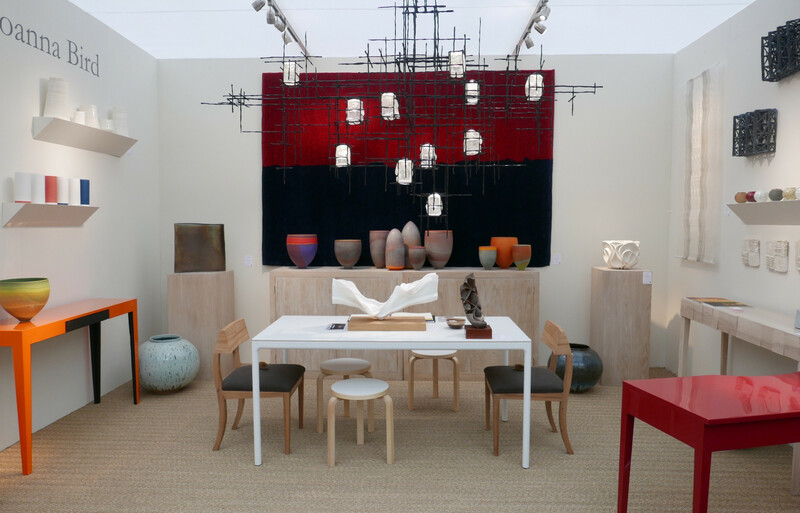 Halima Cassell, Steffen Dam, Sara Dodd, Pippin Drysdale, Joseph Harrington, Catrin Howell, Theis Lorentzen, Hattori Makiko, Nest Design, James Oughtibridge, Bruno Romanelli, Lucie Rie, Matt Sherratt, Katie Spragg, Karlyn Sutherland, Kaori Tatebayashi, Adi Toch and John Ward. 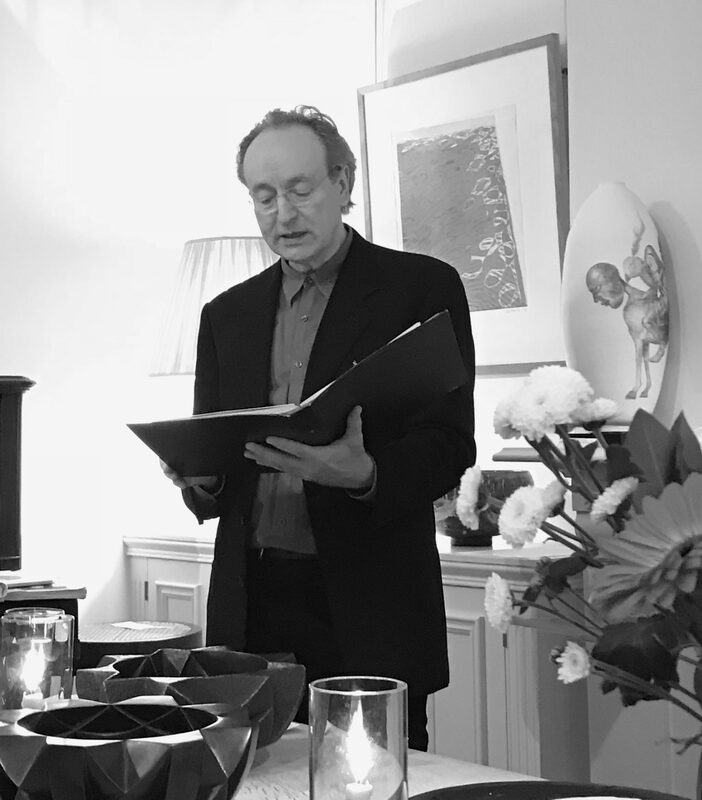 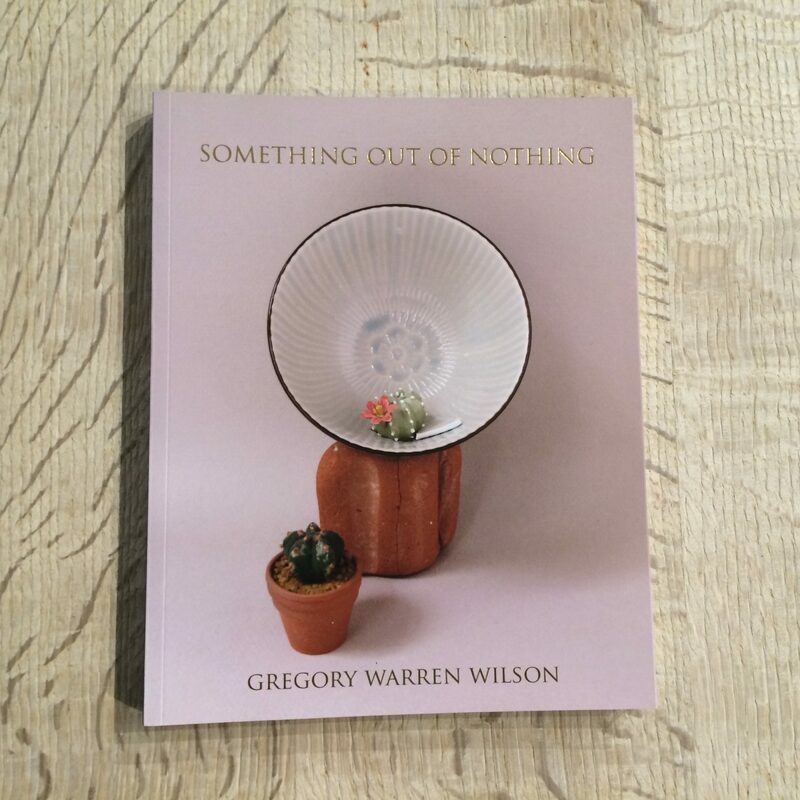 On the 8th November we were delighted to have poet Gregory Warren Wilson join us for a special event during Heavenly Bodies, Earthly Forms. 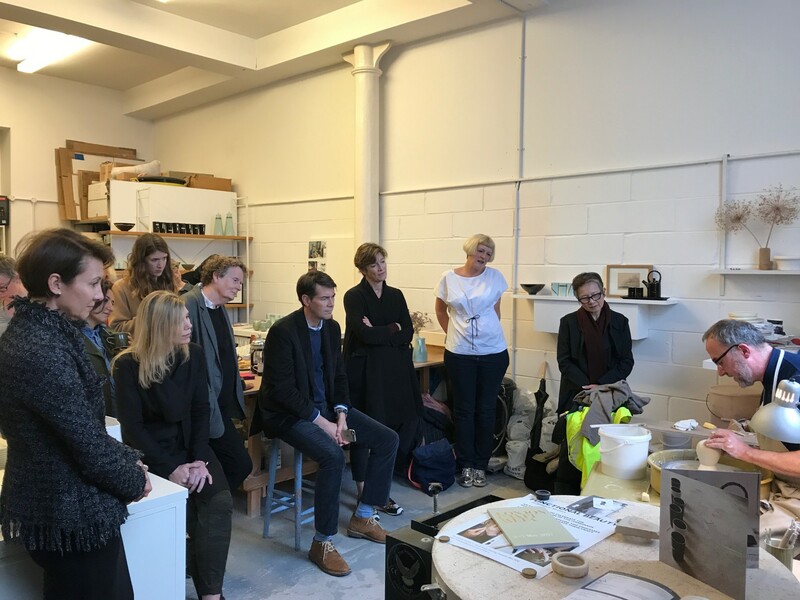 Poetry Amongst the Pots offered an evening of performance by Gregory followed by a Q&A covering inspirations, influences and his favourite pieces from the exhibition. 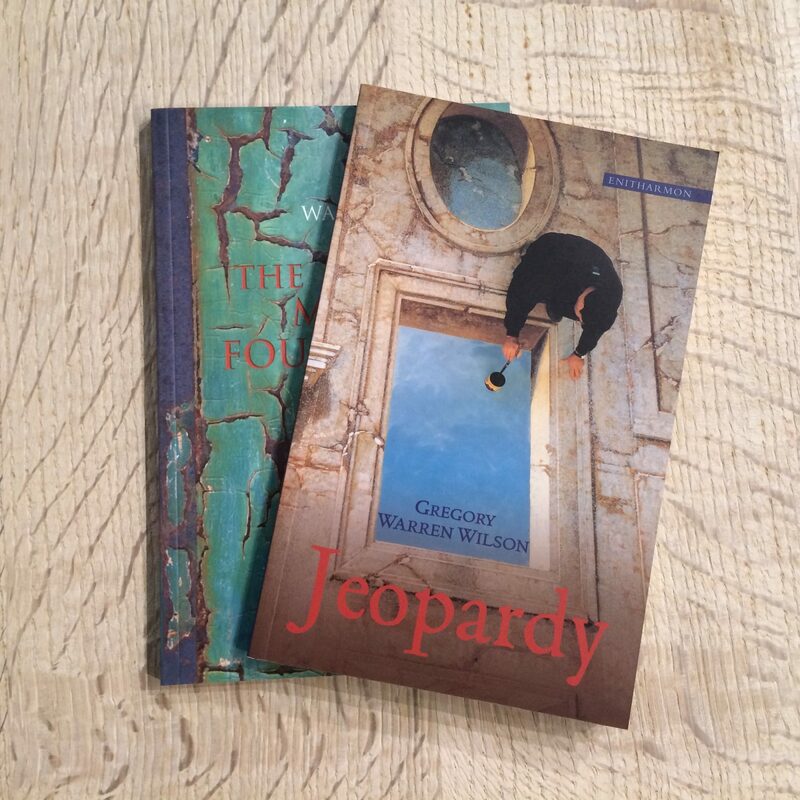 Collections of Gregory’s poems now on sale for £5, plus P&P, please email us on info@joannabird.com for details. 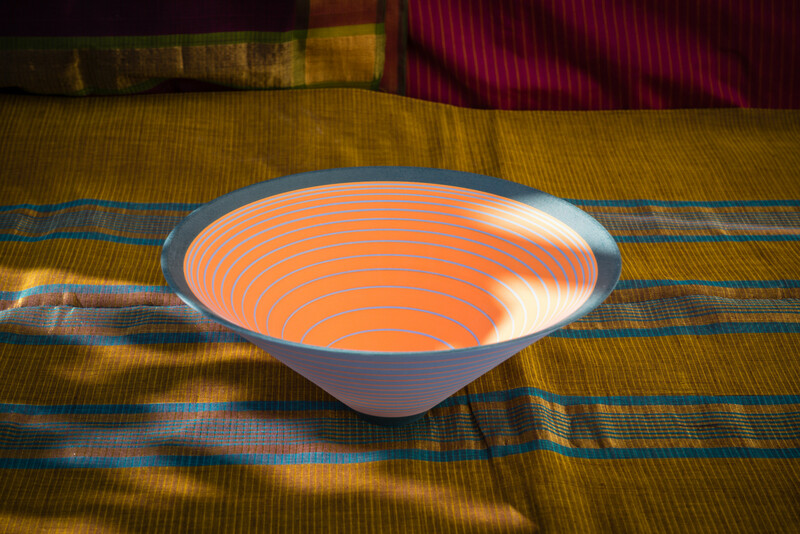 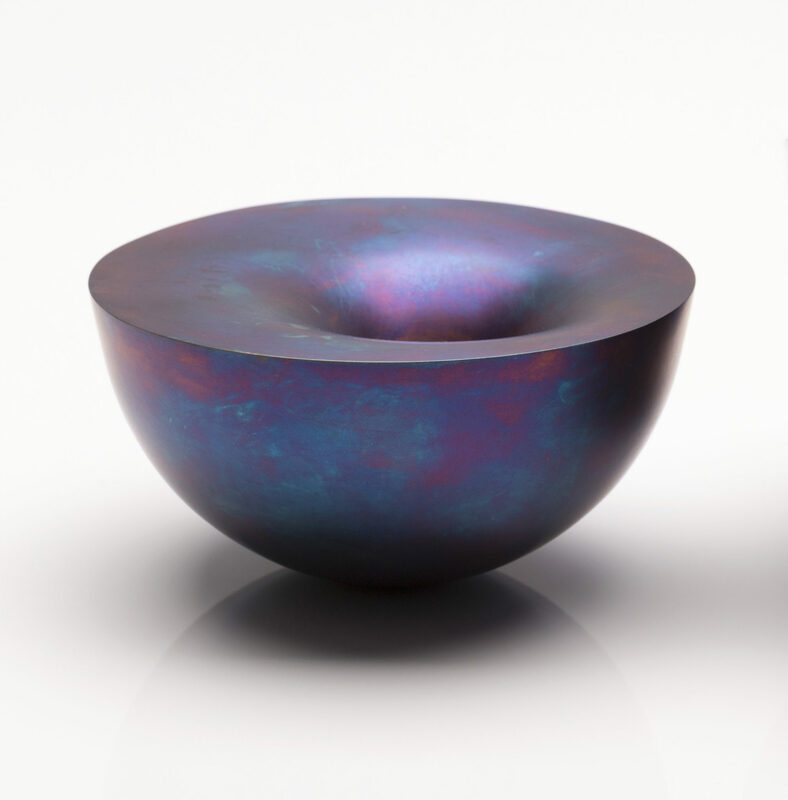 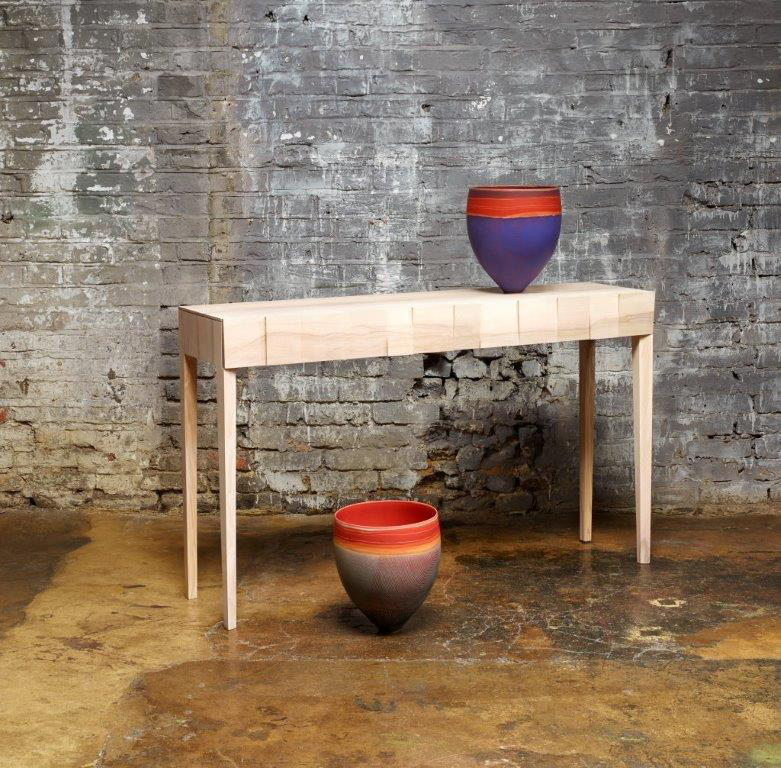 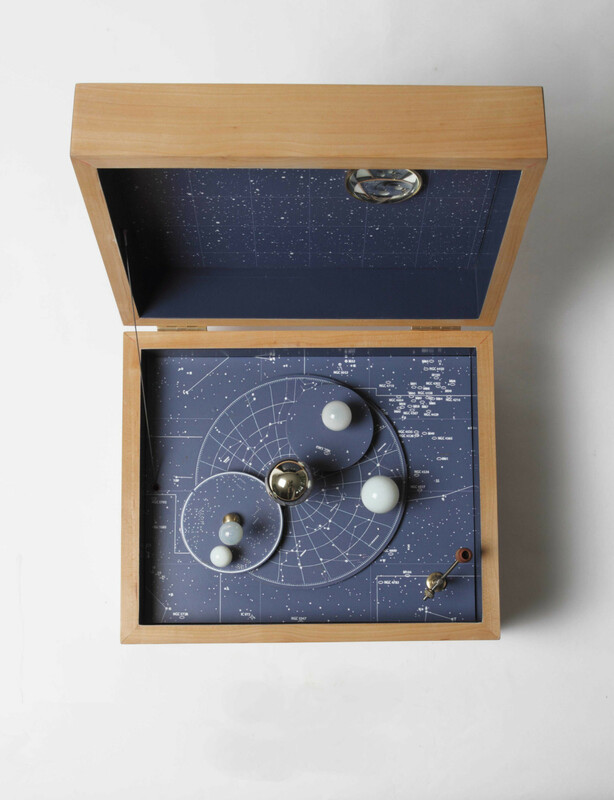 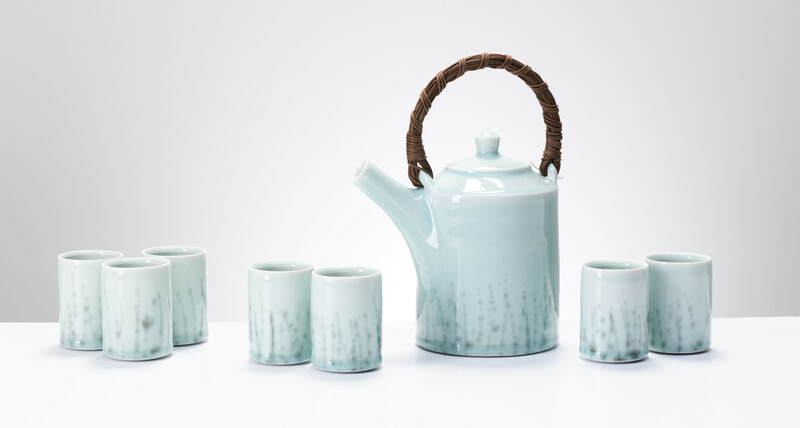 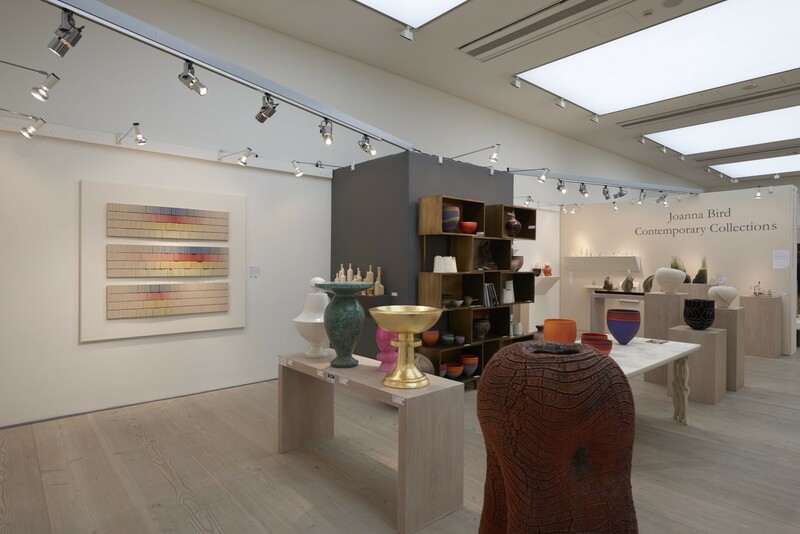 Central to the show is a focus on the celestial-like quality of the exhibited pieces by contemporary pottery, glassware, and furniture staples such as Pippin Drysdale, Helen Beard, Dylan Bowen, Nason Moretti and Nest Design. 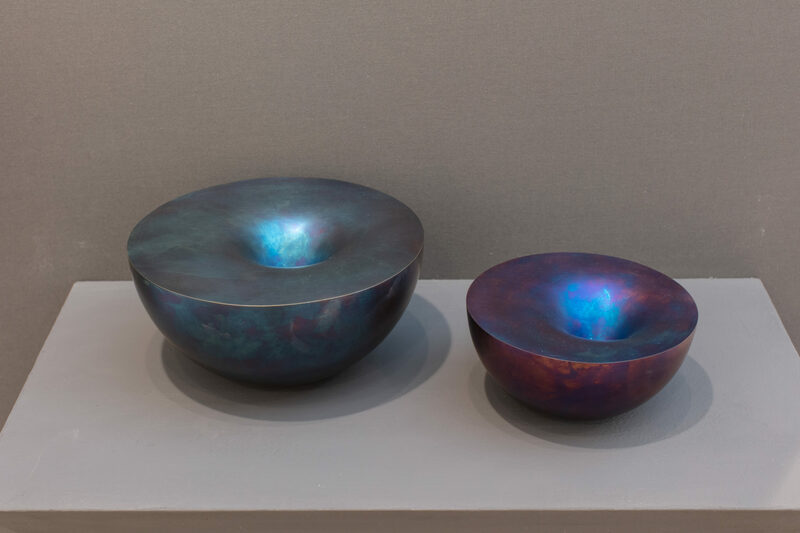 Edmond Byrne’s textured glass forms complement and contrast the illustrative quality of Helen Beard’s bowls depicting bustling markets and serene ponds. 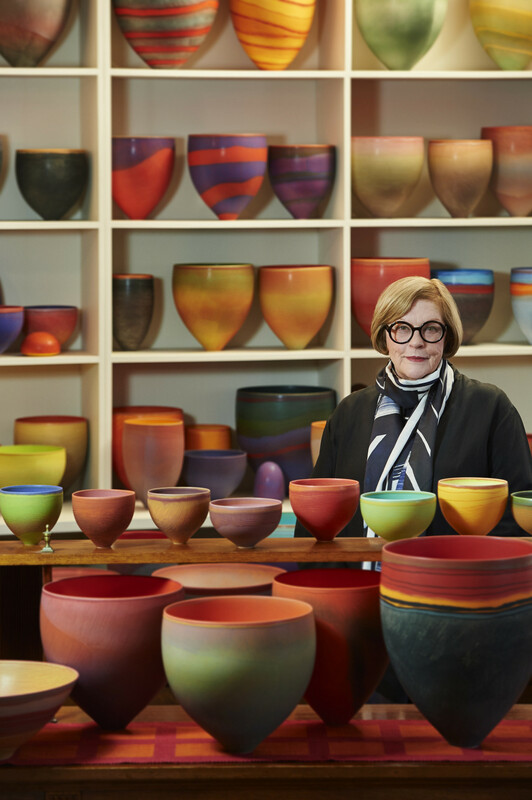 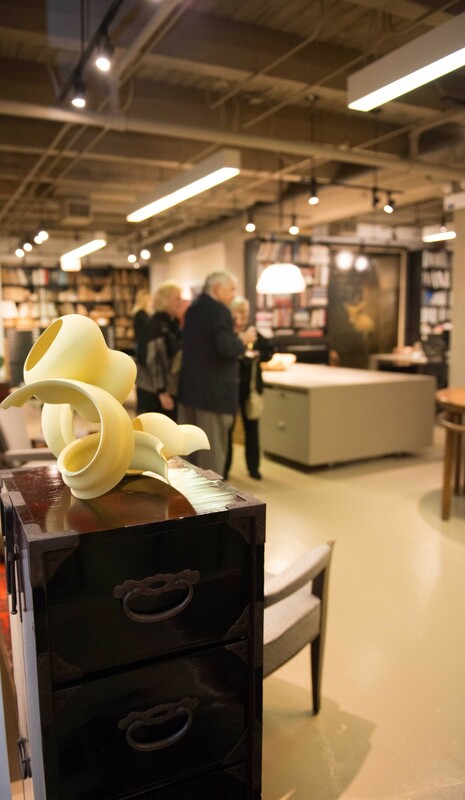 On her part, National Living Treasure, Pippin Drysdale’s, vibrant porcelain lustre vessels sit atop pieces of exquisite lacquered furniture fashioned by Neil and Annabel McCarthy, the masterminds behind Lasalle’s Nest Design. 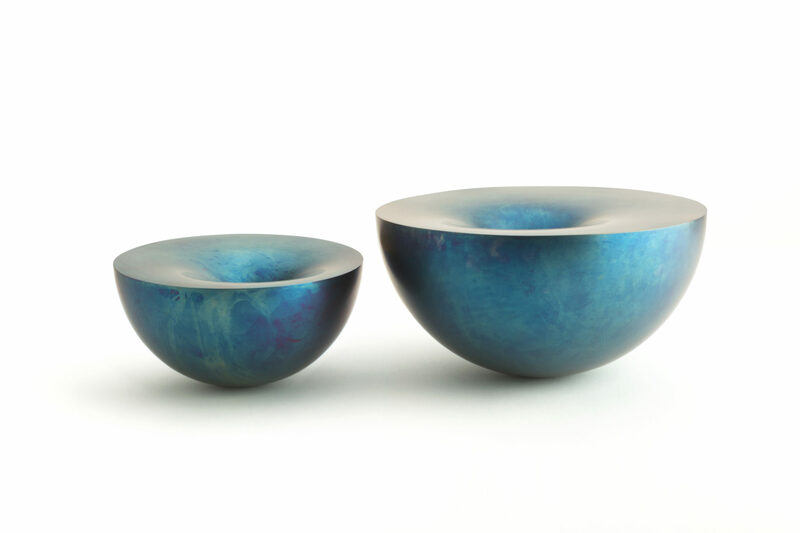 Continuing on with the theme of decorative forms as heavenly bodies, visitors will further discover delicate Murano water glasses from Italian maestro Nason Moretti curated alongside Yo Thom’s striking Ai-Indigo-glazed domesticware, perfect for gift giving. 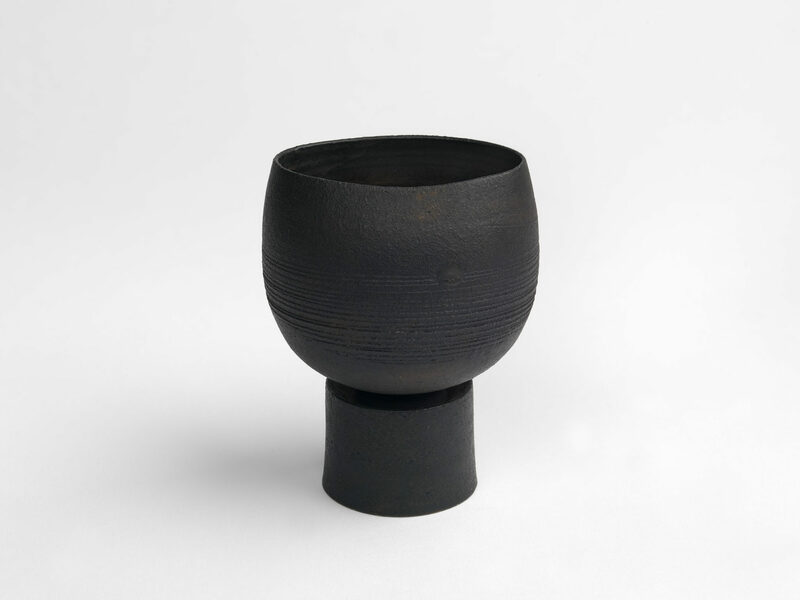 The exhibition also includes ceramic works by Sara Dodd, Takeshi Yasuda, Kaori Tatebayashi, James Oughtibridge and Joanna Constantinidis. 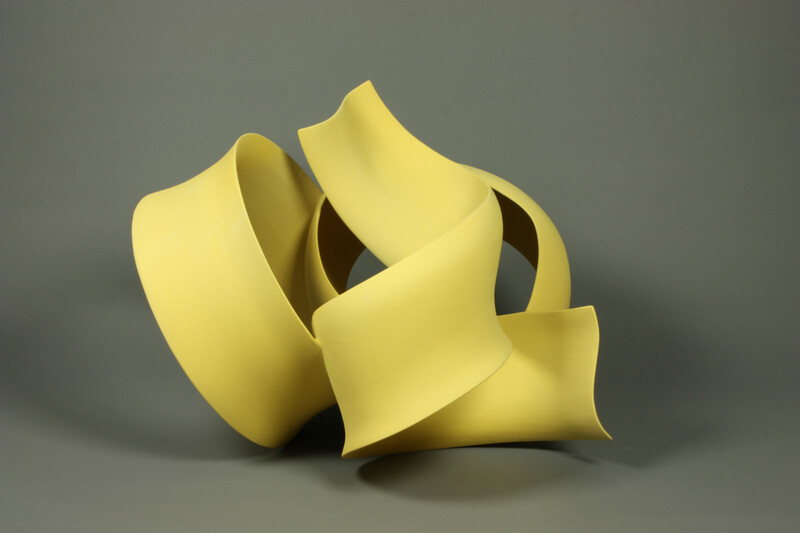 The virtuoso ensemble is completed by Royal College of Art graduates Alice Walton and Ian Thompson who showcase exciting new sculptural forms. 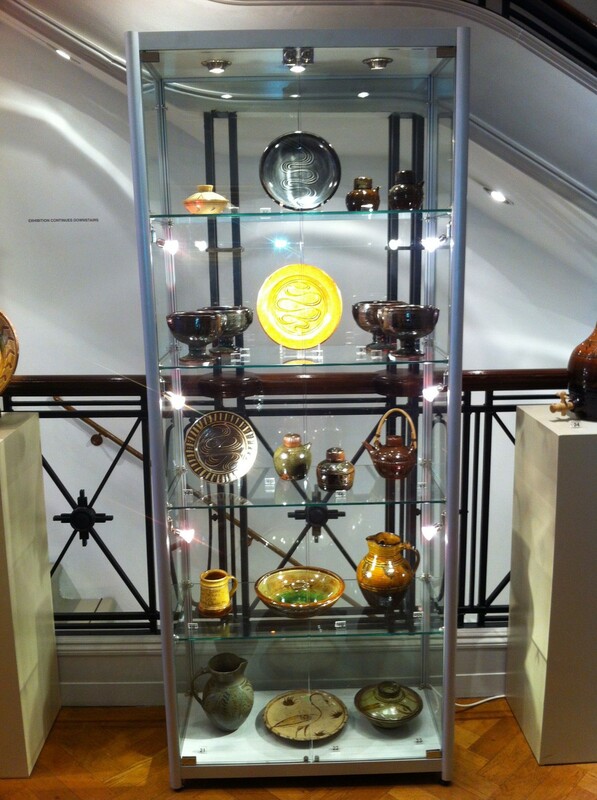 We hope you will come to explore the entrancing cornucopia of treasures presented in this unusual Christmas show. 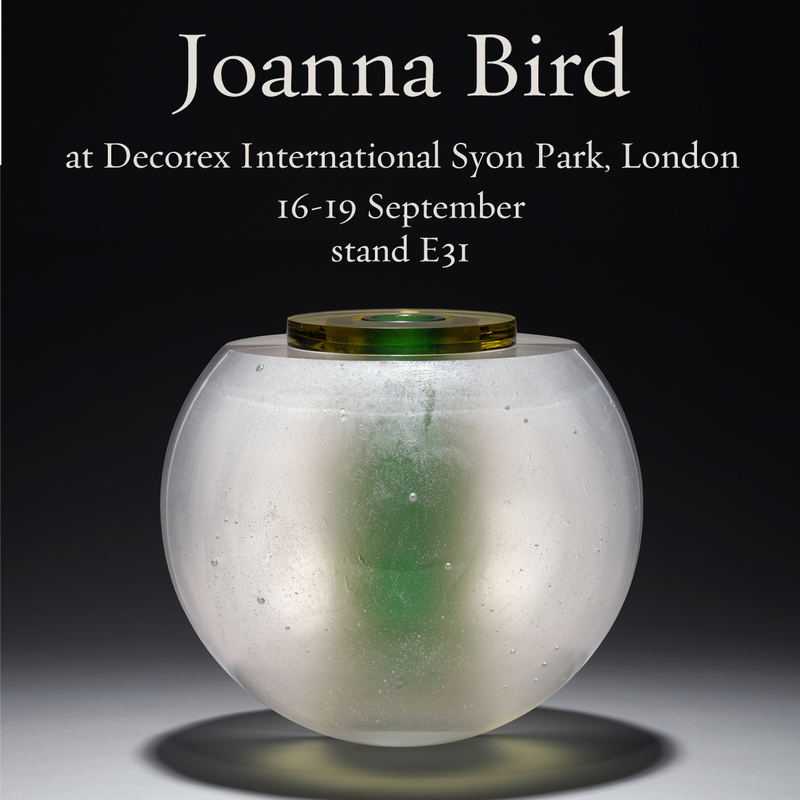 Joanna Bird will be returning to Decorex International from 16-19 September at Syon Park, London with a selection of beautiful works of art created by world renowned artists and craftsmen. 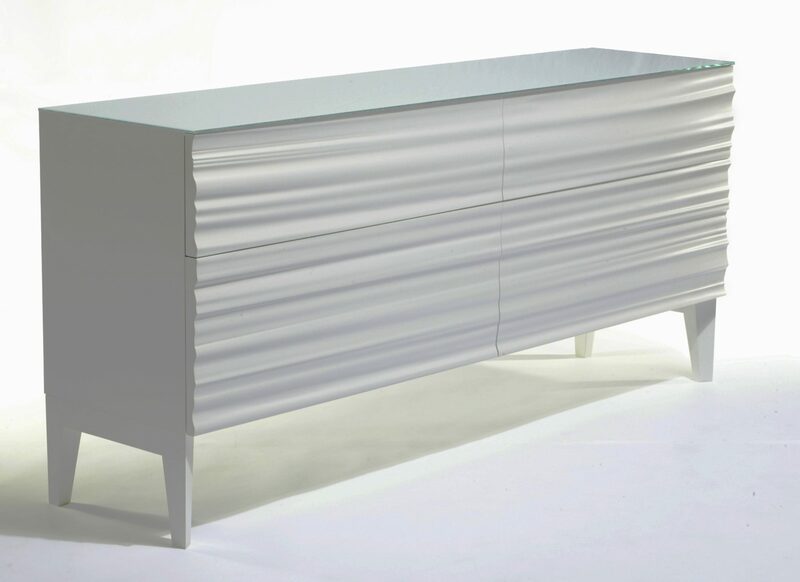 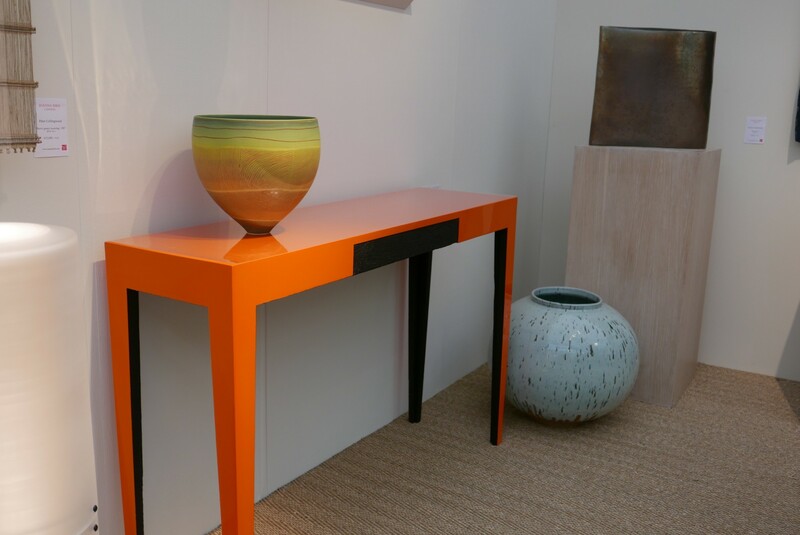 We will be showing an exquisite collection of fine lacquered furniture, elegant glass sculptures and bold ceramics. 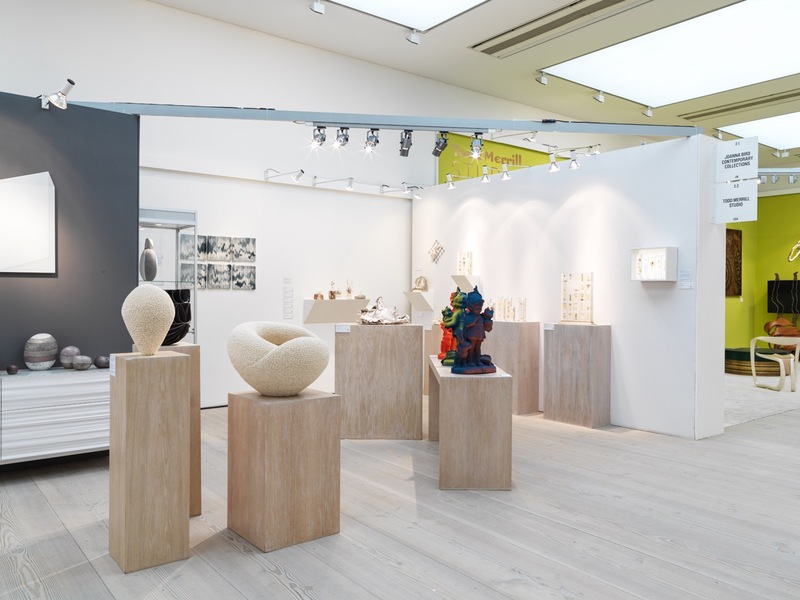 Works exhibited include pieces by Pippin Drysdale, Halima Cassell, Clive Bowen, Adam Buick, Hattori Makiko, Sandy Brown, Wouter Dam, Steffen Dam, Bruno Romanelli, Pierre Jeanneret and NEST Design. 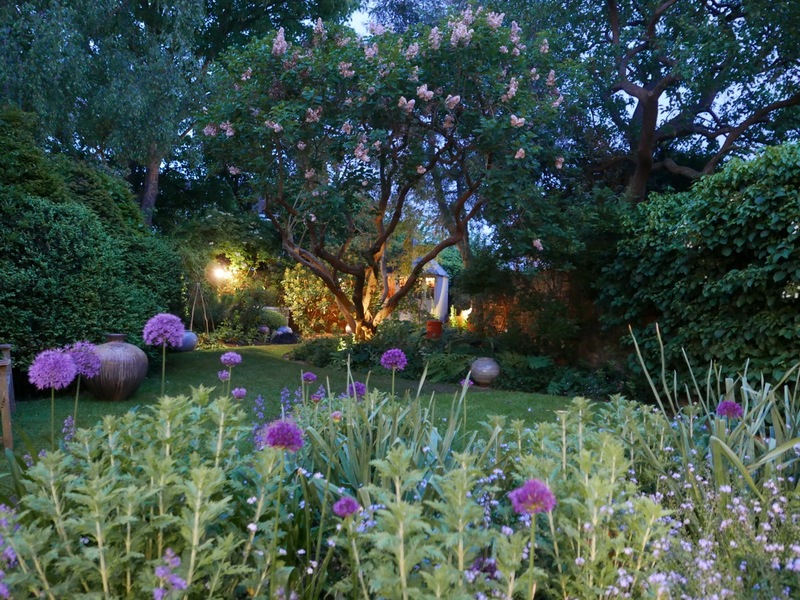 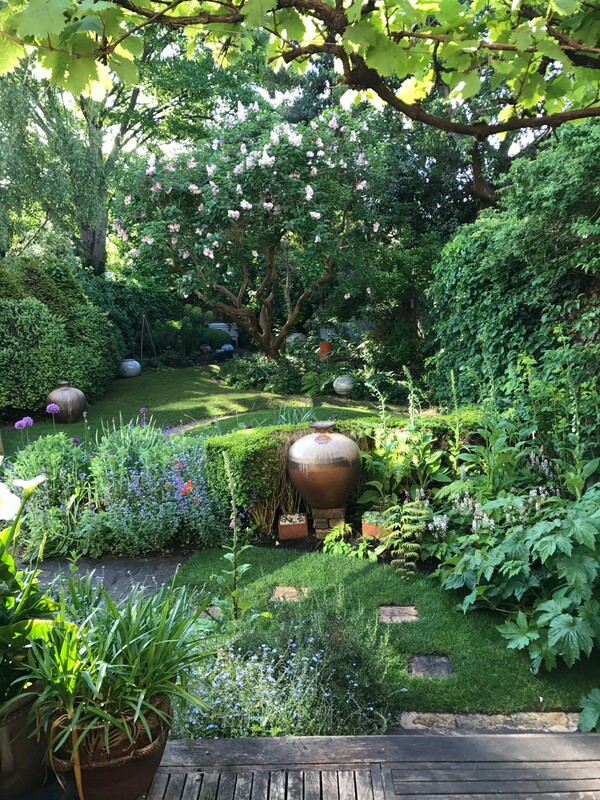 On 30 April we welcome gardener Tom Freeth who, with Joanna, will discuss the principles of garden design and striking the right balance between beauty and practically. 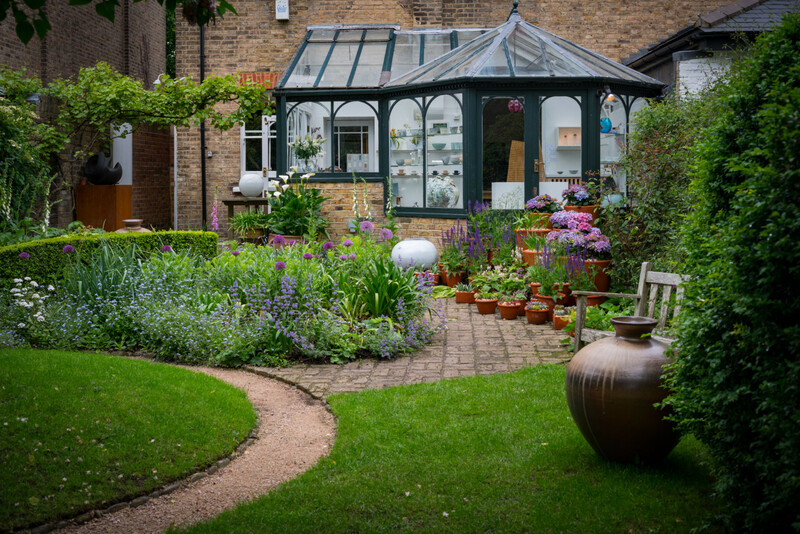 Be inspired by Freeth’s own knowledge and passion for gardening as well as learning a few handy tips for creating your own dream garden at home. 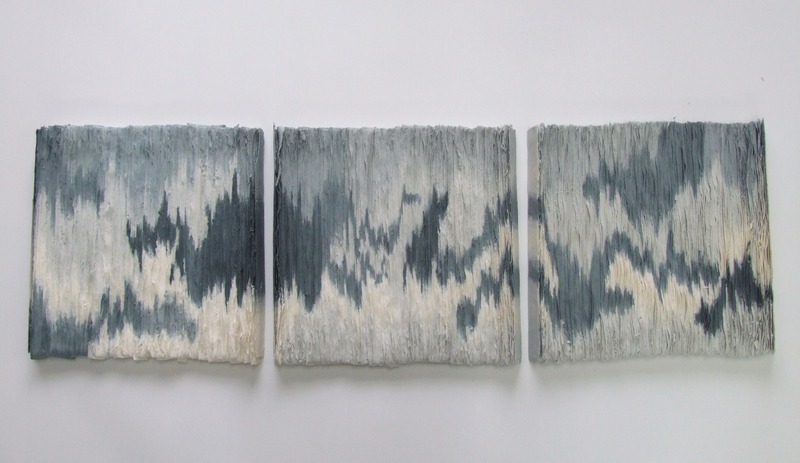 On the 24 April we are delighted to be hosting a talk by self taught textile artist Alan Oliver. 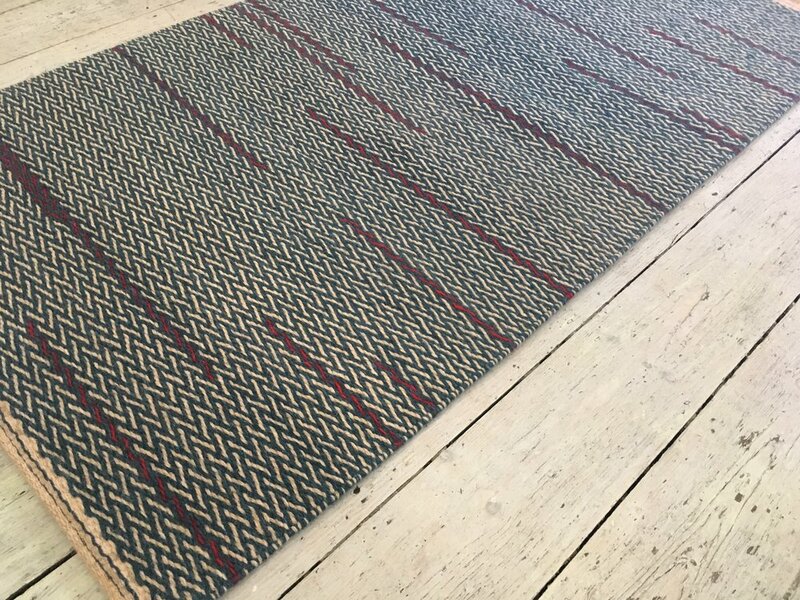 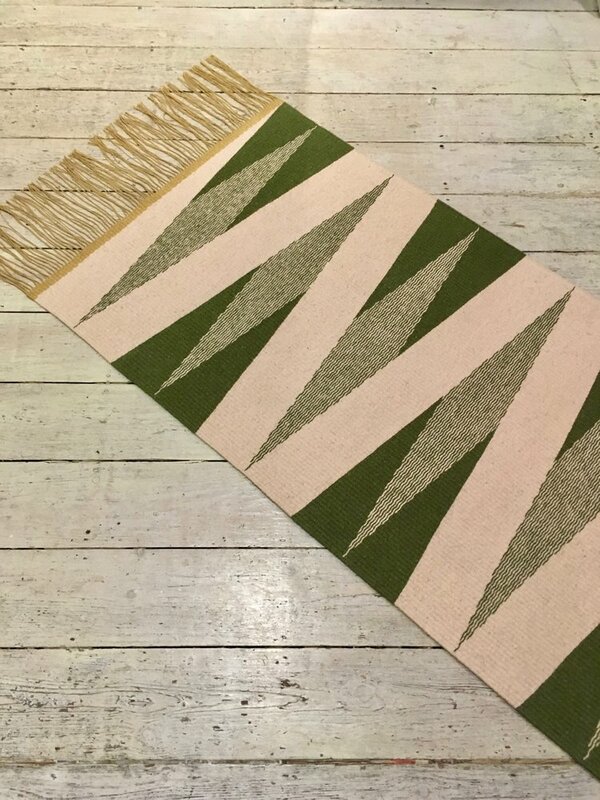 Specialising in the production of hand woven rugs and wall hangings his threads are often hand dyed to achieve exact colours and shades. 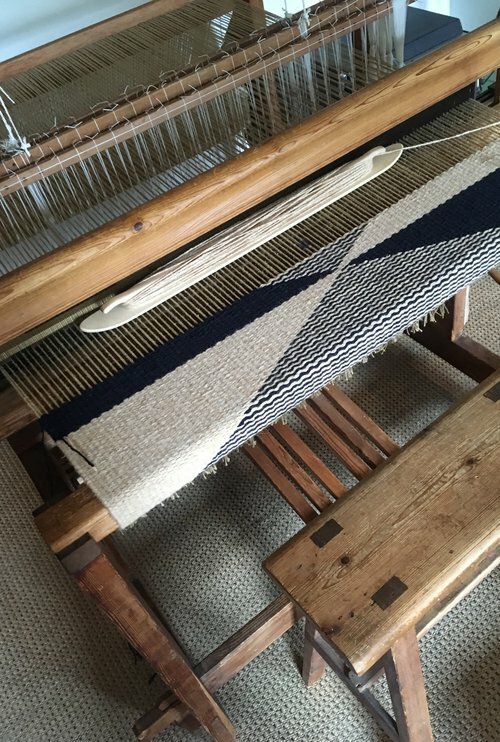 Join us for a glass of wine and to hear Alan discussing his weaving, interpretation and inspirations. 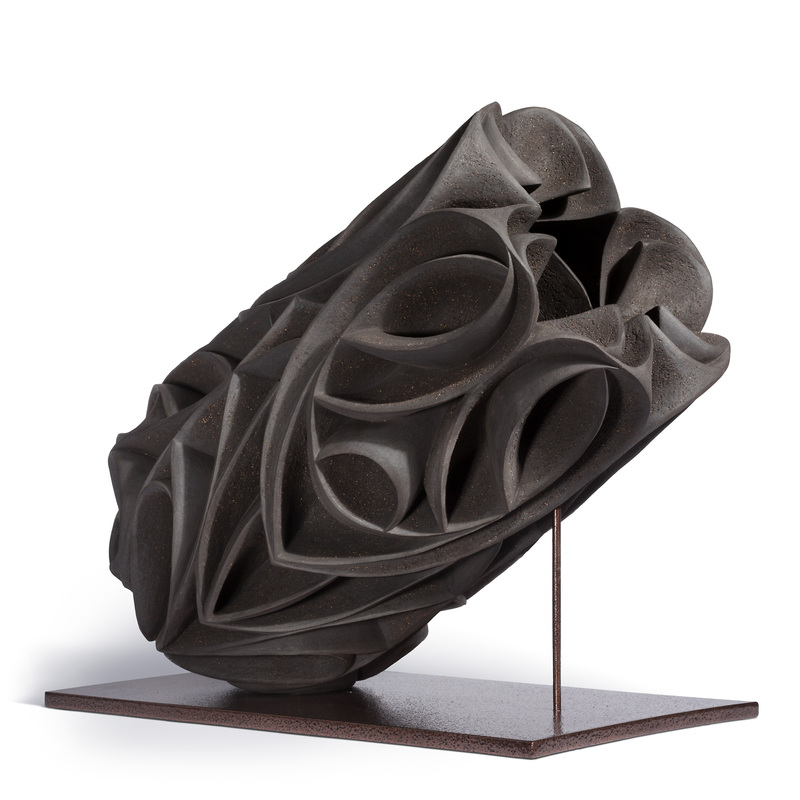 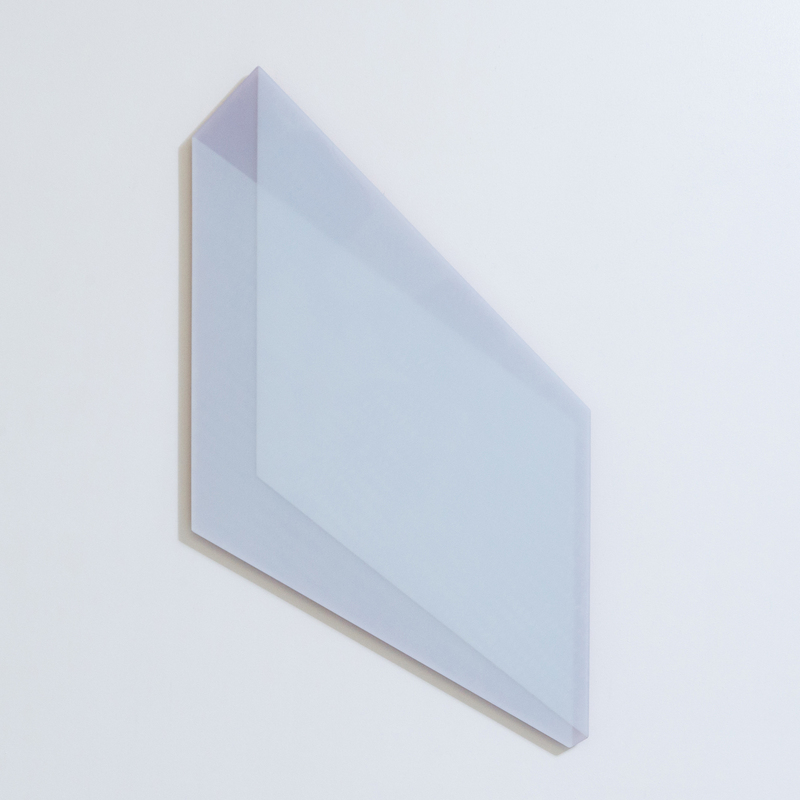 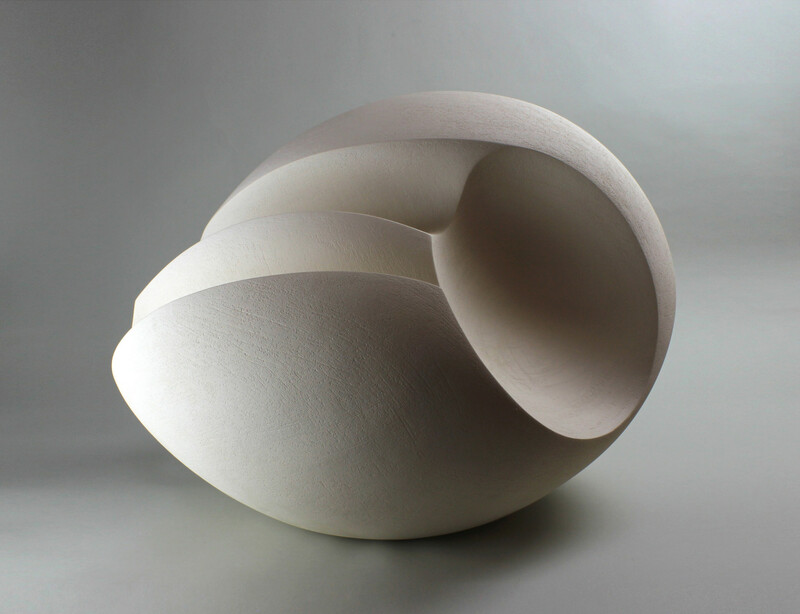 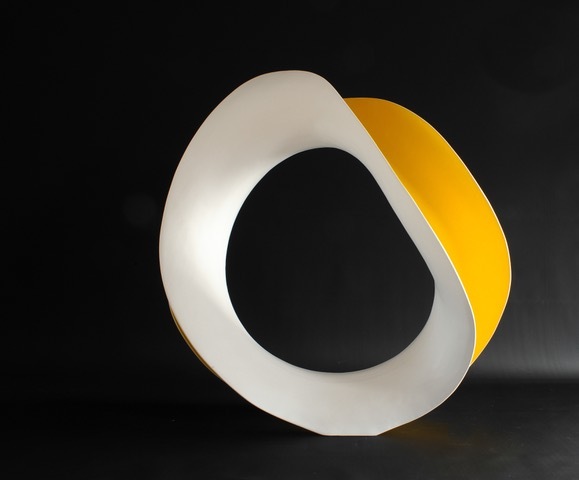 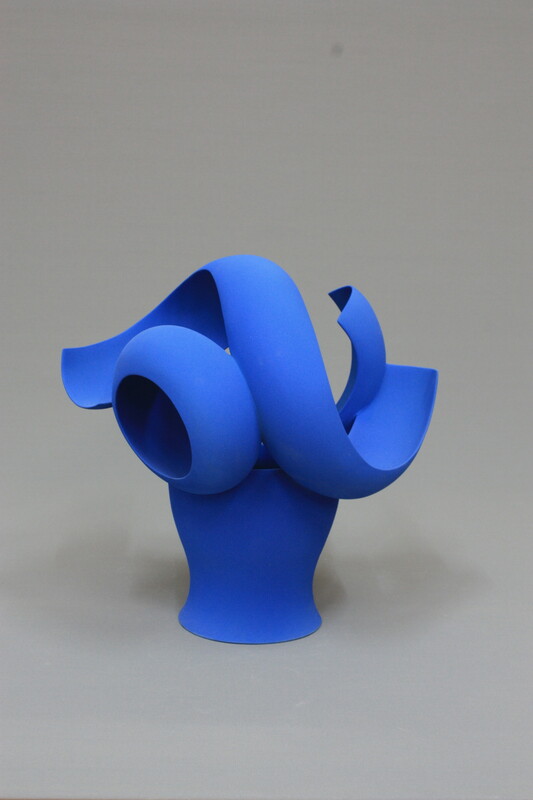 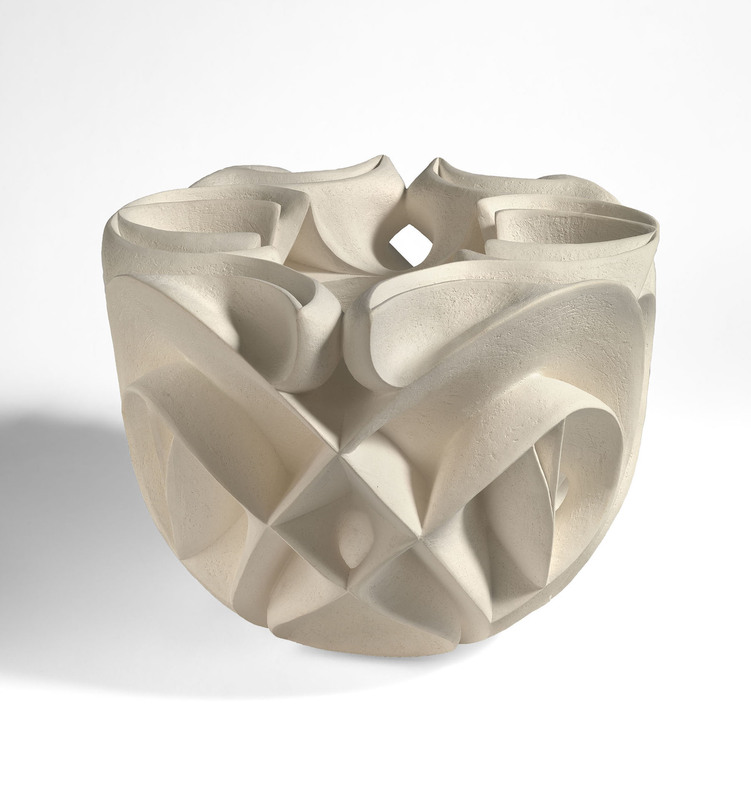 Convex, Concave will be the next exhibition in our newly refurbished Chiswick Gallery. 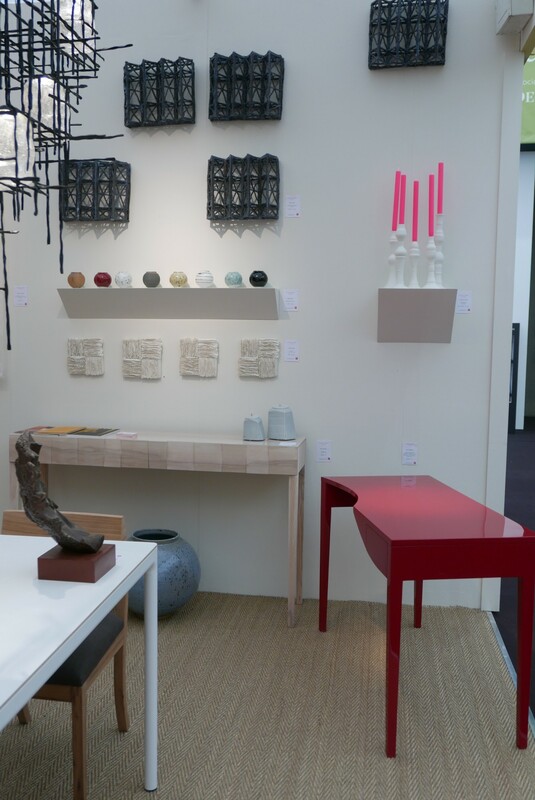 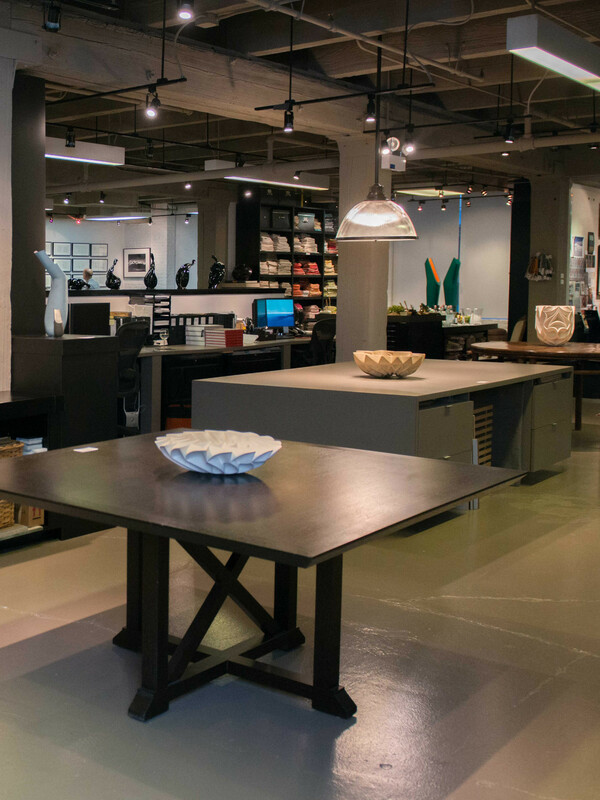 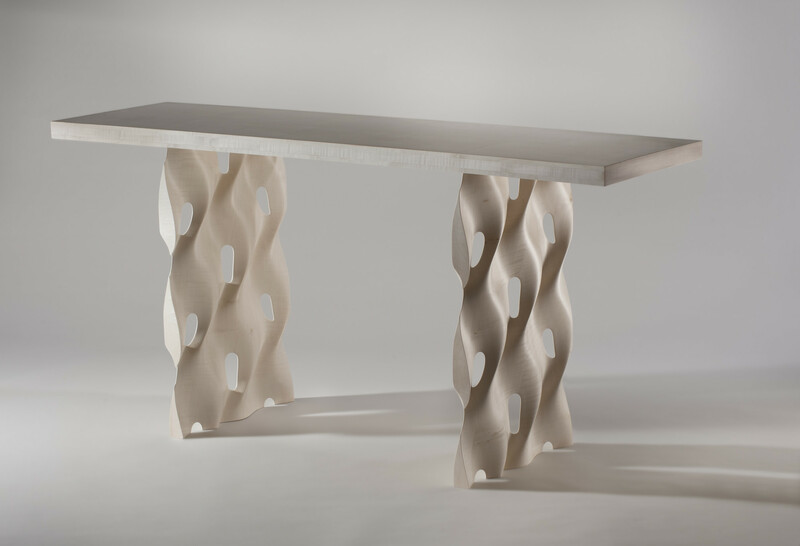 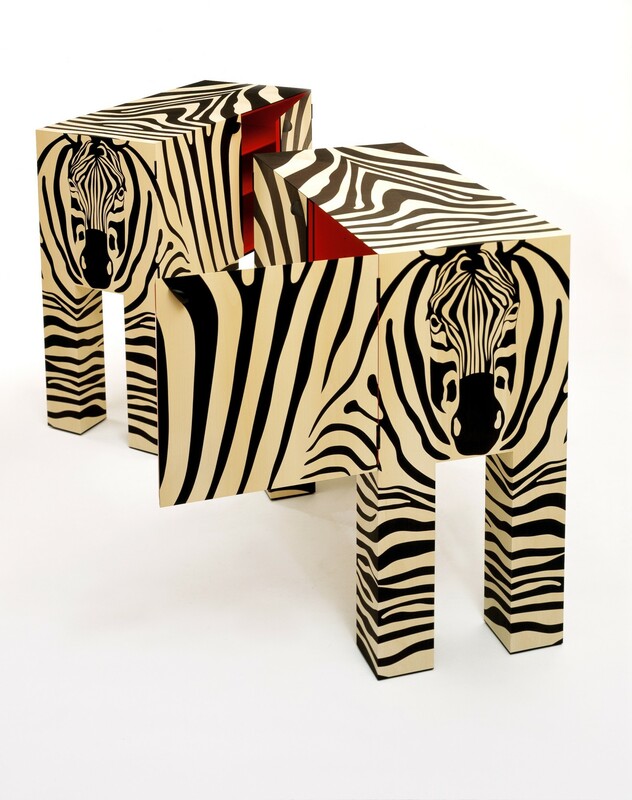 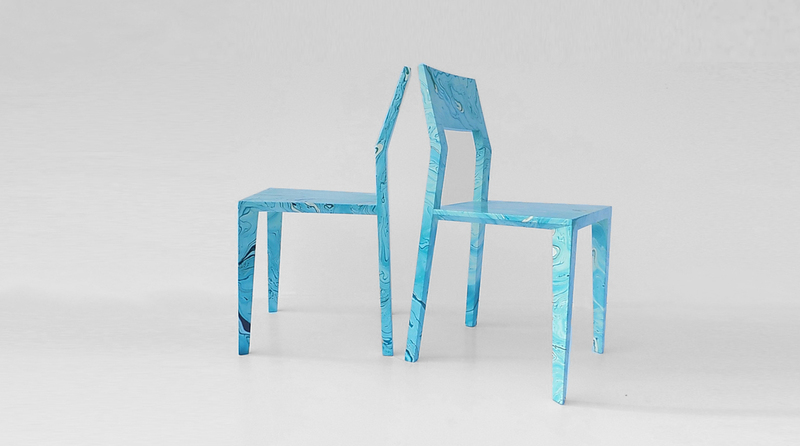 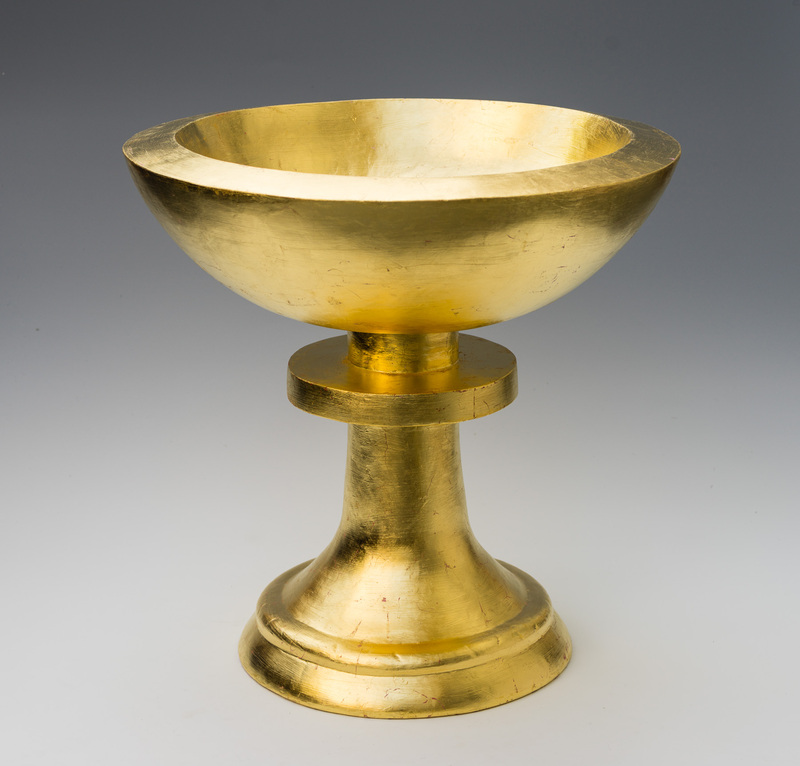 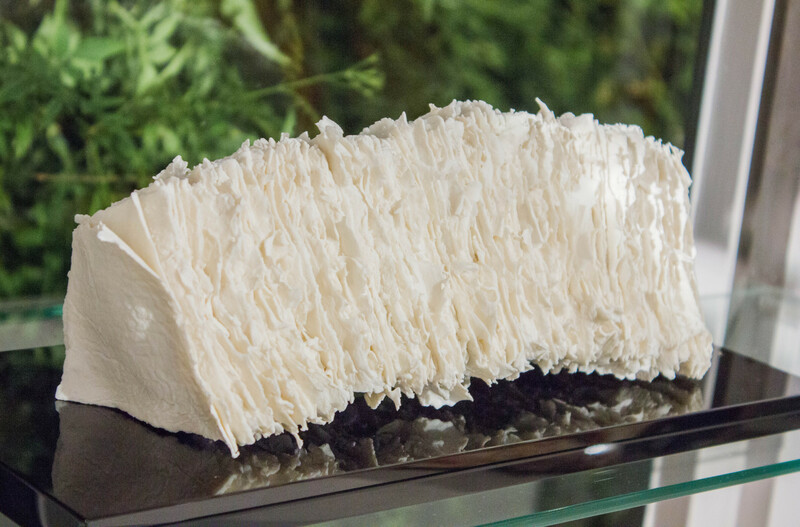 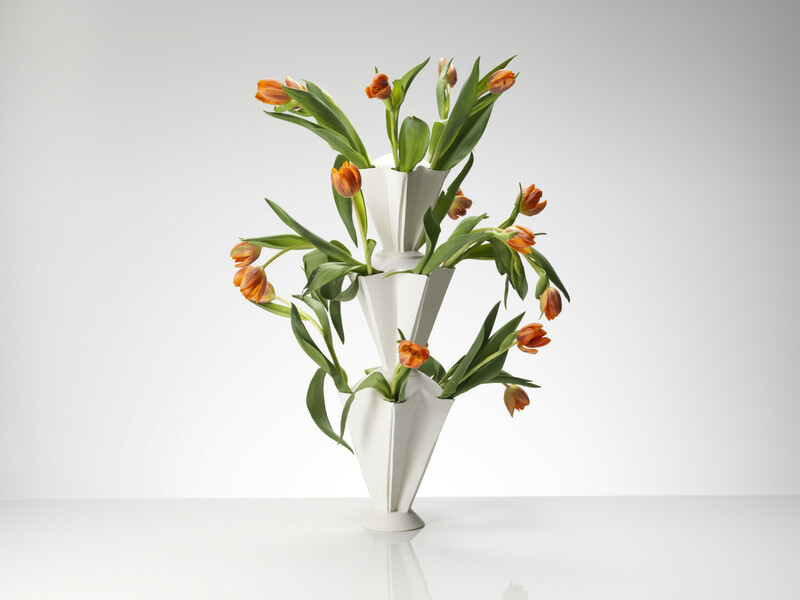 An innovative show of sculpture, ceramics, glass and furniture created by Master Craftsmen. 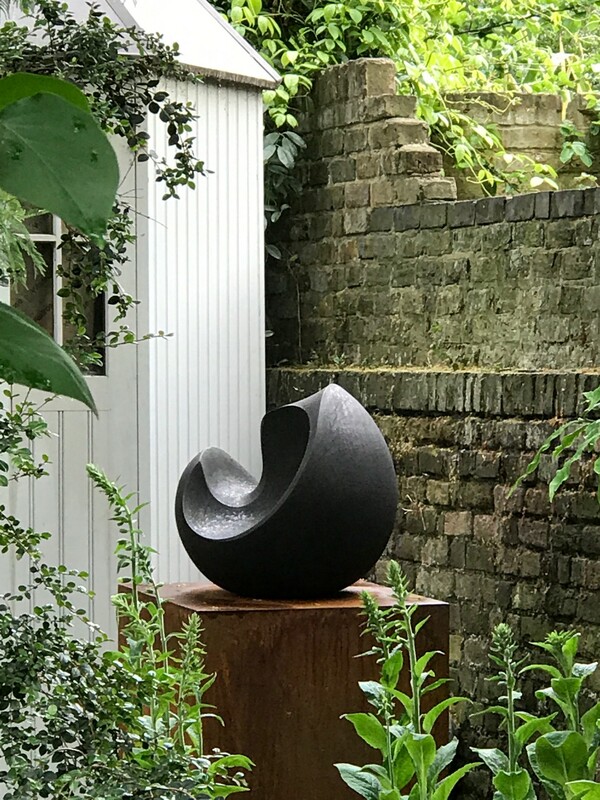 In the garden, which is to be featured in the May edition of House & Garden the abstract sculptures by James Oughtibridge will be on view, as well as the evocative elemental Moon Jars from Adam Buick. 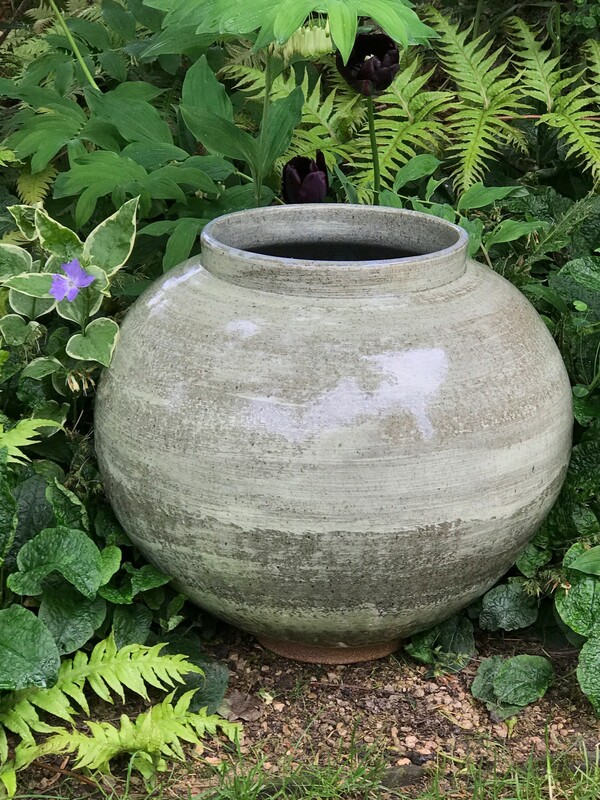 Returning to Joanna’s garden are the craftsmen of West Meon Pottery with their striking terracotta pots. 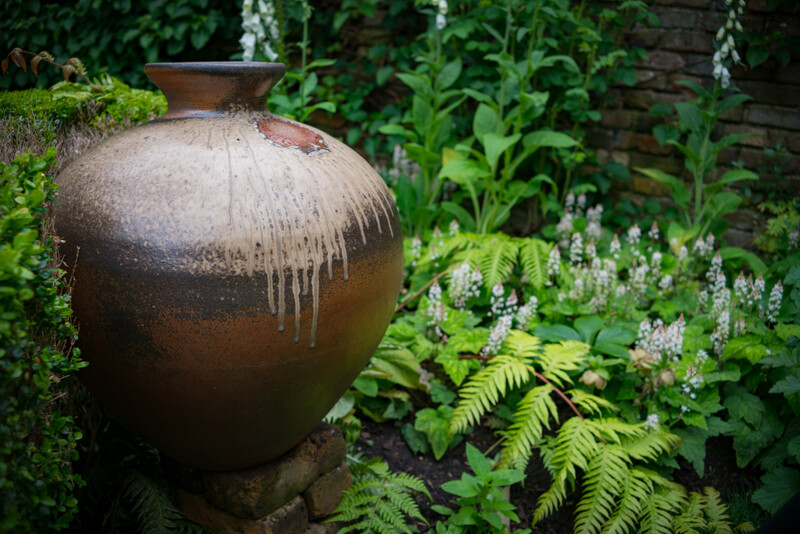 These beautiful garden pots will be planted up with a range of layered plants and seasonal favourites carefully chosen by Fergus Garrett, head gardener at Great Dixter. 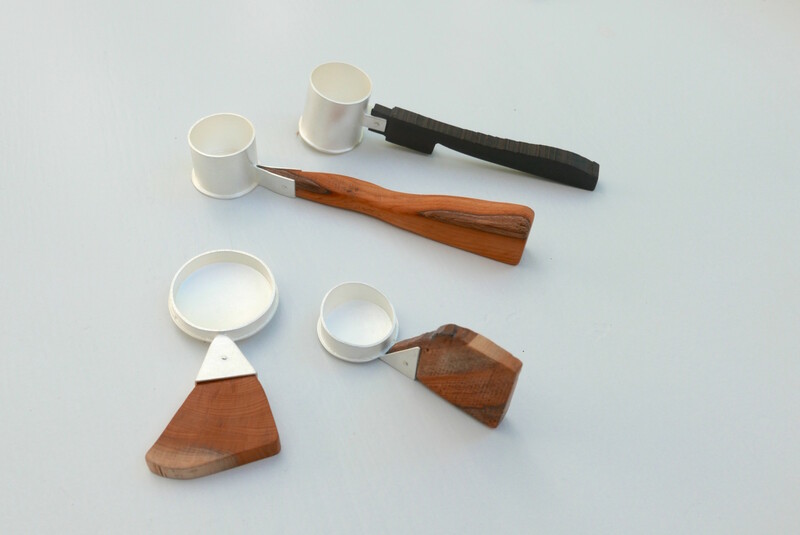 Handmade gardening tools will also be available. 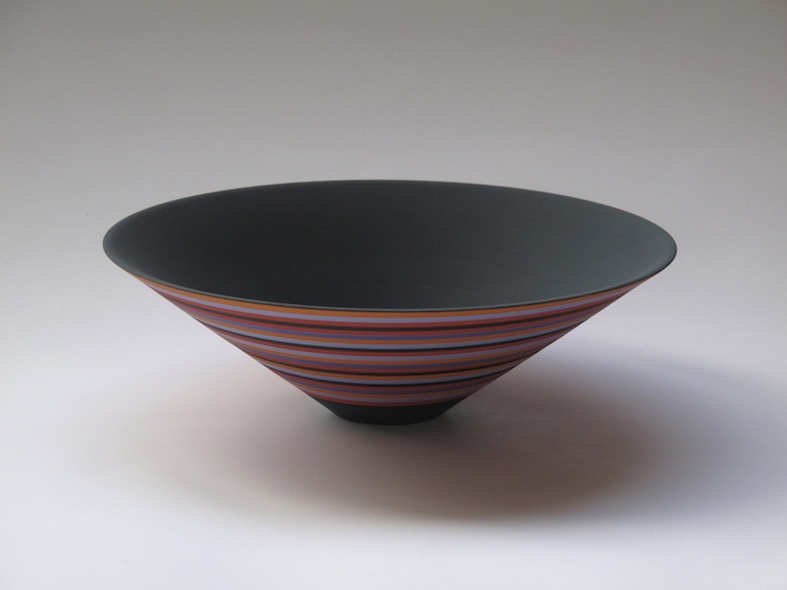 Furniture, glass, and ceramics including the traditional works of Richard Batterham will be in company with the sculptural graphic energy of Wouter Dam. 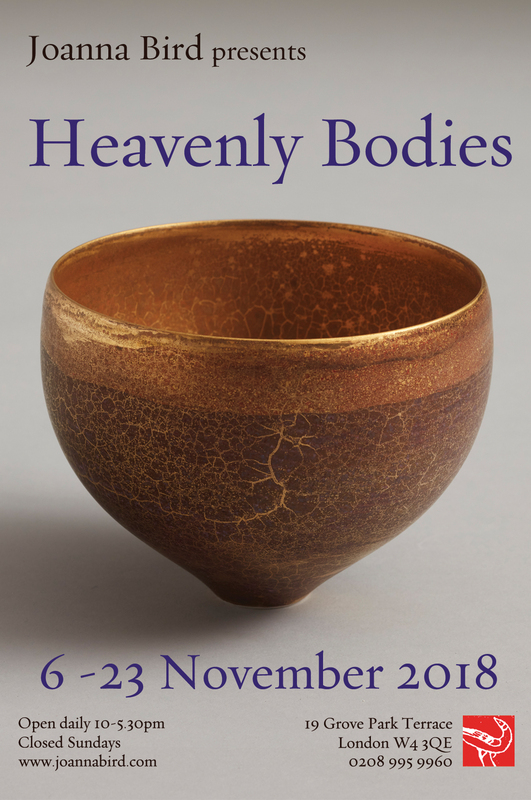 This is a show not to be missed! 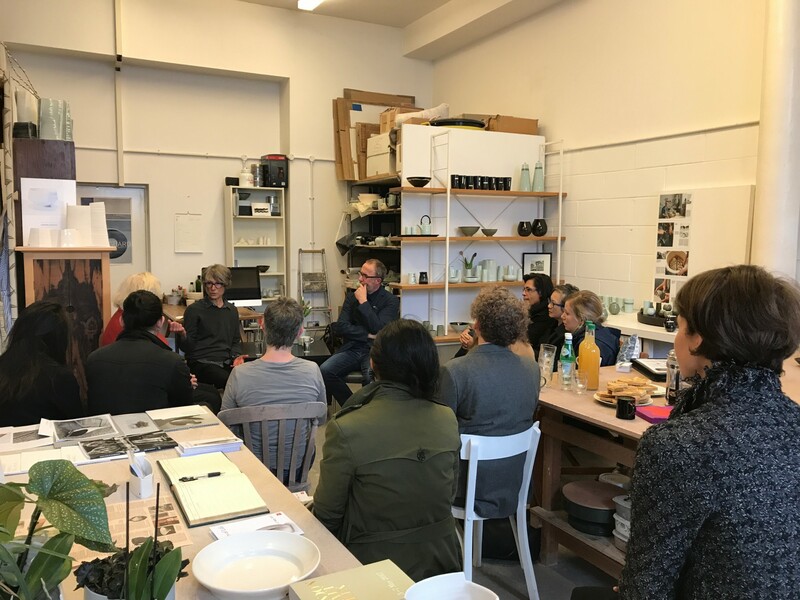 On the 21 November we were delighted to host an artist talk by internationally aclaimed artist and State National Living Treasure of Westen Australia, Pippin Drysdale. 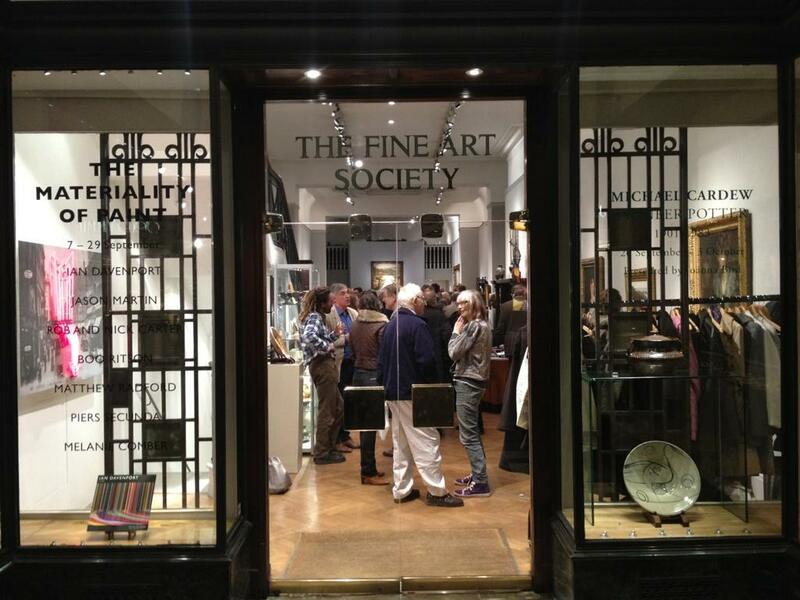 Joanna and Pippin drew in a large crowd and it was brilliant to see so many of you in attendance. 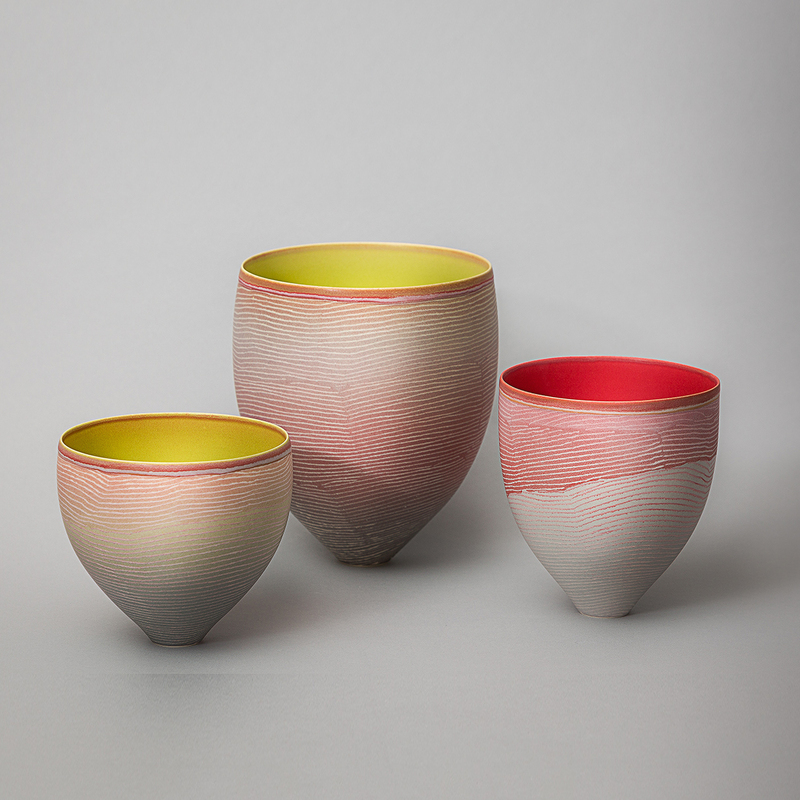 Pippin offered exclusive insights into her work, her inspirations and her future development. 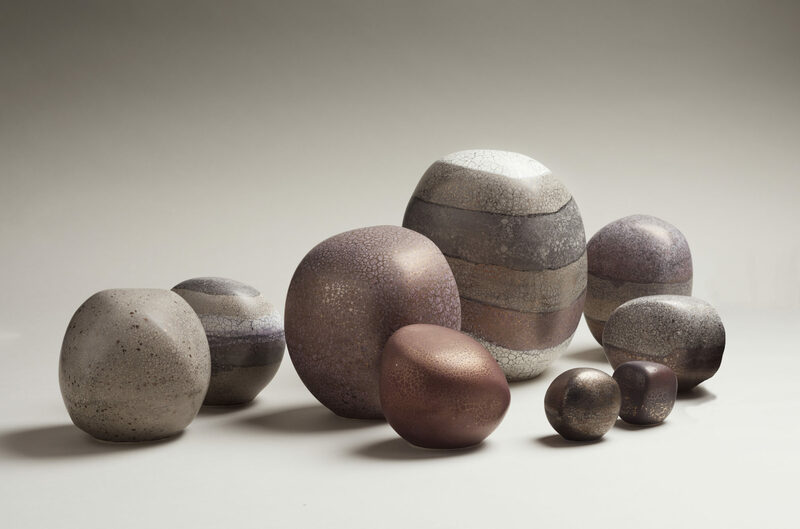 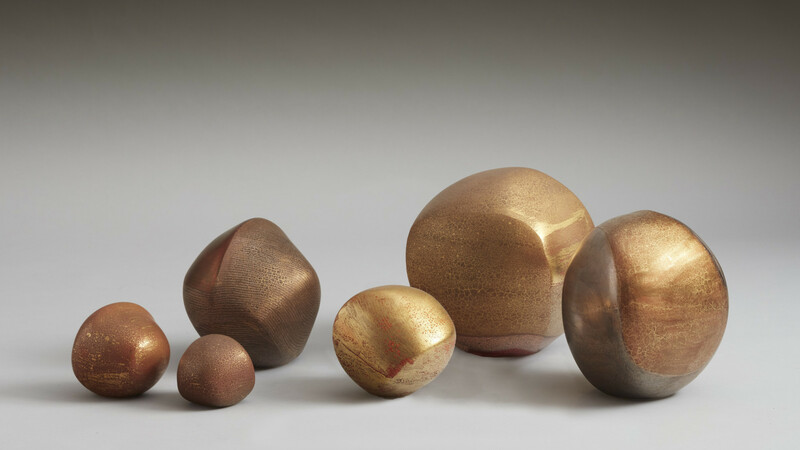 We will be premiering Pippin’s latest series of work The Devils Marbles, Lustre Series at Collect 2018. 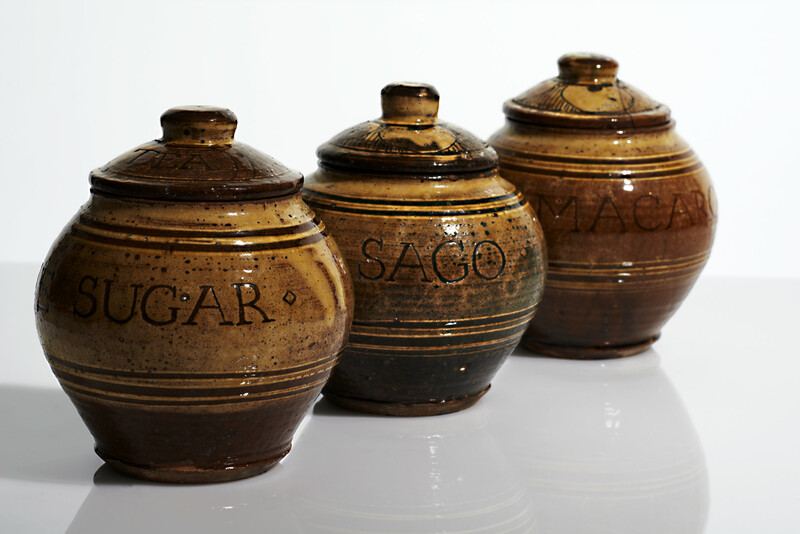 We will holding a special screening of the film commisoned by the Joanna Bird Foundation: Richard Batterham, Master Potter. 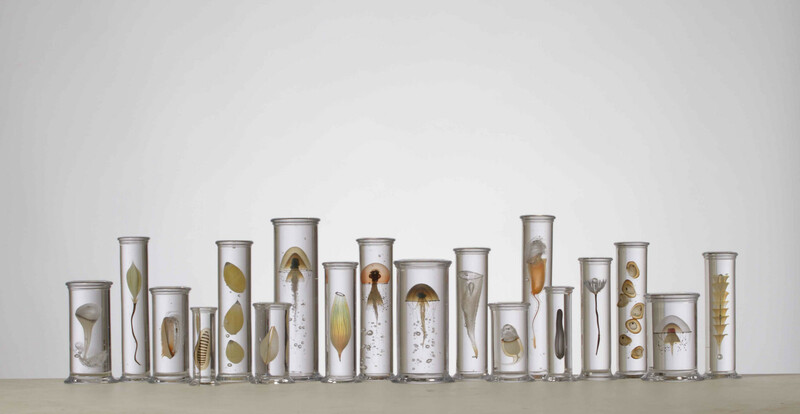 We are delighted to announce that the Royal Albert Memorial Museum and Art Gallery, RAMM, has commissioned and acquired Specimens from an imaginary voyage, an installation by Steffen Dam for their collection. 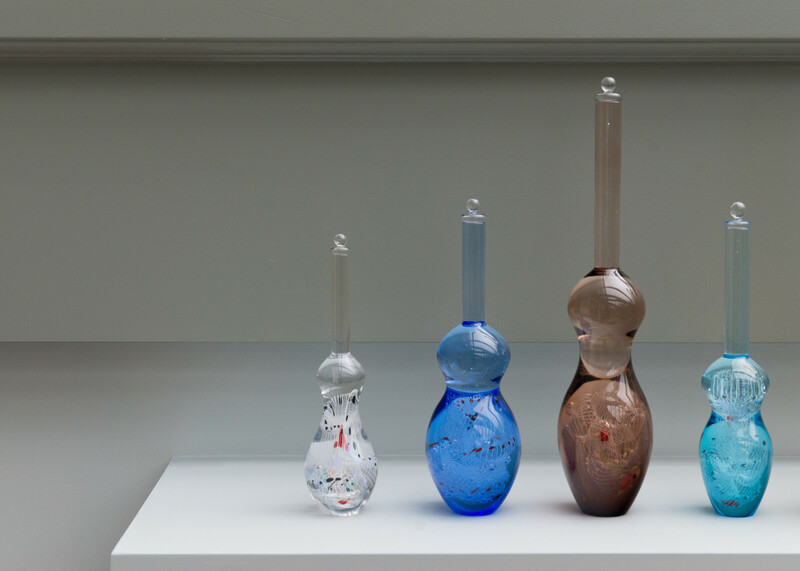 This installation is made up of 18 Marine and Jellyfish Jars and was created from hand blown and cast glass. 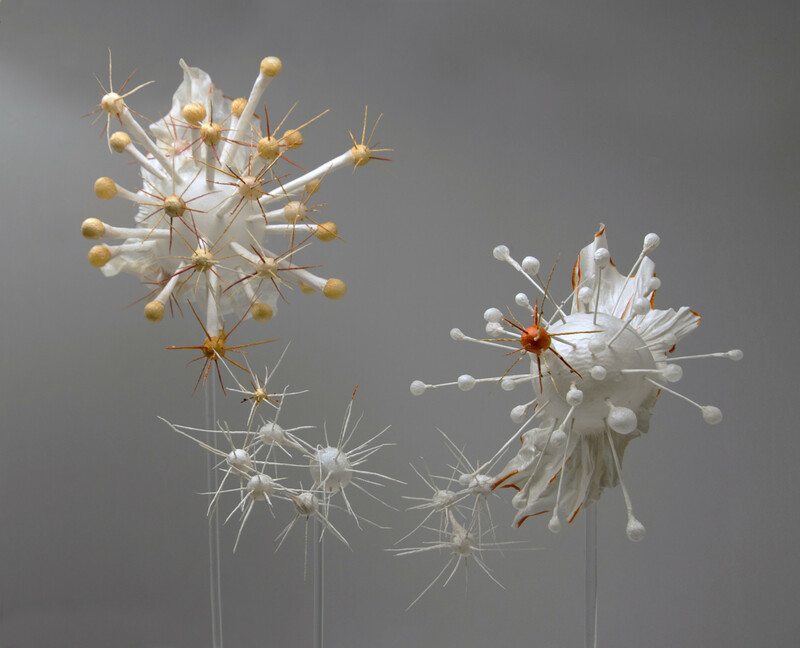 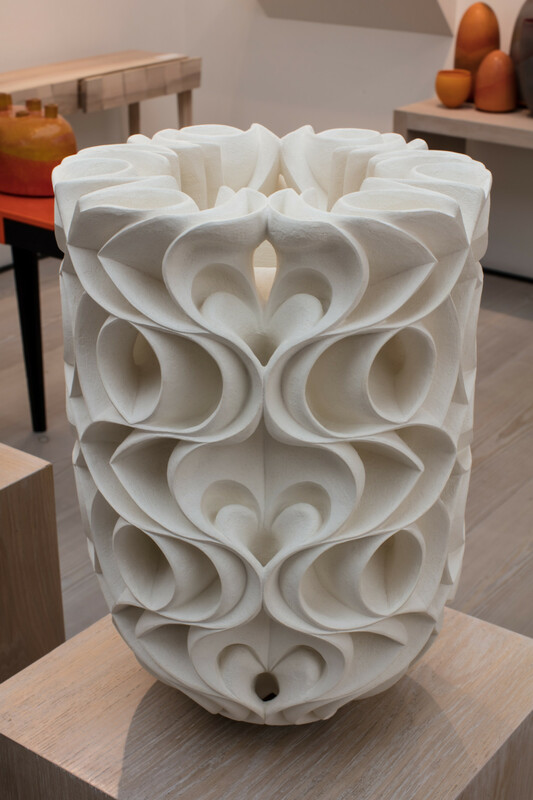 Specially commissioned by RAMM the pieces take inspiration from the collection in Sladen’s Study which houses specimens of starfish and sea urchins. 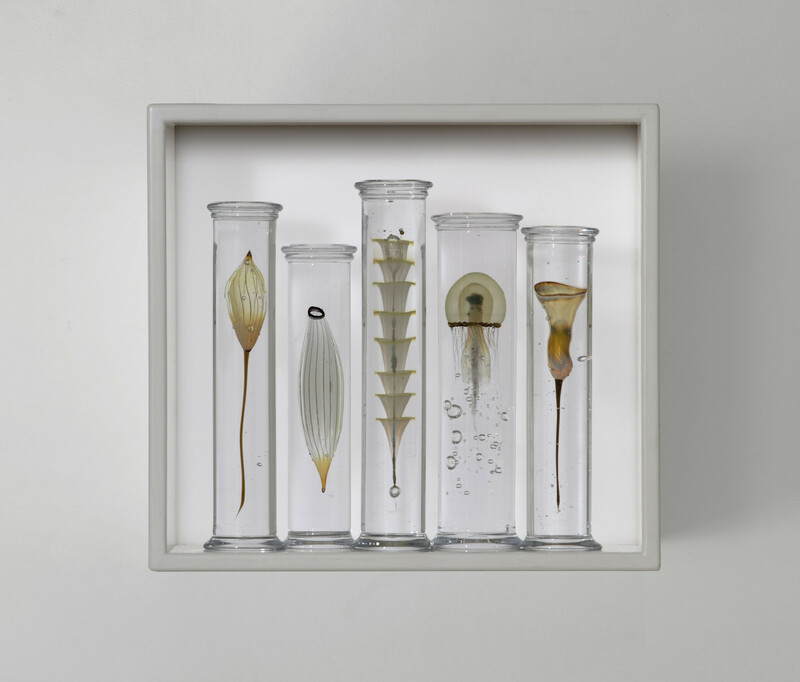 A film of Dam working in his studio features in the exhibition as well as glass by the Blaschka brothers and a live aquarium. 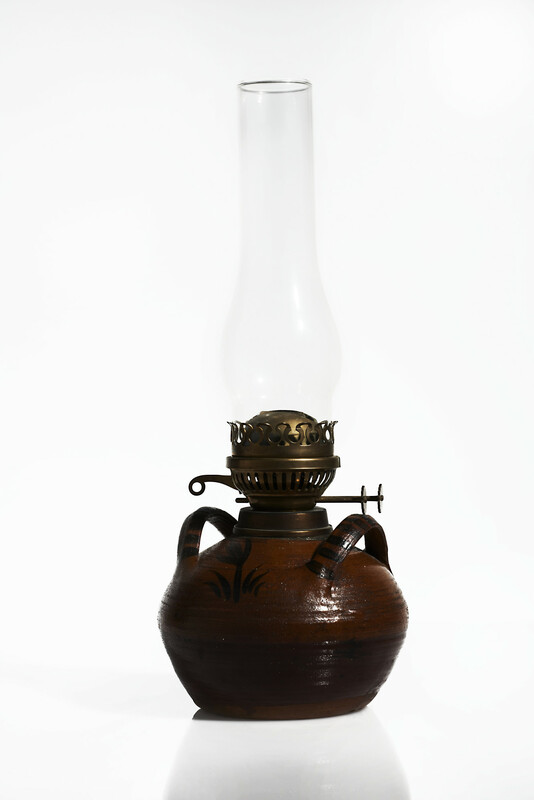 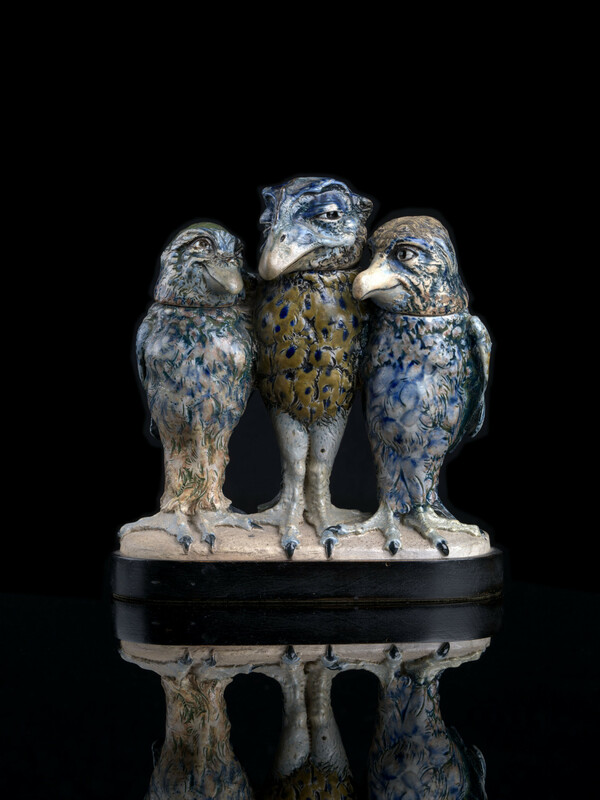 Specimens from an imaginary voyage will be on display in Sladen’s Study, RAMM from November 2017. 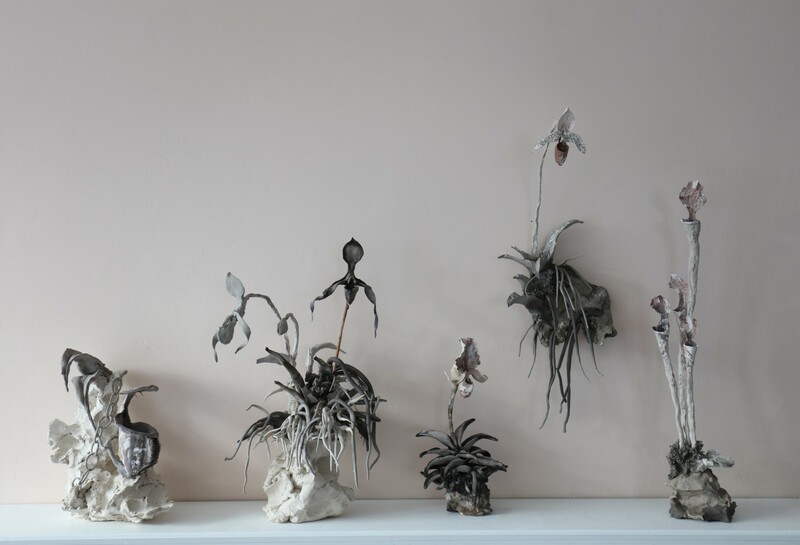 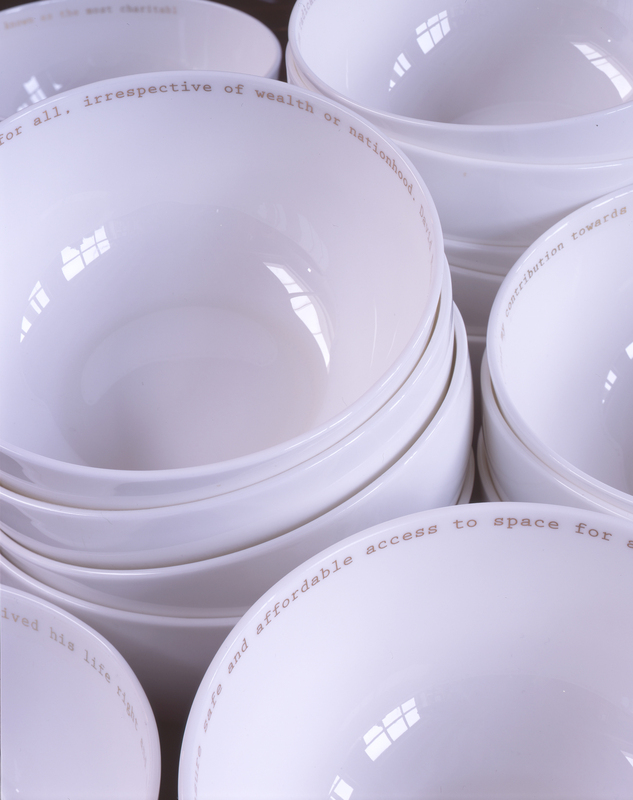 Joanna is pleased to announce the opening of her next summer exhibition, Necessities of Life, taking place at Grove Park Terrace from Wednesday 17 May – Saturday 27 May. 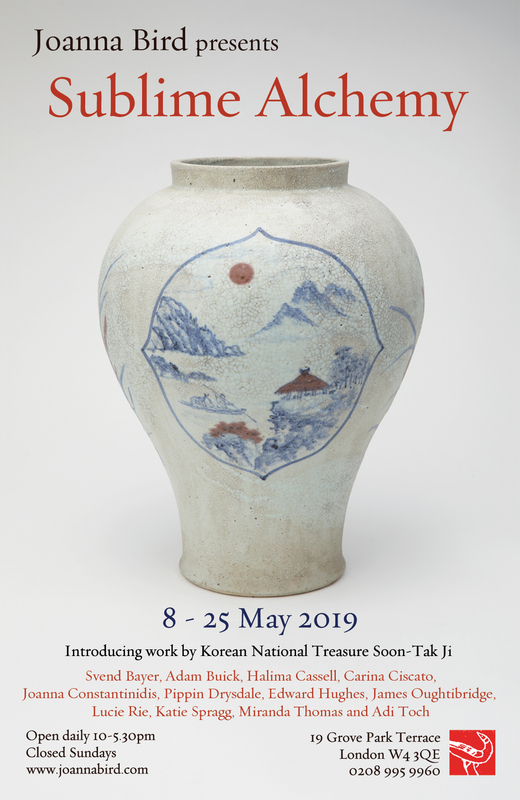 This exhibition will give a broad brushstroke of what we think is essential to life – pots for food, water, coffee, wine, books, music and the garden. 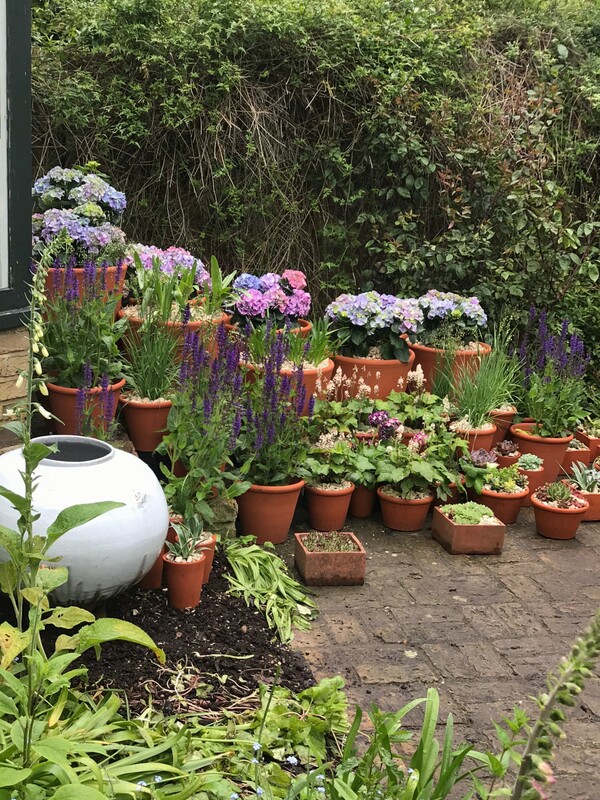 We have our wonderful gardener Tom replanting the garden and lots of pots to show you – some planted up – all hand made in Hampshire. 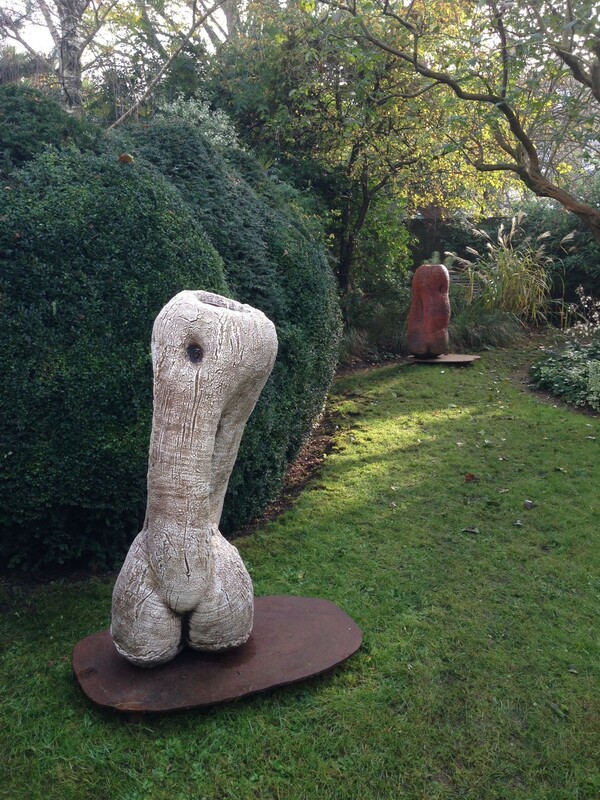 Visitors are invited to explore the garden and discover sculptural works by James Oughtibridge, Akiko Hirai, Adam Buick and Svend Bayer. 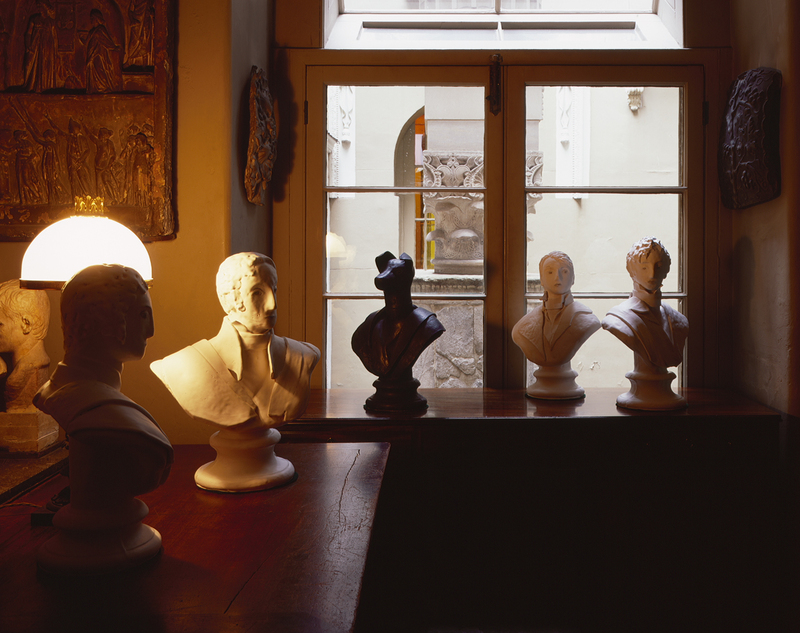 Open daily 10am – 5.30pm, closed Sundays. 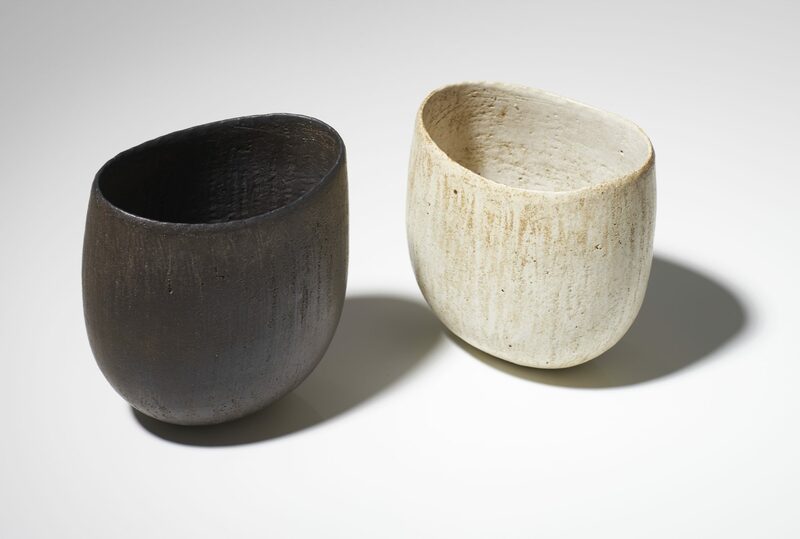 British potter Chris Keenan, Fashion designer, Margaret Howell and Joanna Bird, ceramics consultant and curator, discuss the similarities in their process to work, searching out truth to materials and authenticity. 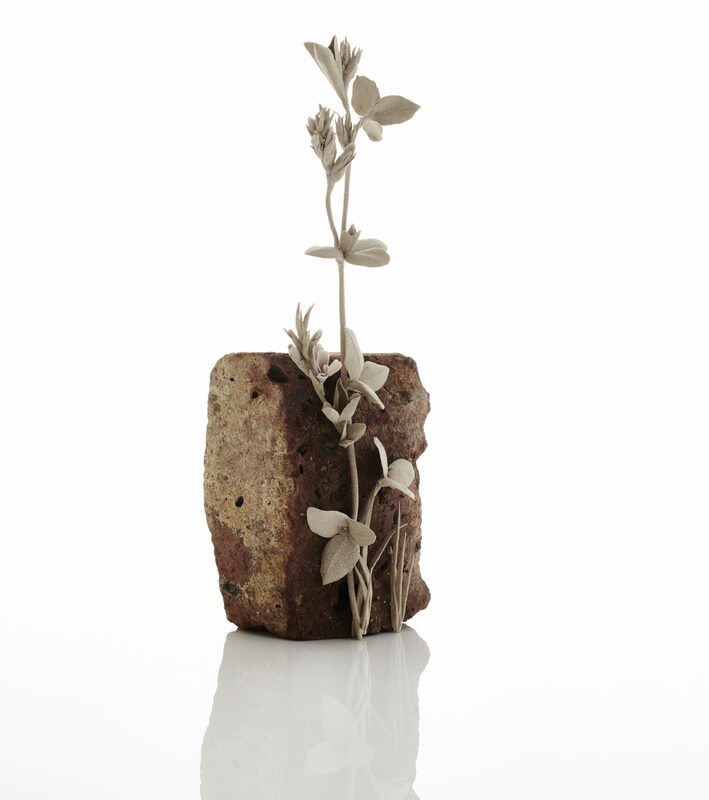 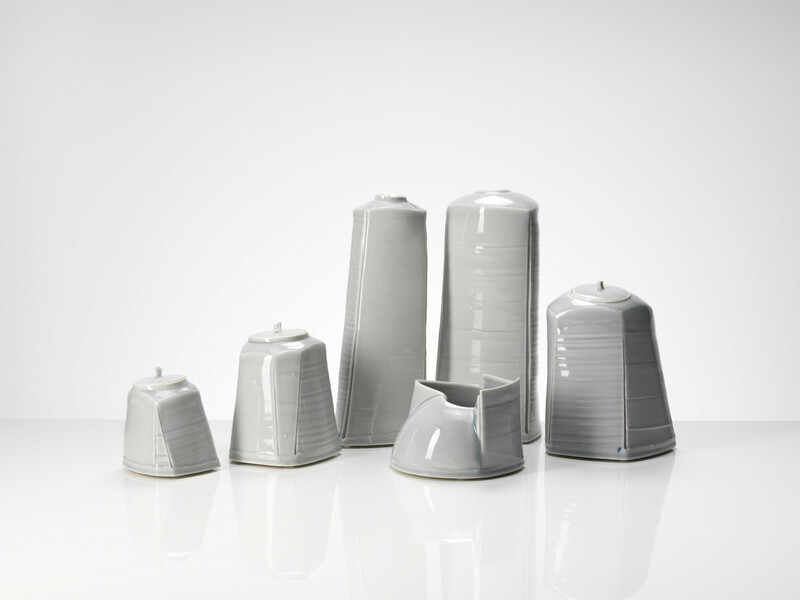 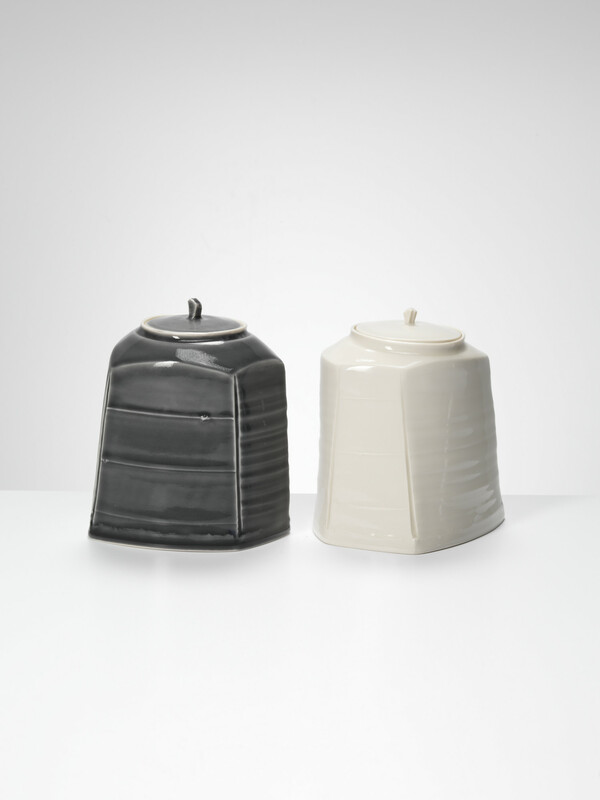 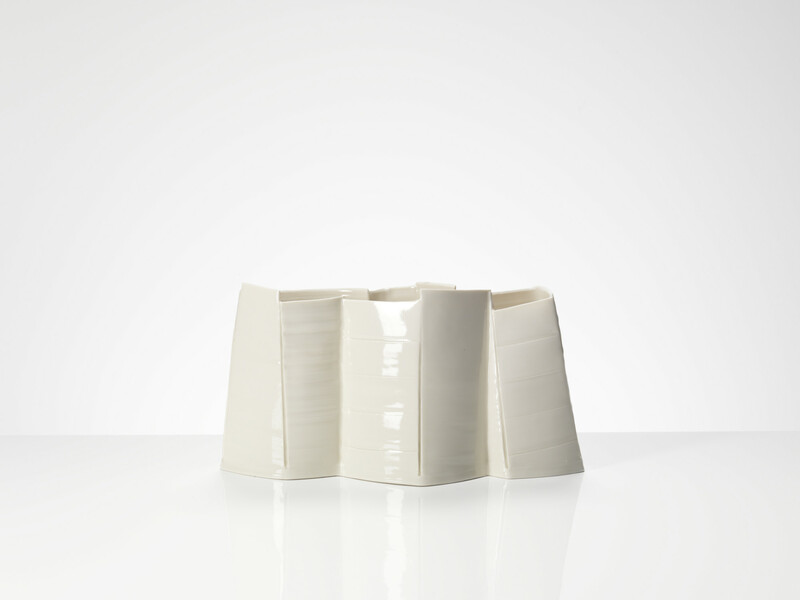 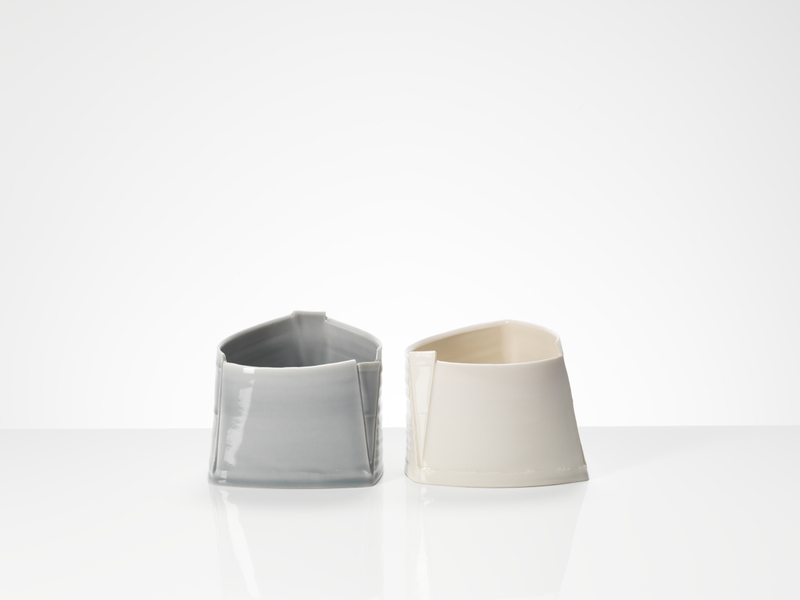 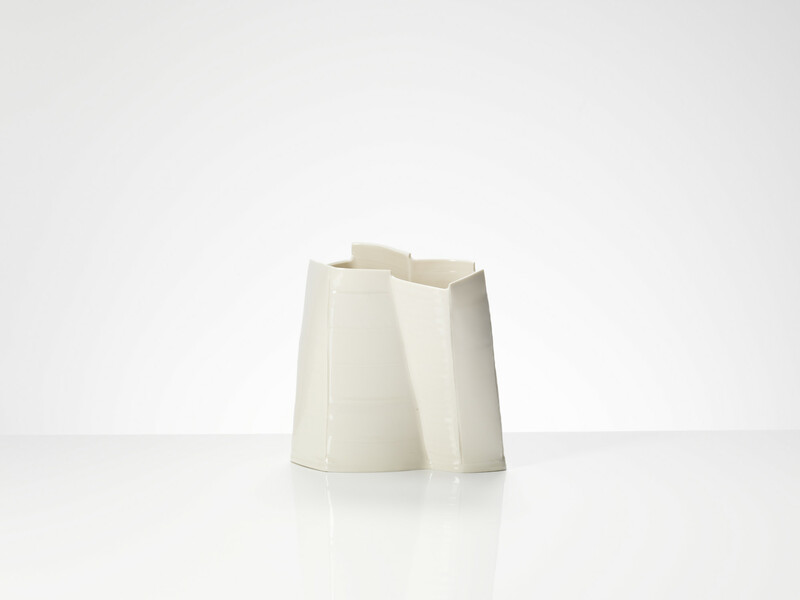 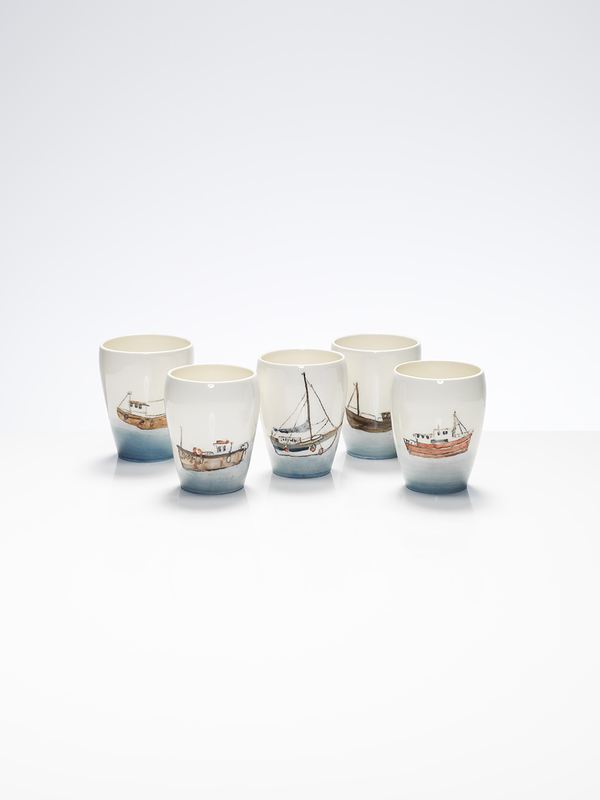 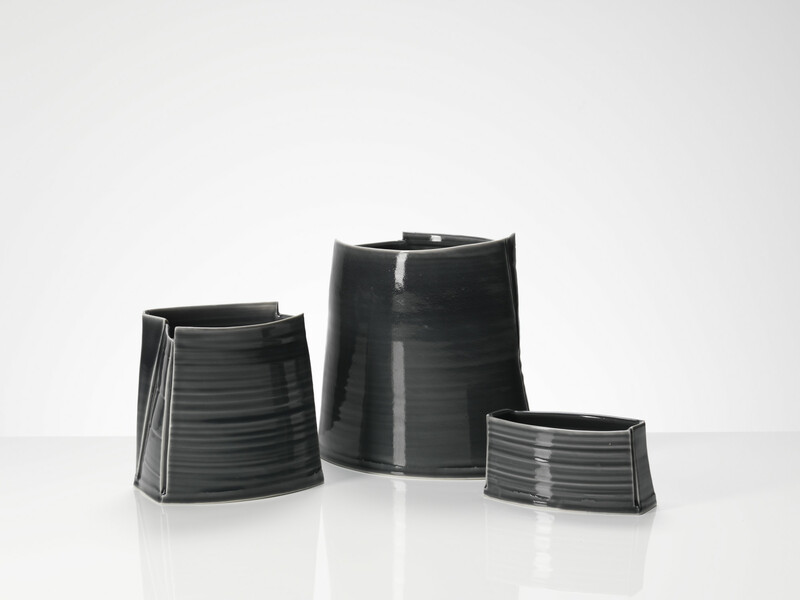 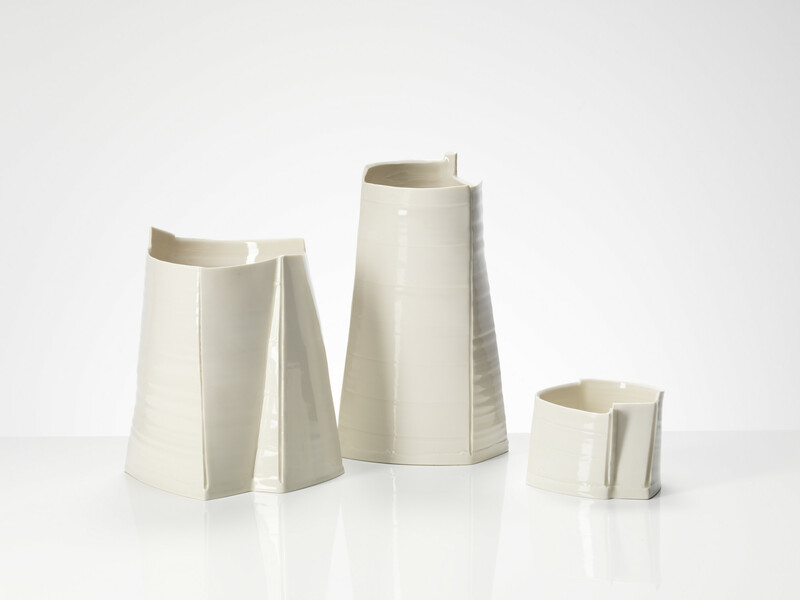 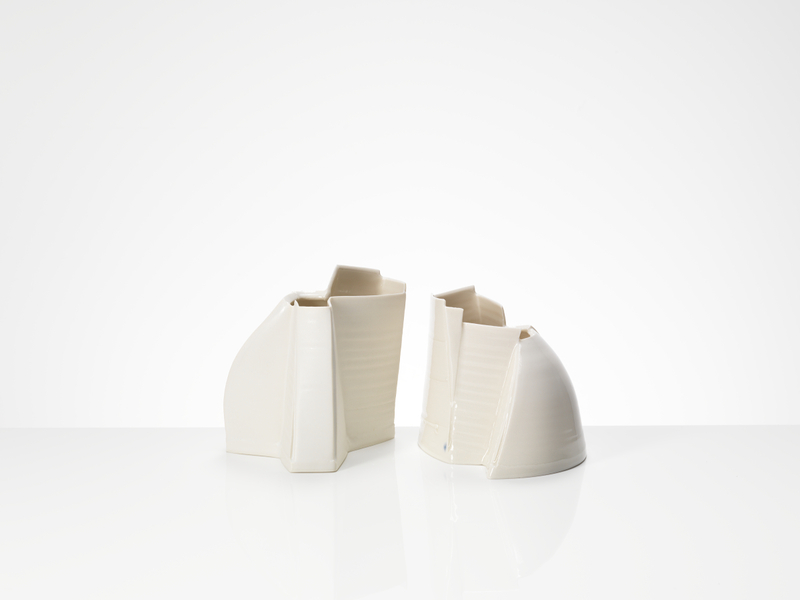 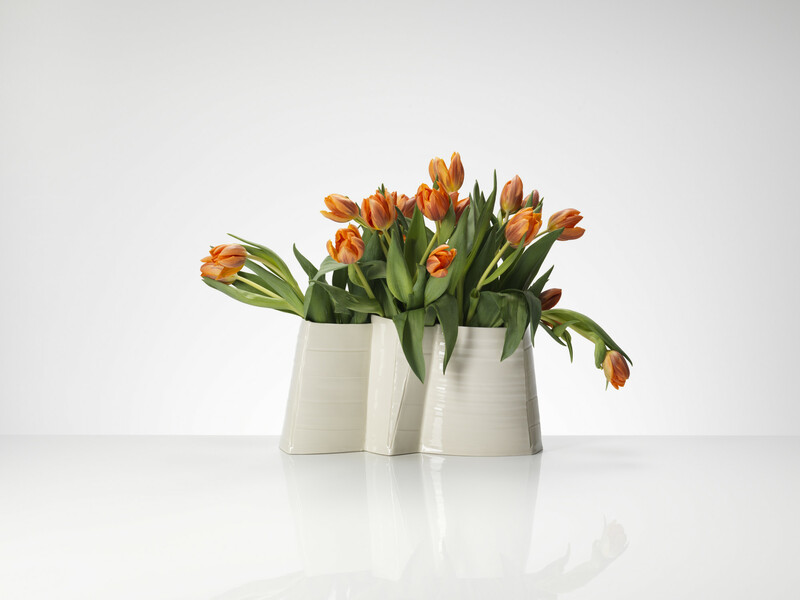 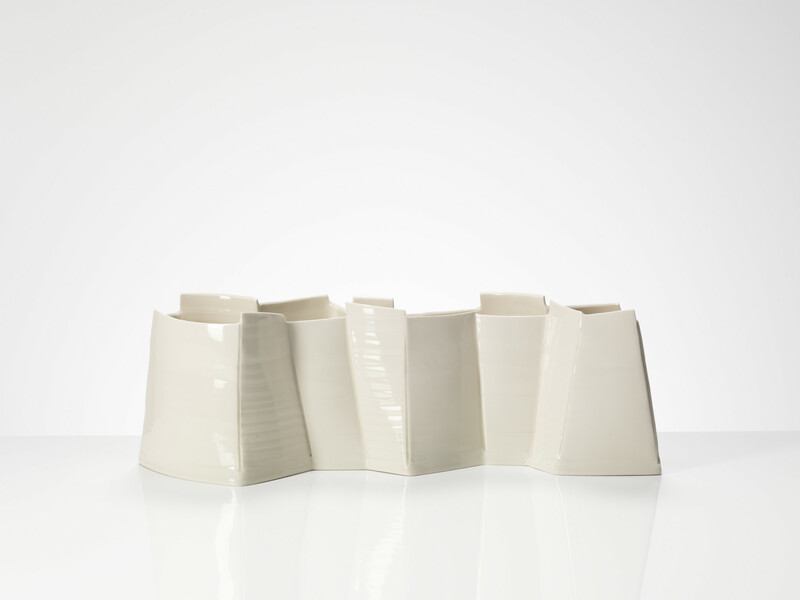 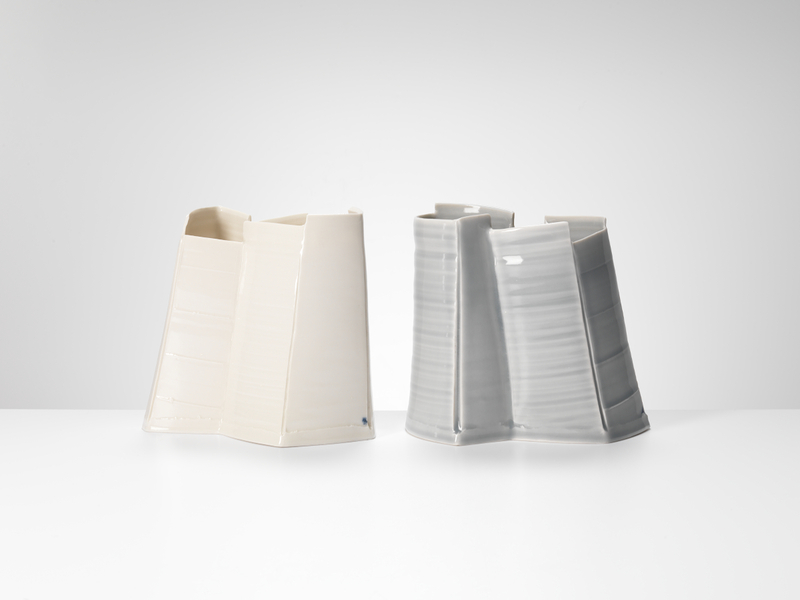 Chris began working with clay in his mid-thirties when he began a two year apprenticeship with Edmund de Waal. 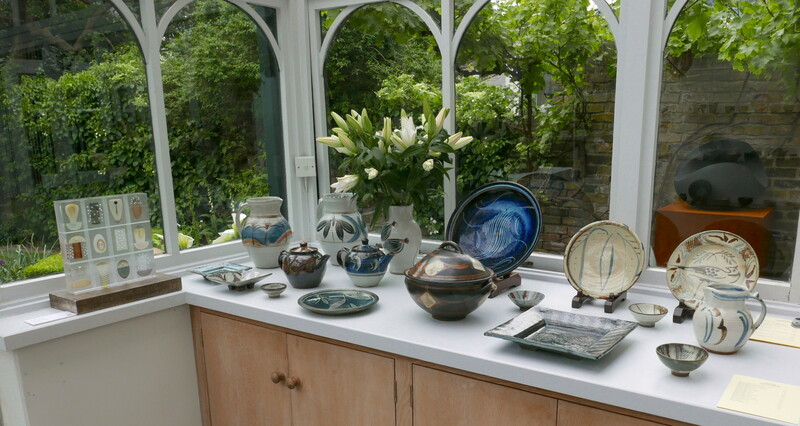 His collection includes beakers, bowls, cups, teapots, jugs and pots for flowers. 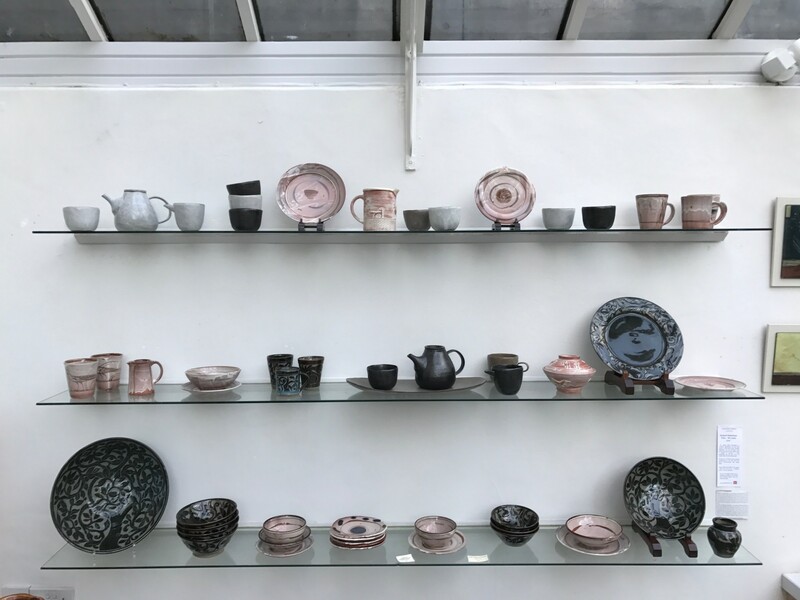 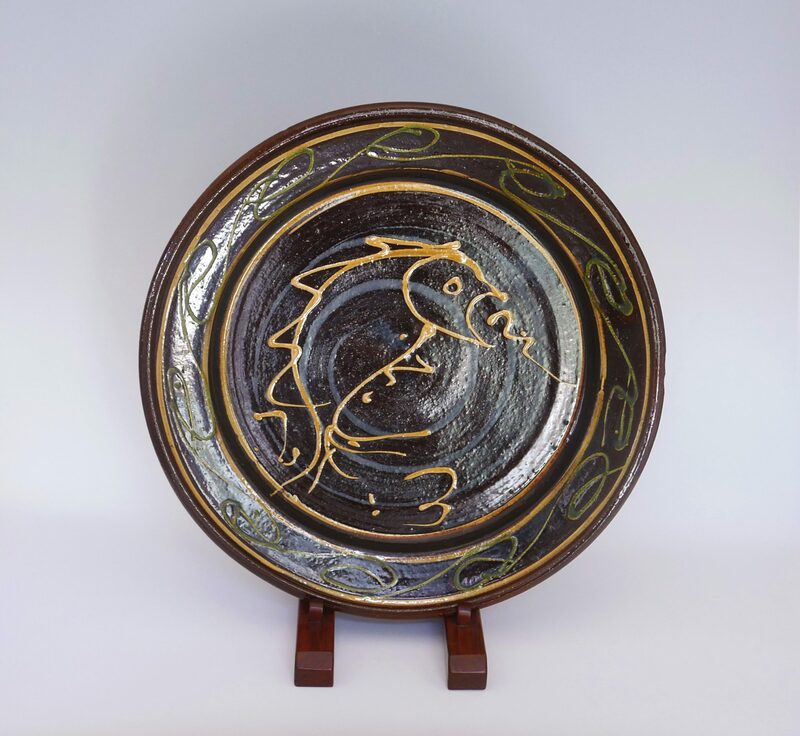 Most recently, Chris spent six weeks as Artist-in-Residence at the Mashiko Museum of Ceramic Art in Japan working with local clays and glazes. 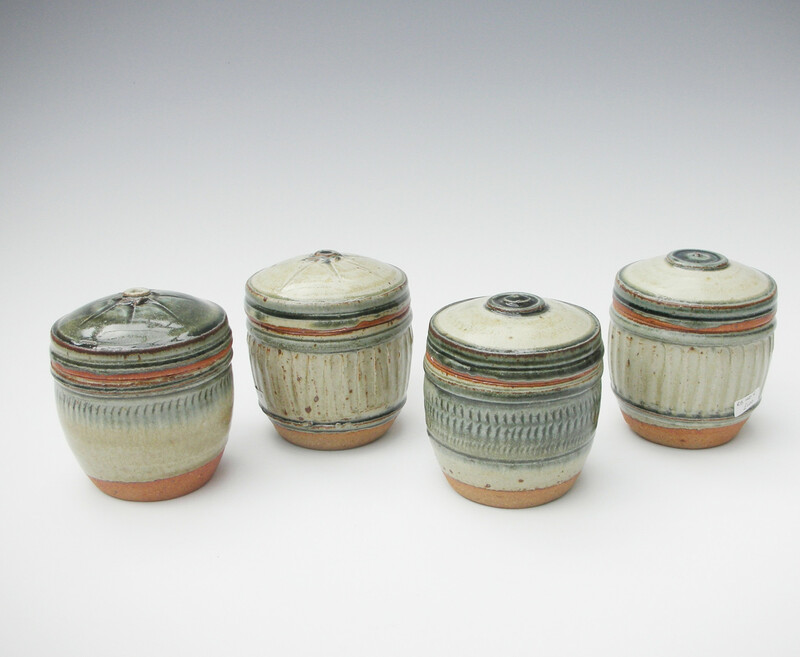 He was invited to fire work in the salt-glaze and noborigama kilns of Tomoo Hamada. 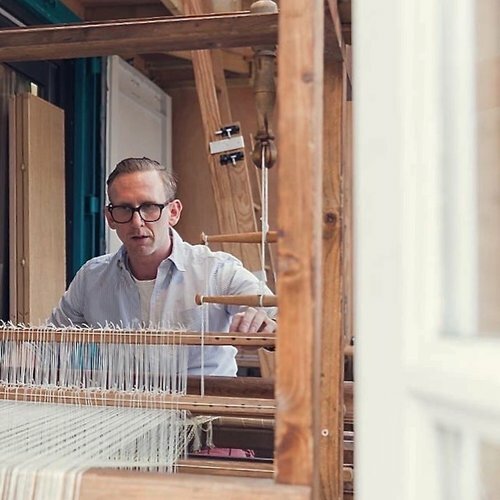 Margaret Howell has been designing understated, high-quality clothes since 1970. 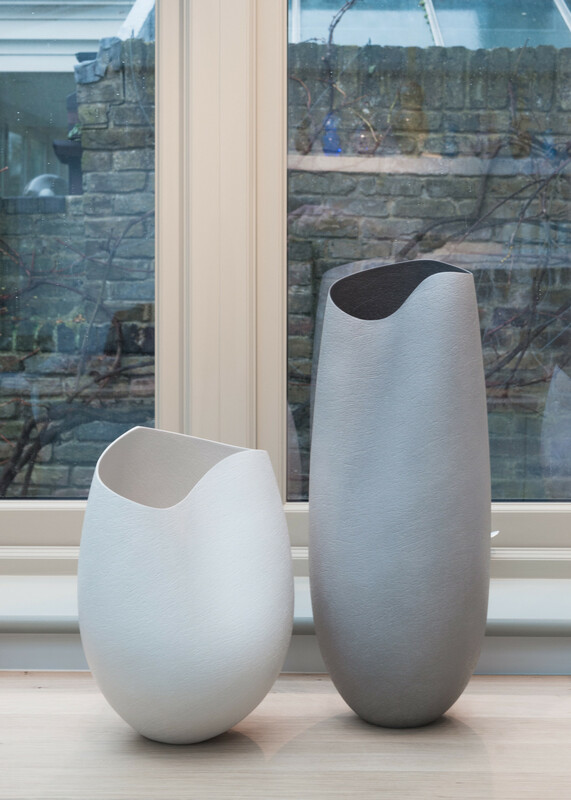 Inspired by nature, mid-20th-century furniture design and figures such as Mr James Dean and artist Mr Ben Nicholson, Ms Howell’s vision is unerringly tasteful, assured and practical. 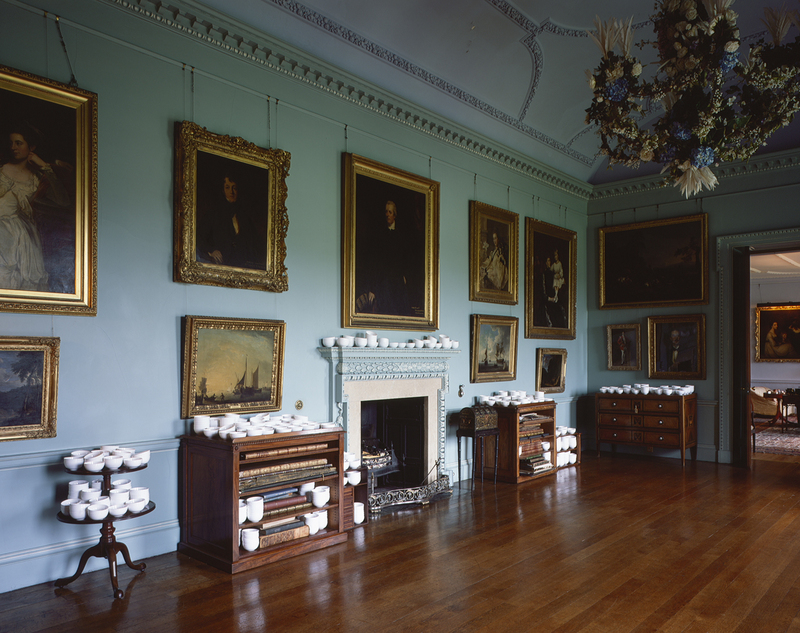 Booking is essential as places on the tour are limited, tickets cost £9.60 and are available here. 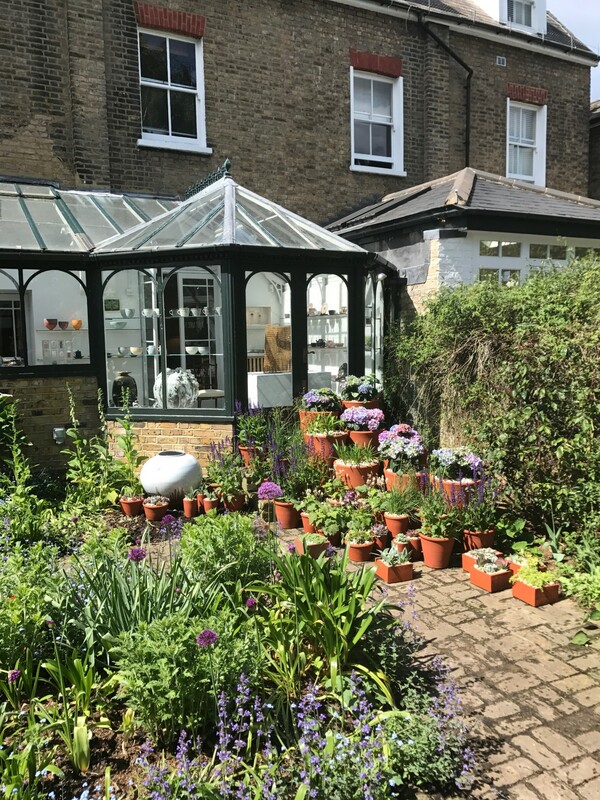 Those on the tour will be met between 10.40 – 10.50, at South London Gallery, 65-67 Peckham Road, SE5 8UH and continue on to Vanguard Court. 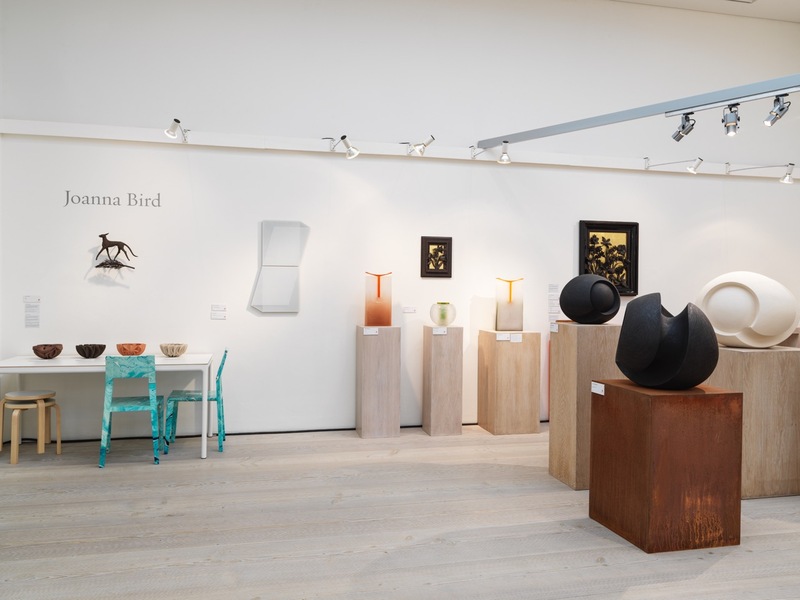 Messums Wiltshire welcomes Anthony Shaw, founder of The Anthony Shaw Collection and Joanna Bird, consultant curator to Material: Earth to discuss Anthony’s collection which is on long term loan to CoCA, York Museums Trust. 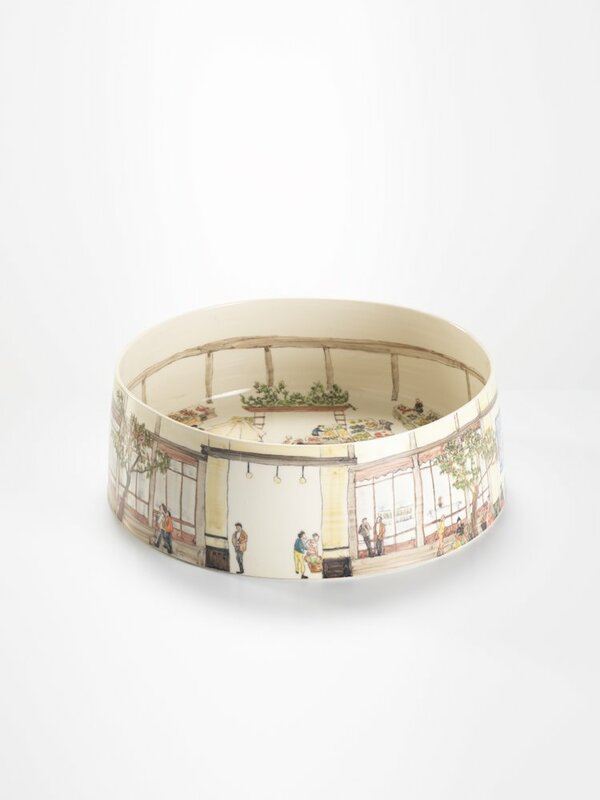 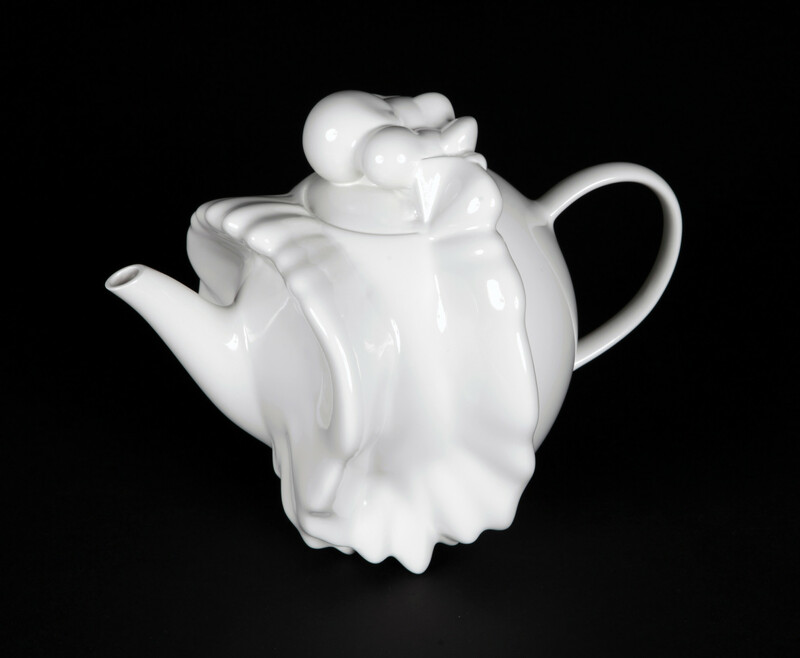 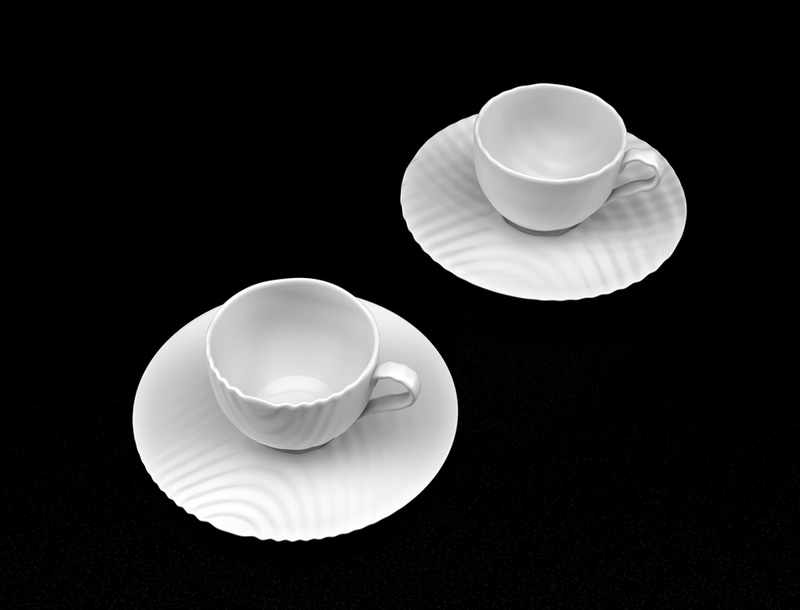 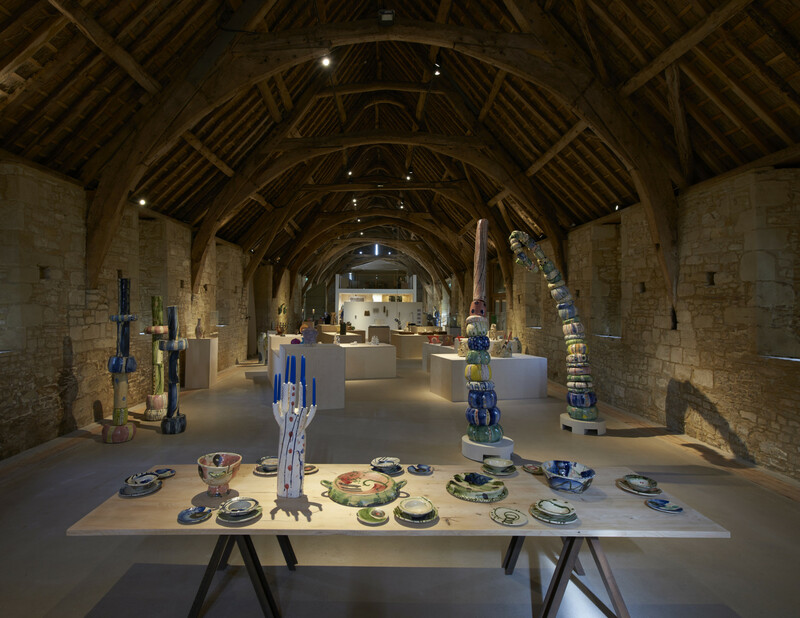 It is one of Britain’s most important private collections of modern studio ceramics. 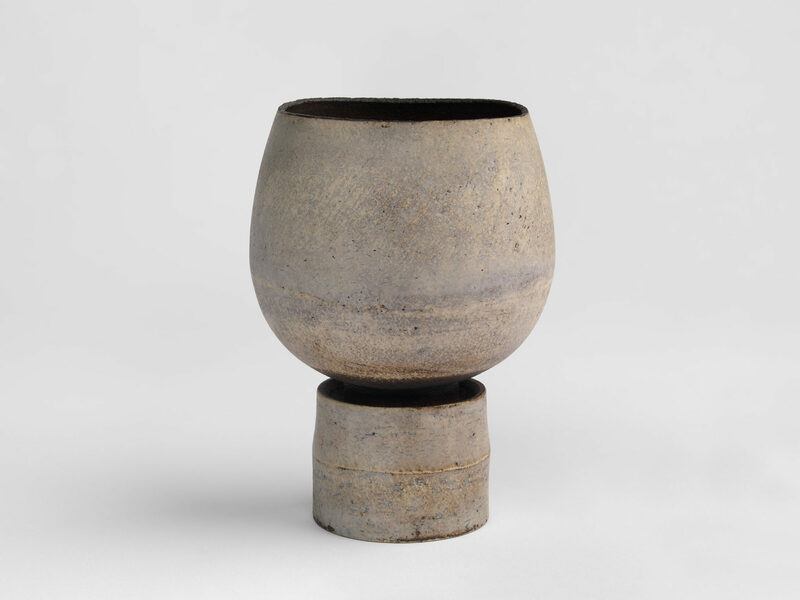 A major holding of over 1200 works by some eighty artists acquired over 44 years. 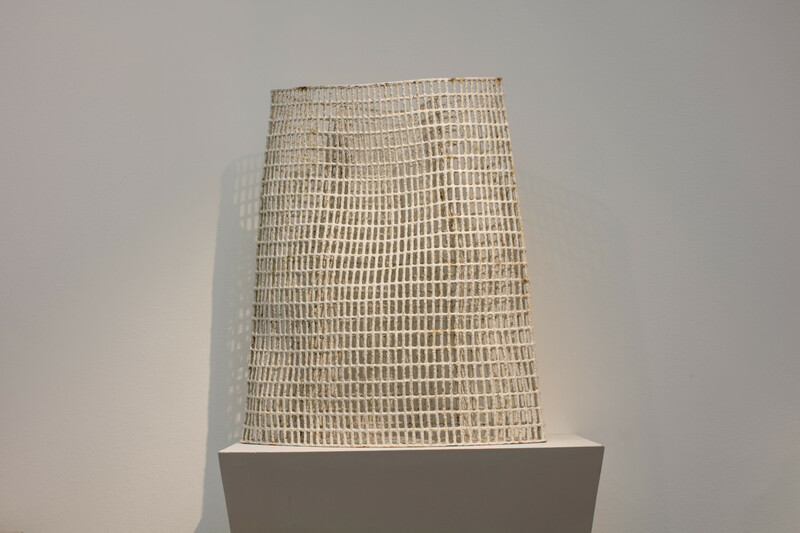 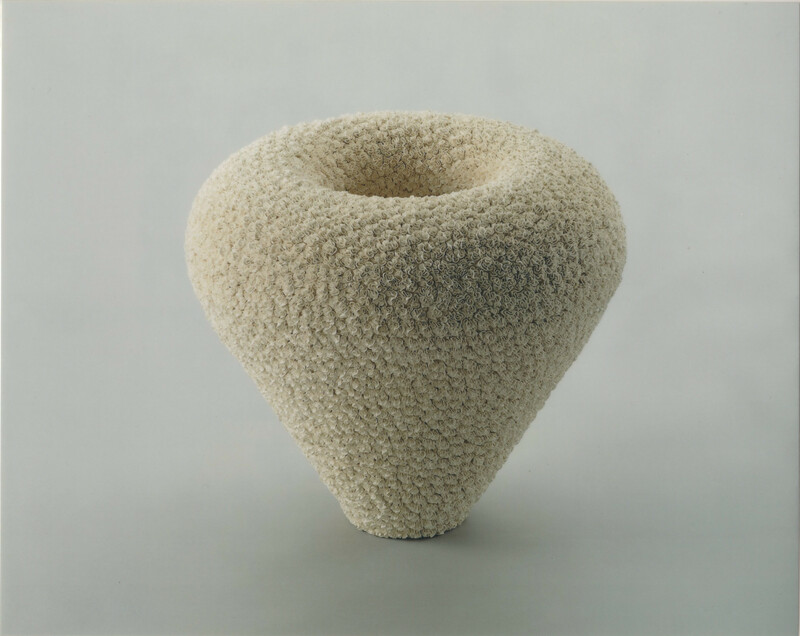 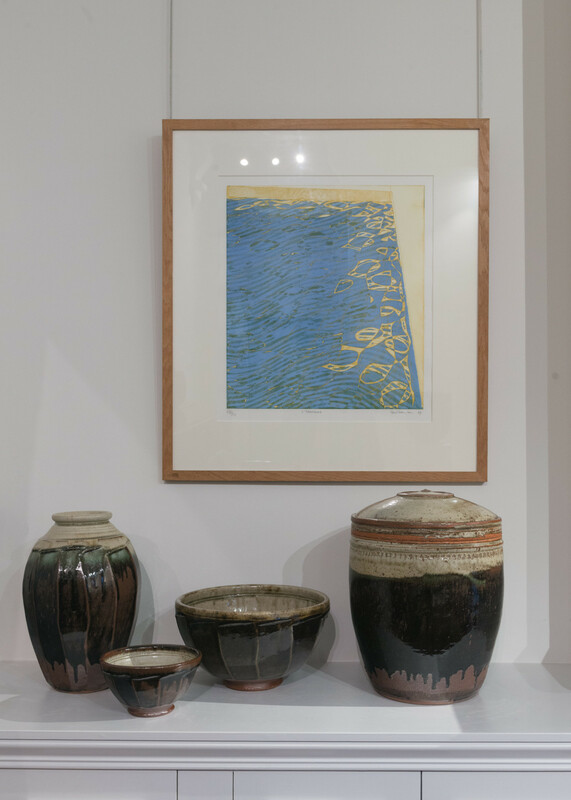 Within it there are important works by Lucie Rie, Hans Coper, Sara Radstone, Ewen Henderson, Gordon Baldwin and Gillian Lowndes amongst others. 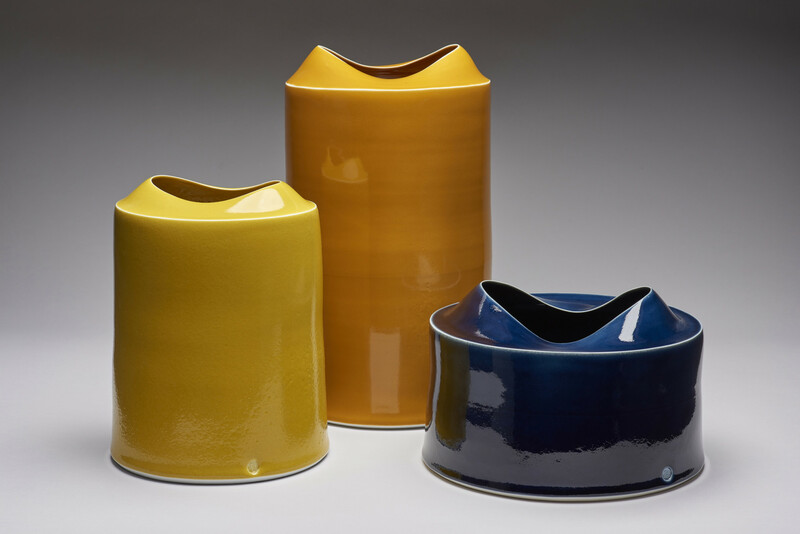 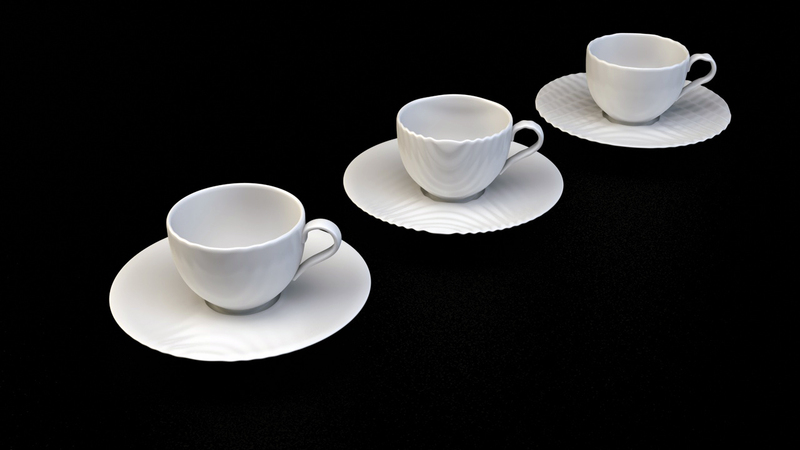 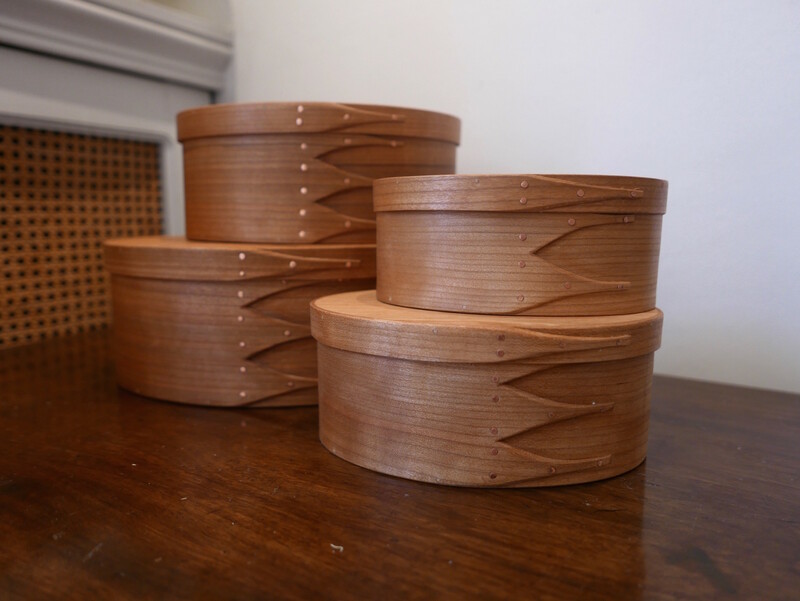 A couturier, Anthony has travelled widely from his early childhood, educated by these experiences he appreciates ceramics as Art and has developed a very personal aesthetic. 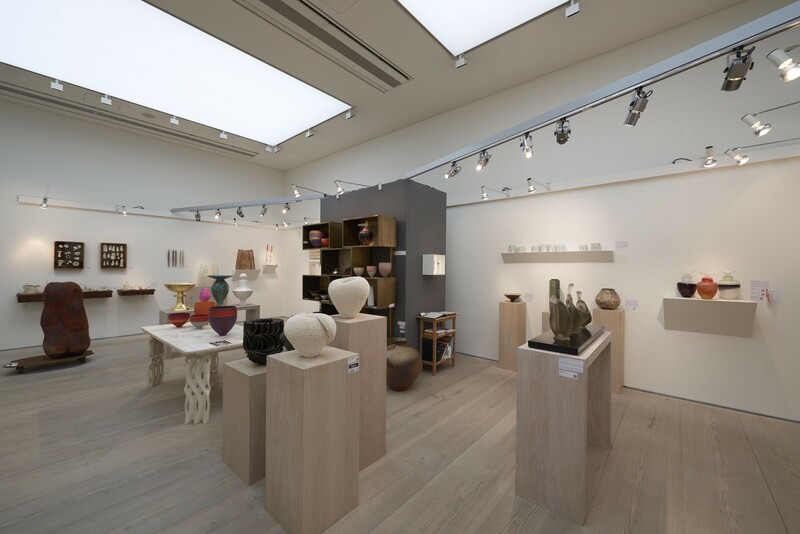 They will be talking about how the collection came about, specific influences, where is has been housed and how Anthony has engaged with its development. 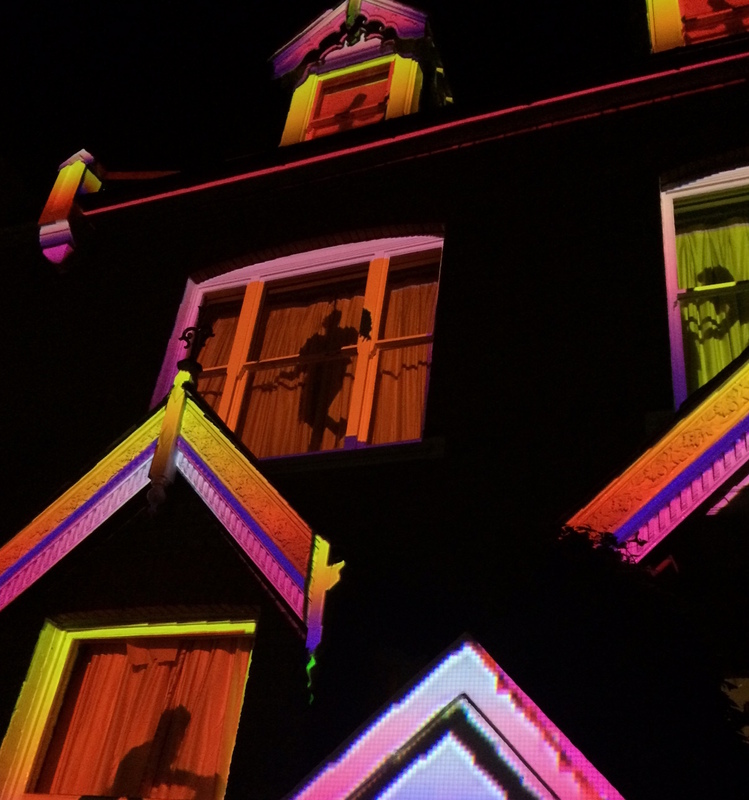 Booking is strongly advised with tickets costing £10.00 or £15.00 on the door and are available here. 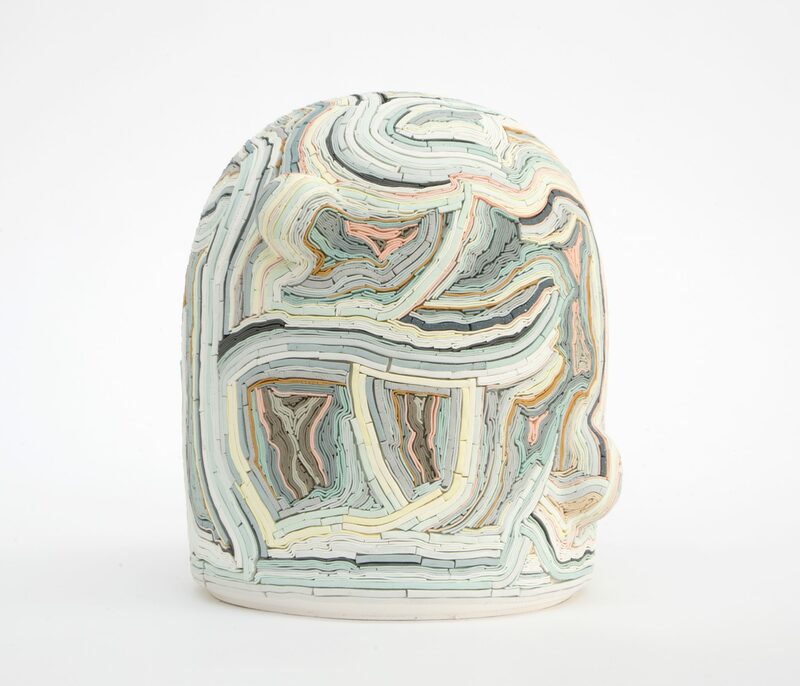 Making a collection: Abstraction in clay. 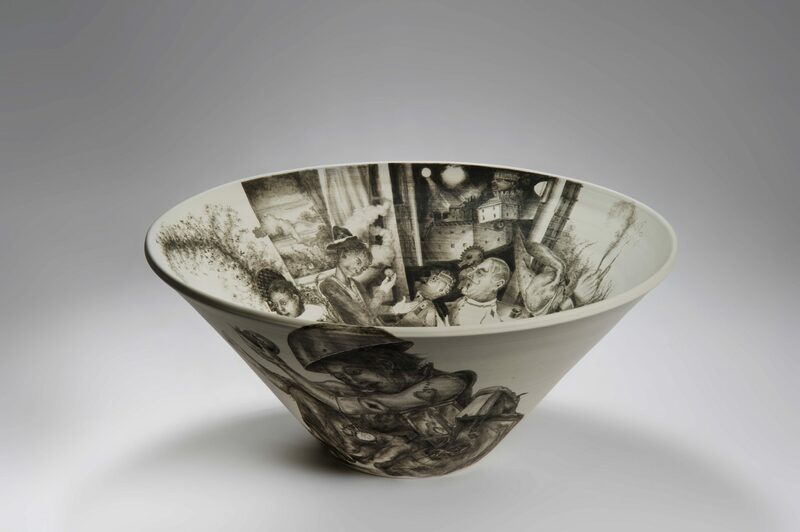 This exhibition demonstrates how artists have explored the language of ceramics over the last seventy years. 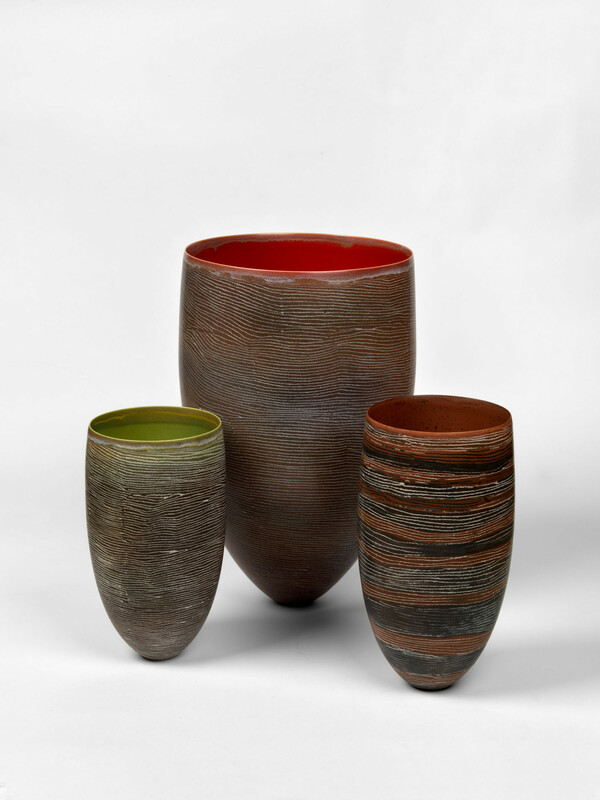 The aim is to convey a flavour of personal approaches to clay, from pots we use every day to abstract conceptual sculpture. 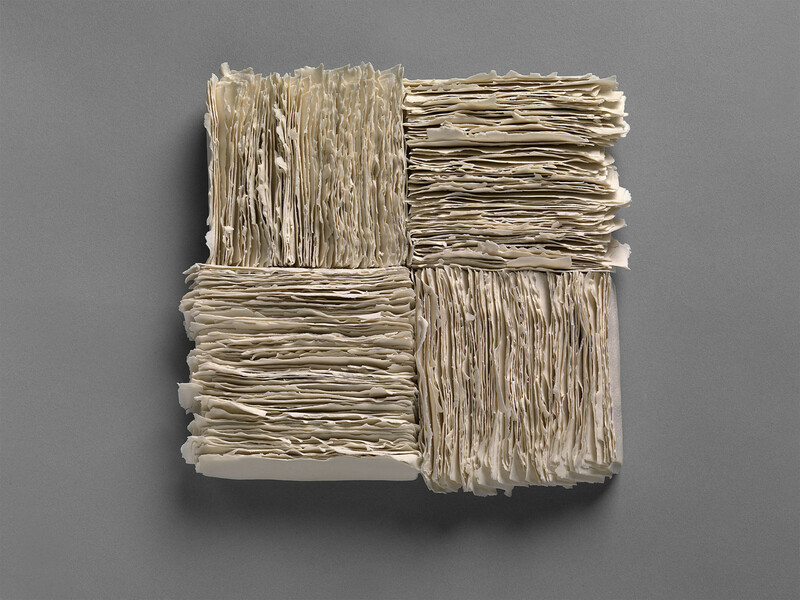 Messums invited Joanna to join the exhibition as a consultant curator to advise and facilitate making this an exciting and well rounded exhibition. 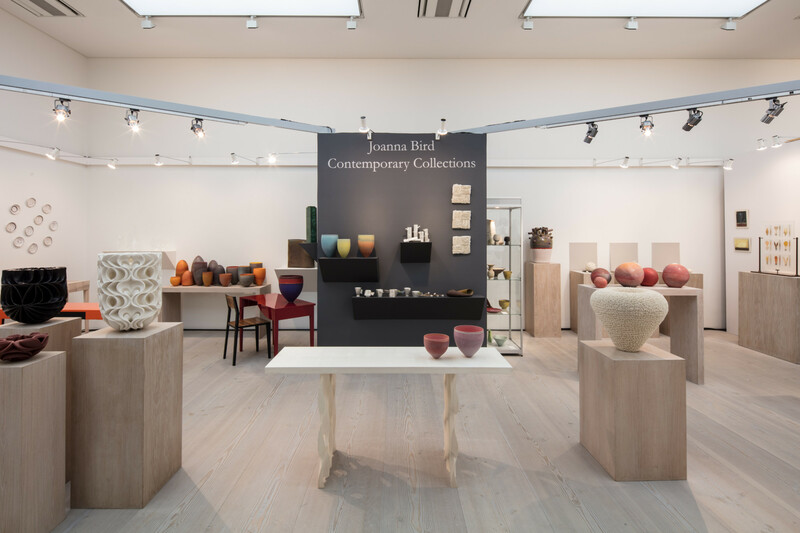 Joanna Bird returned to the Saatchi Gallery in February to participate in the Crafts Council 13th COLLECT contemporary craft fair. 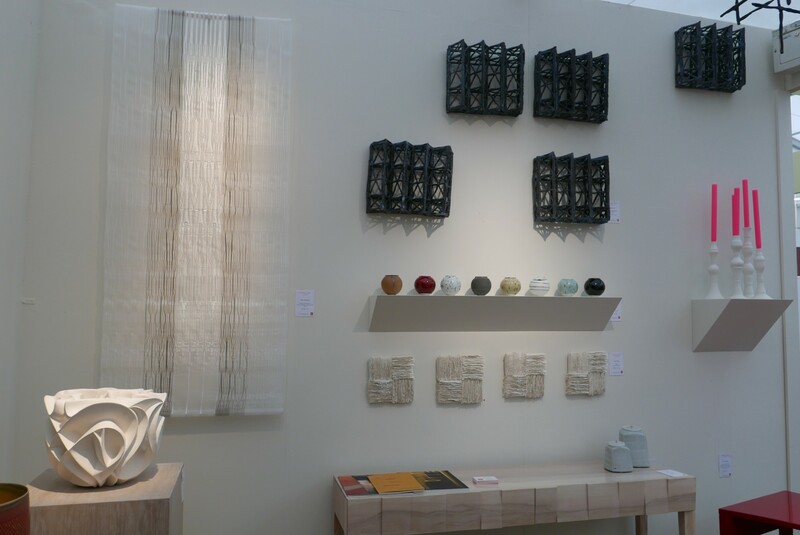 As always we showed a selection of quality works from internationally acclaimed contemporary ceramic, glass and wood working artists. 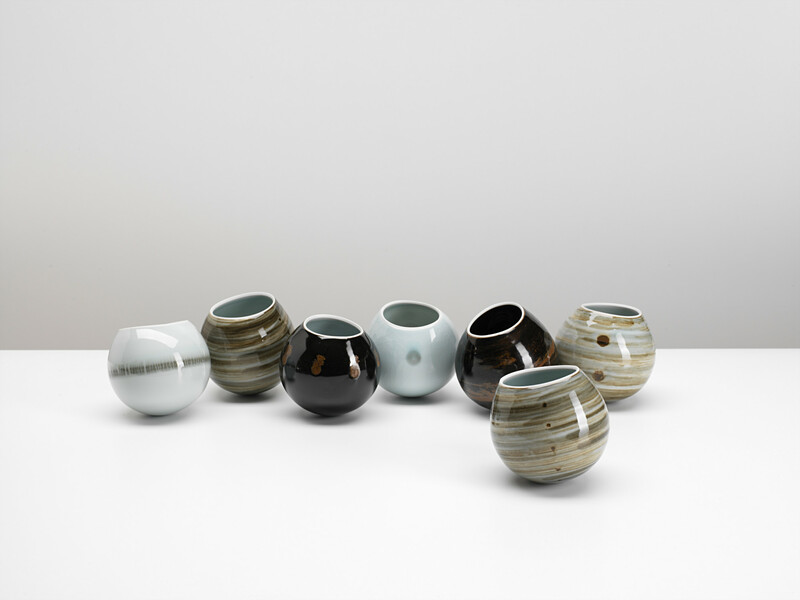 Works exhibited included pieces by Carina Ciscato, Pippin Drysdale, Annie Turner, Chien-Wei Chang, Kaori Tatebayashi, John Makepeace, Fausto Salvi, Sara Dodd, Hattori Makiko and Halima Cassell, Steffen Dam, Geoffrey Mann and Nest Designs. 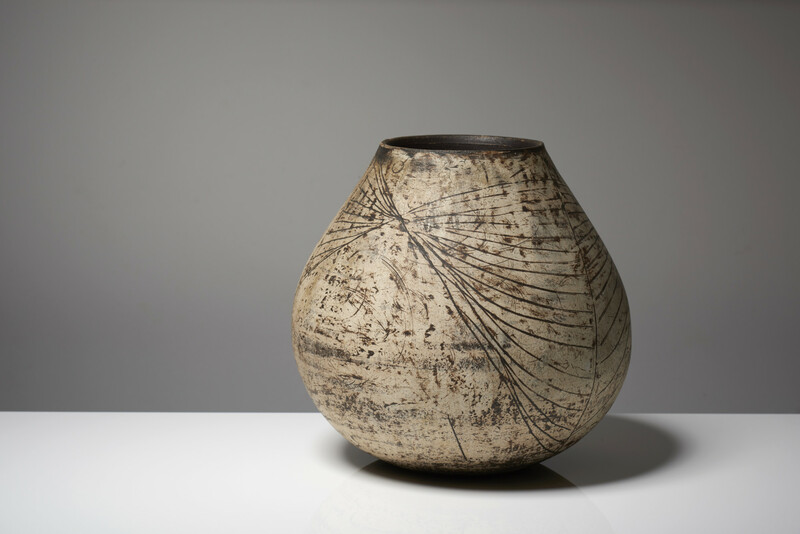 Joanna Bird continues to offer collectors the opportunity to acquire exceptional museum quality works by Hans Coper, Lucie Rie and Joanna Constantinidis. 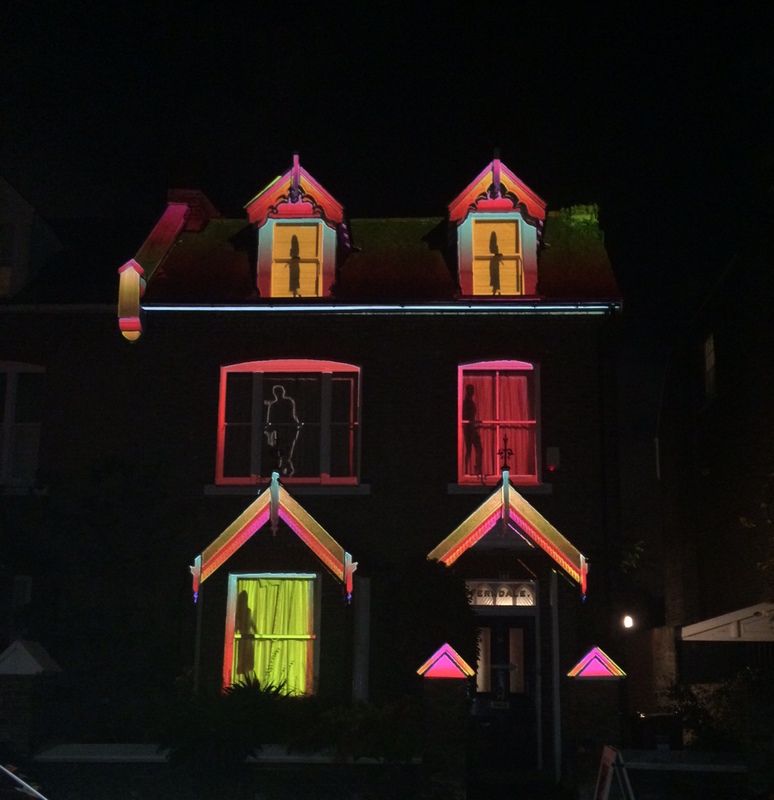 We were delighted to welcome light installation artist Rupert Newman who produced an exciting and mesmerizing display for the exhibition opening night. 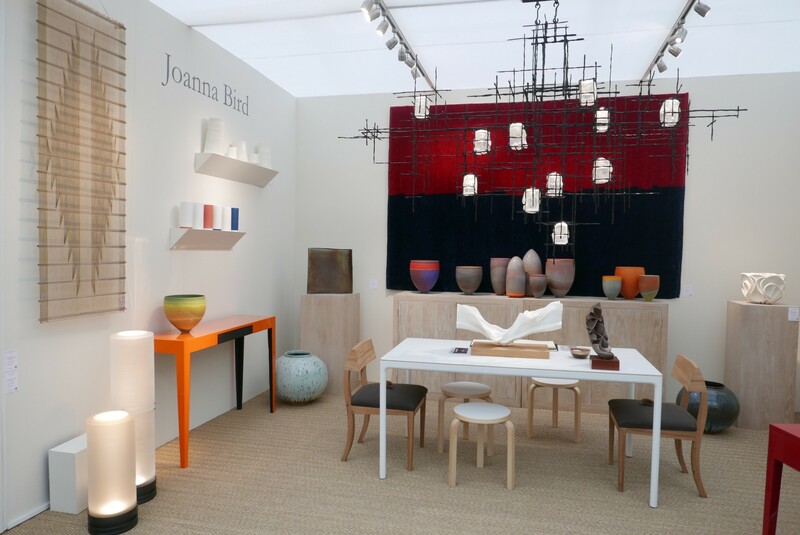 Following the success of her collaboration with renowned interior designer David Mlinaric, curating the Sir John Soane Museum stand for Decorex International 2015, Joanna Bird returned to the fair bringing together an array of superb Decorative Arts, Furniture and Venetian Lighting. 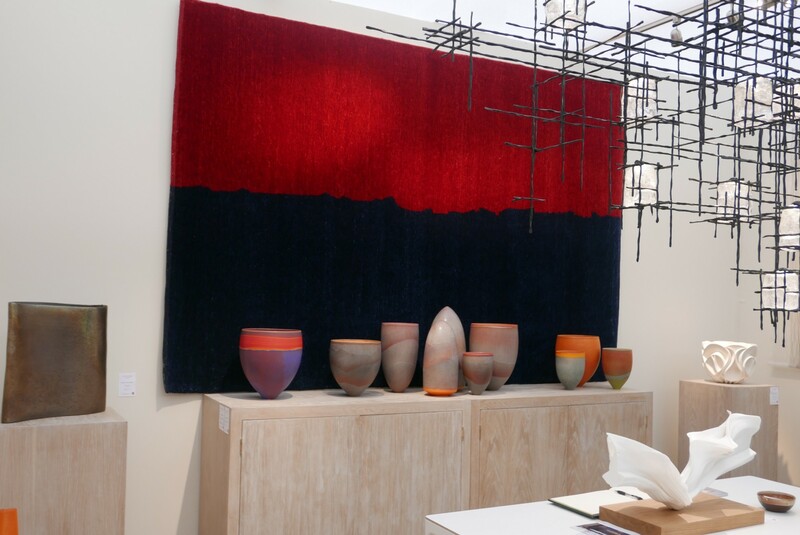 By placing a curatorial emphasis on the ‘Objets D’art’ when designing around the objects, Joanna creates fresh and harmonious spaces, something which is reflected in her stand design for the fair. 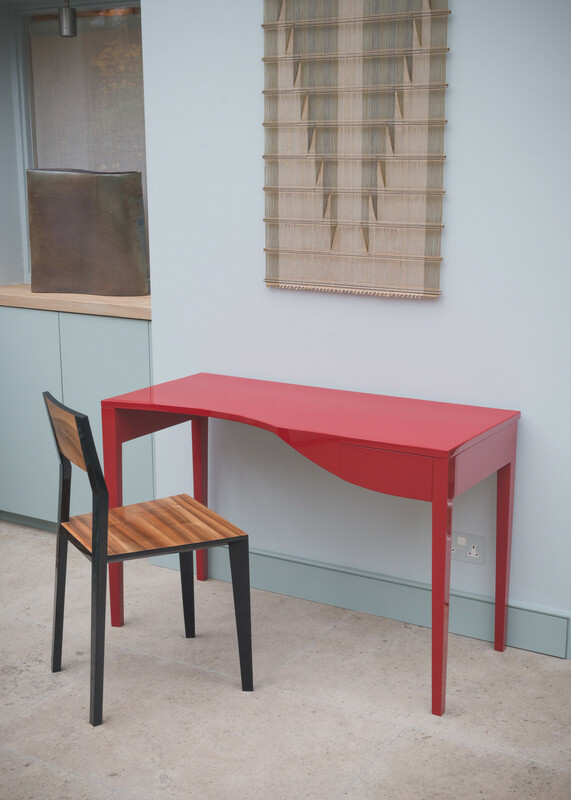 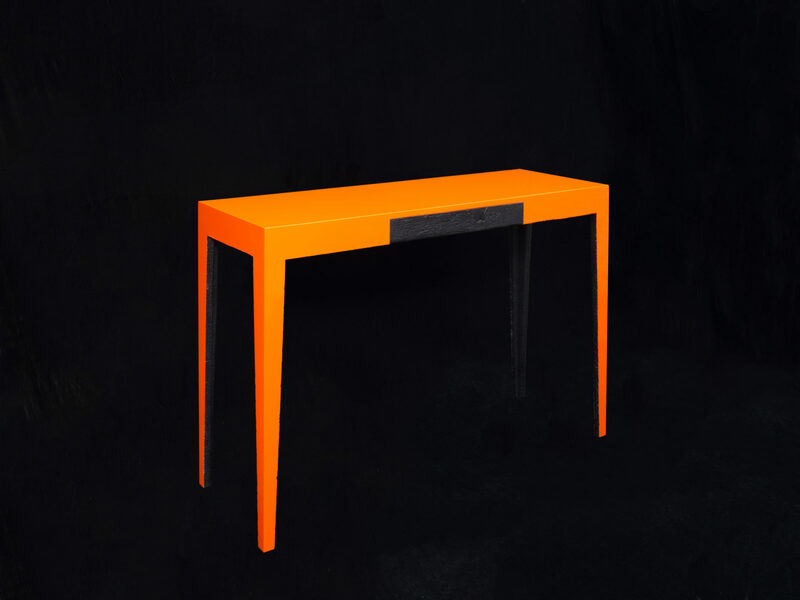 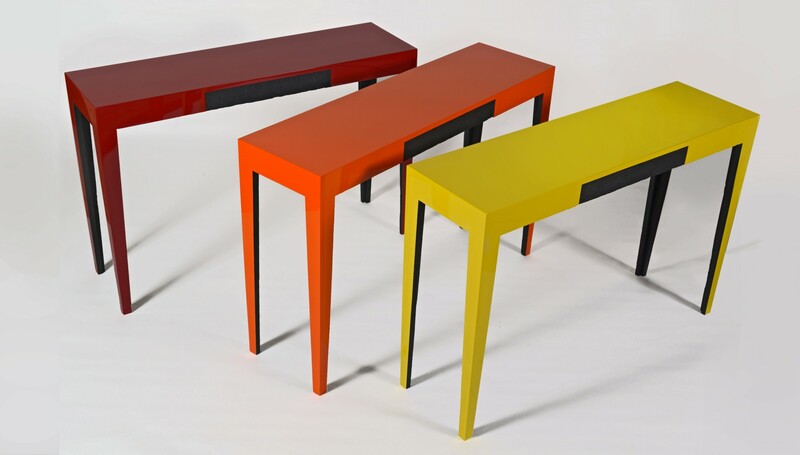 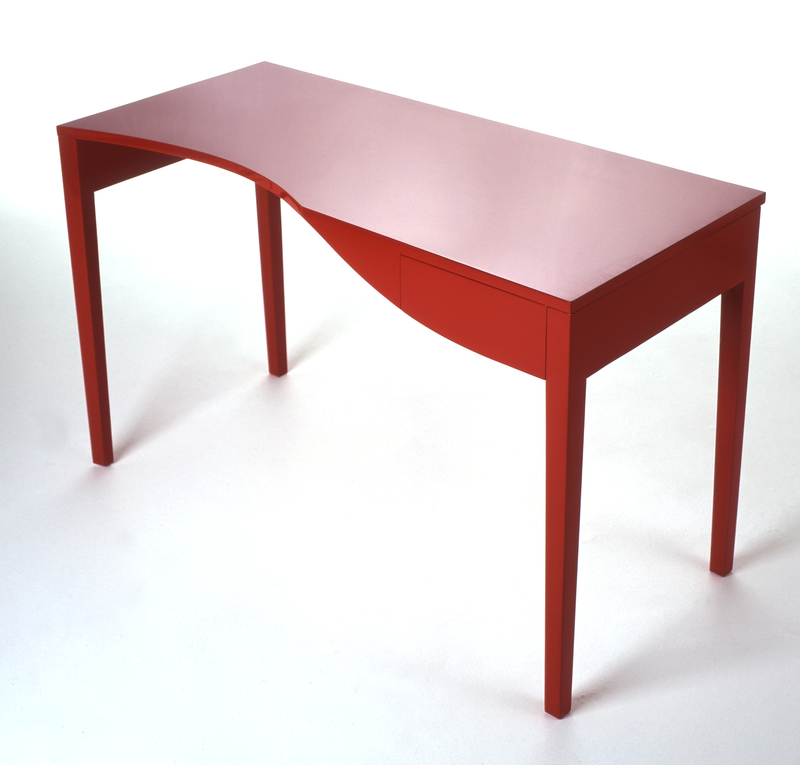 Bold colours and clean lines: Furniture by Nest Design including The Pheonix console table, Red Writing Desk and Twenty 10. 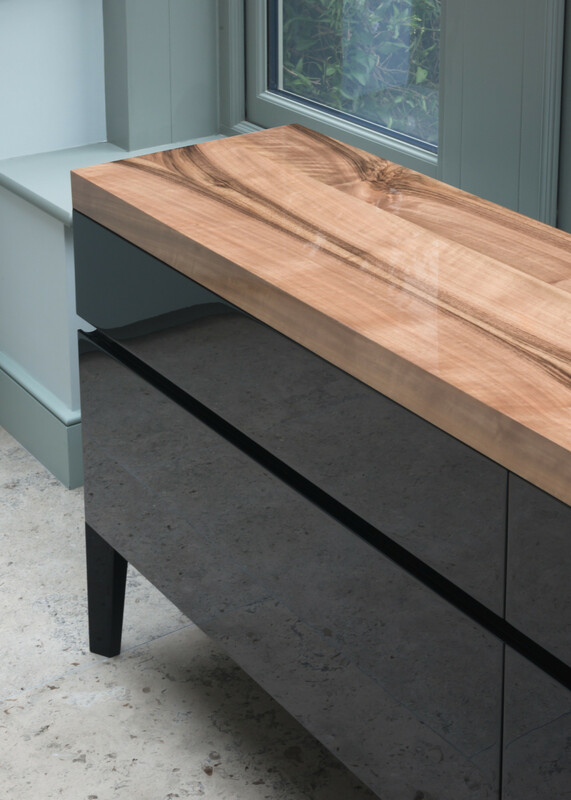 Nest create hand crafted pieces in solid timber and in 2005 they were awarded the prestigious Irish Furniture Oscar by John Makepeace. 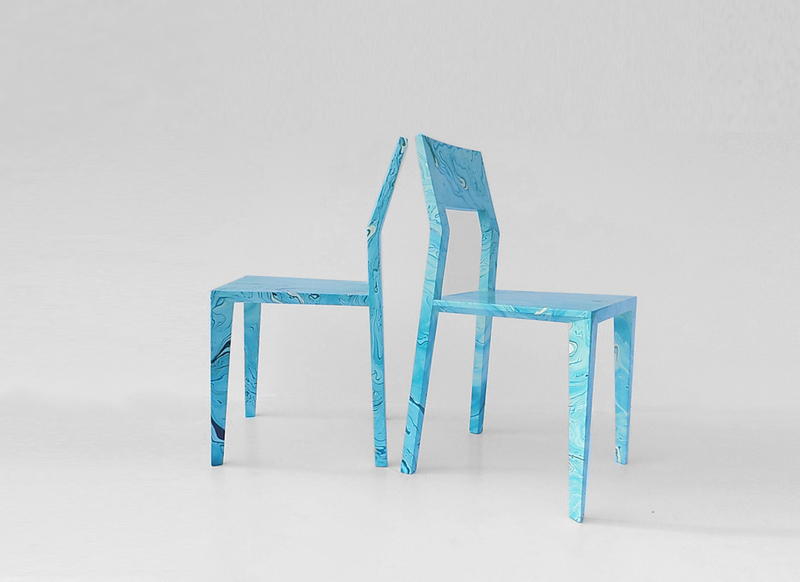 The Phoenix consoles are Neil & Annabel McCarthy’s latest design. They combine their signature lacquer with the Japanese charring technique known as shou- sugi-ban. 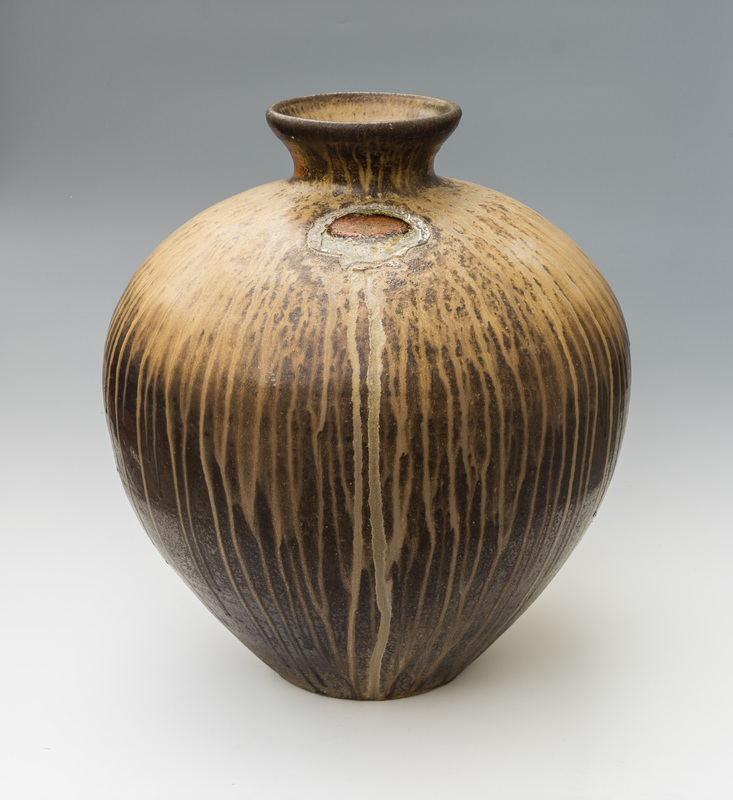 Traditionally applied to cedar for exterior use, it preserves wood by burning it superficially. 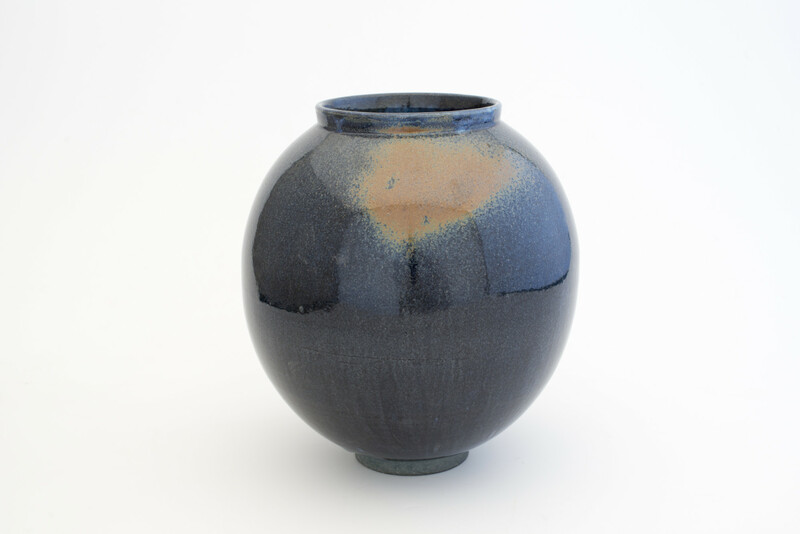 The hardened surface is then cleaned and coated with oil. 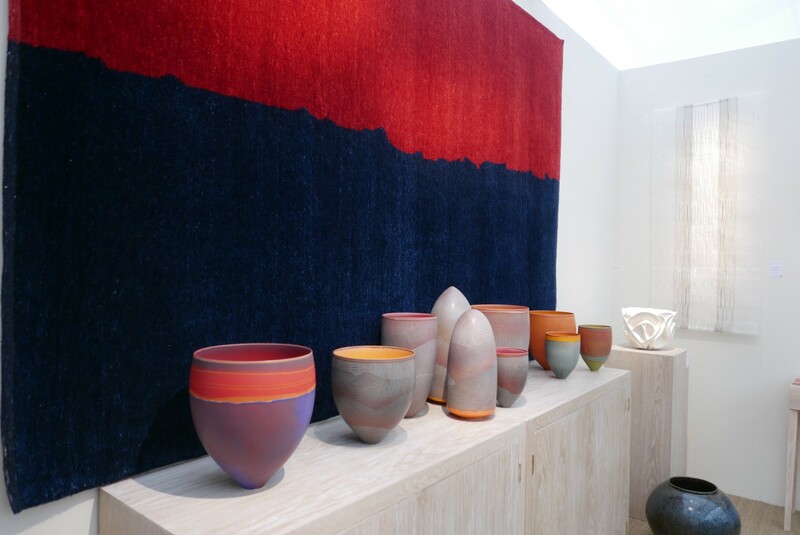 Continuing the theme of bold colours Pippin Drysdale’s porcelain installations strike a topographical note referencing the Australian landscape. 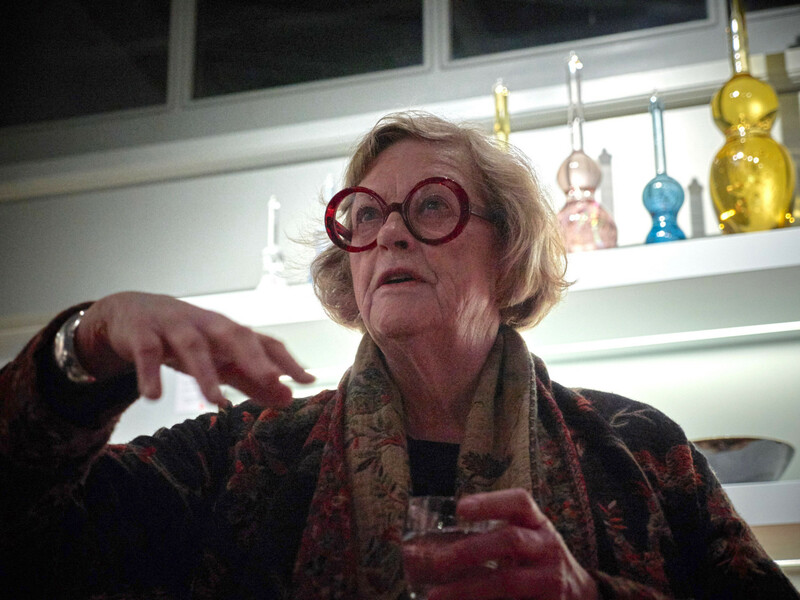 She is a National Living Treasure of Australia. 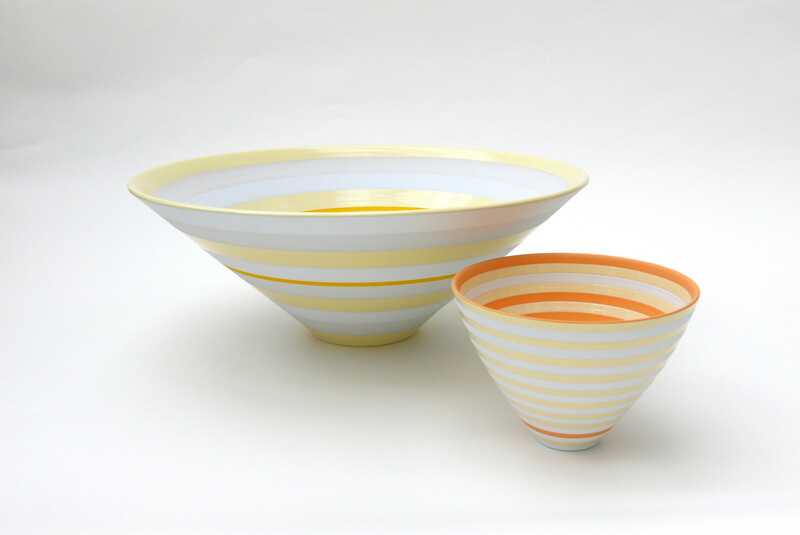 Her work is instantly recognisable for its vibrant colours and strong forms. 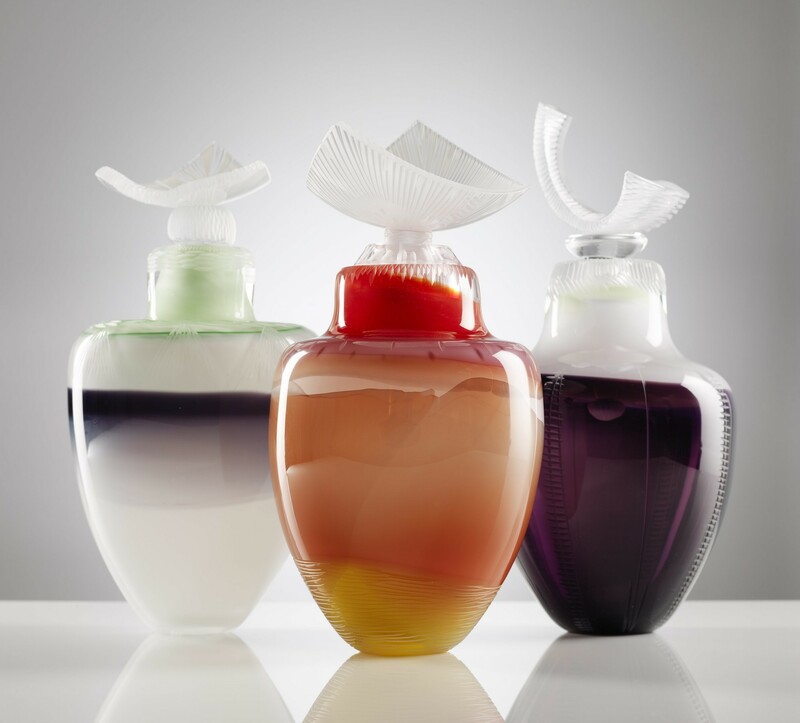 Alessandro Diaz de Santillana brings the best from the Masters of Murano with sophisticated uplighters which emmenate a rich jewel-like glow. 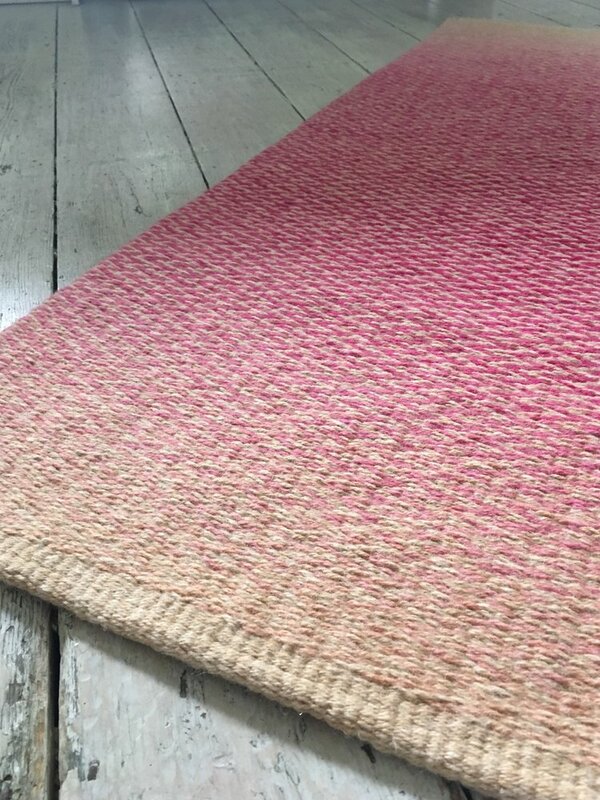 Joanna will also be showing a beautiful rug by British artist Christopher Le Brun. 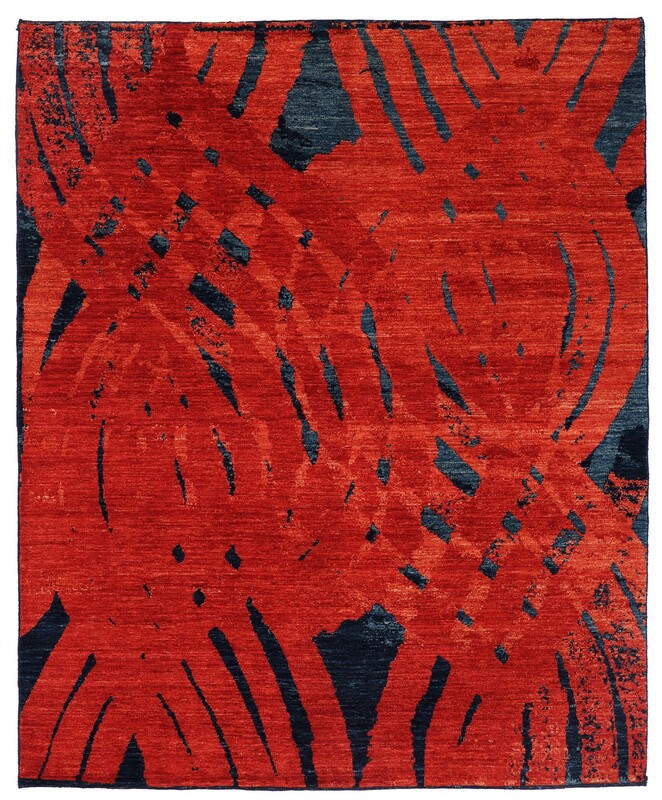 Red and Blue was made in Afyon, Turkey and was made after a painting entitled Keep. The piece is hand dyed, hand knotted Anatolian Fat Tail Wool and Mohair. 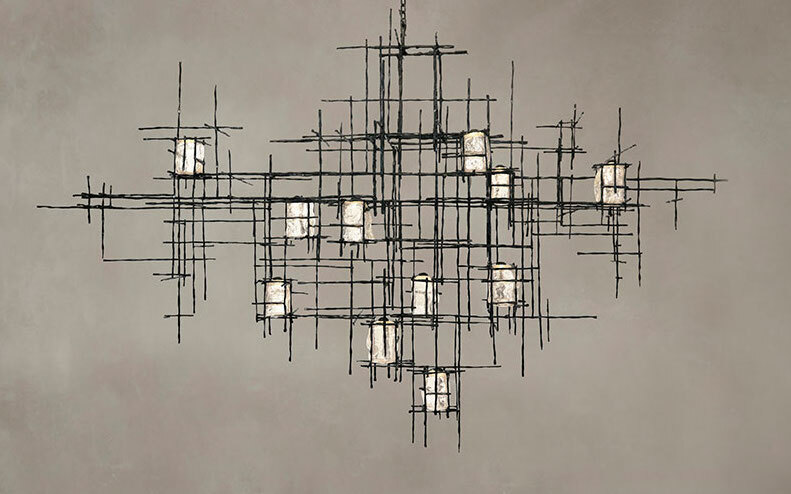 We are delighted to be showing a chandelier by Cox London. 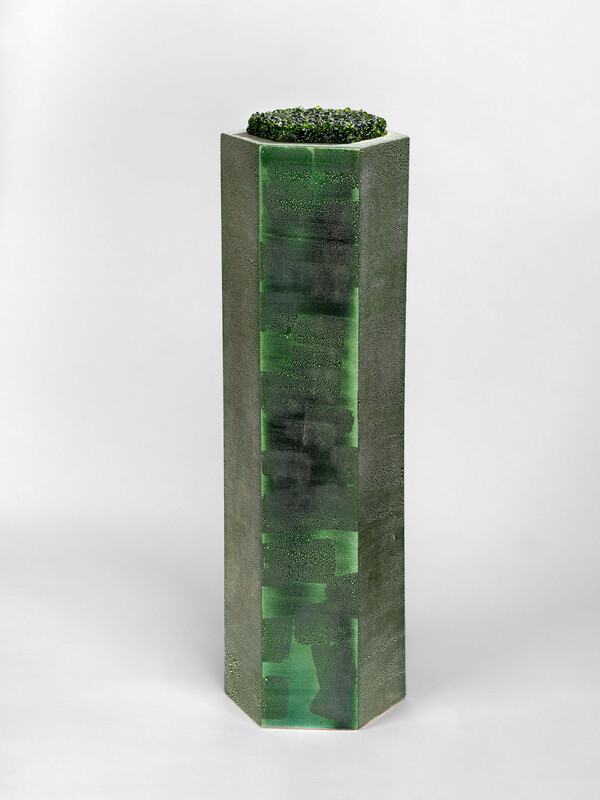 Ferro Vitro, inspired by the drawings of Alberto Giacometti is a sculptural construction of iron and blown glass, forged in the UK. 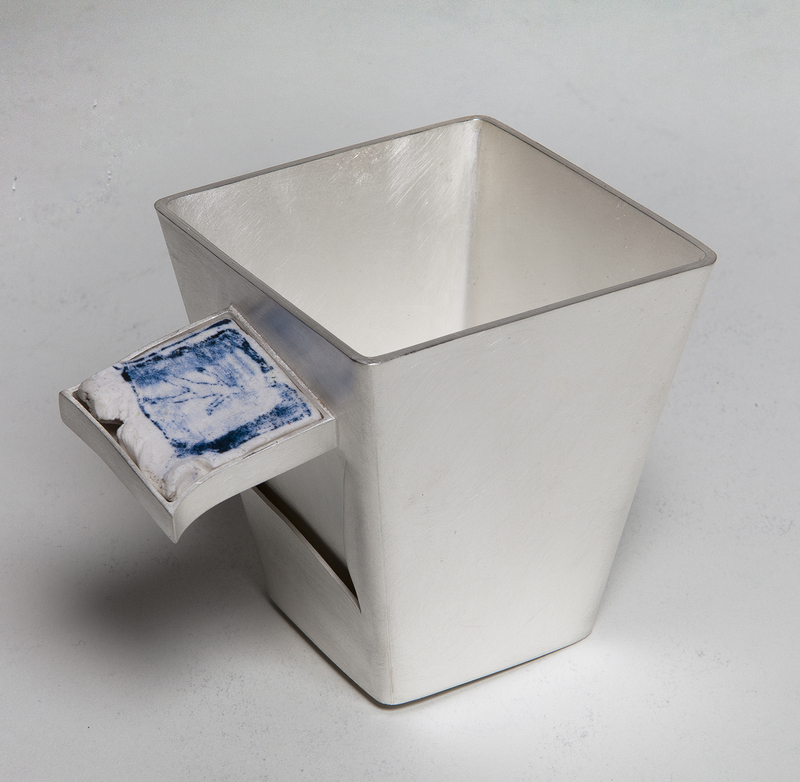 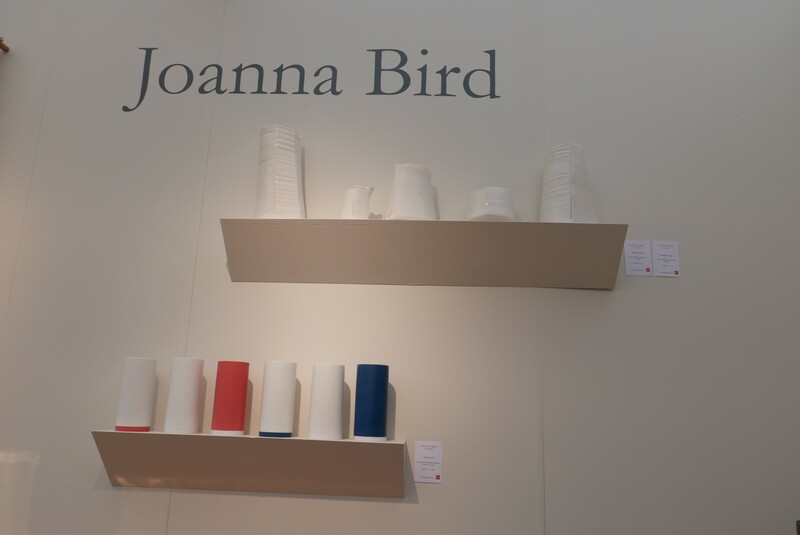 Joanna Bird brings together an array of beautiful objects by internationally acclaimed artists. 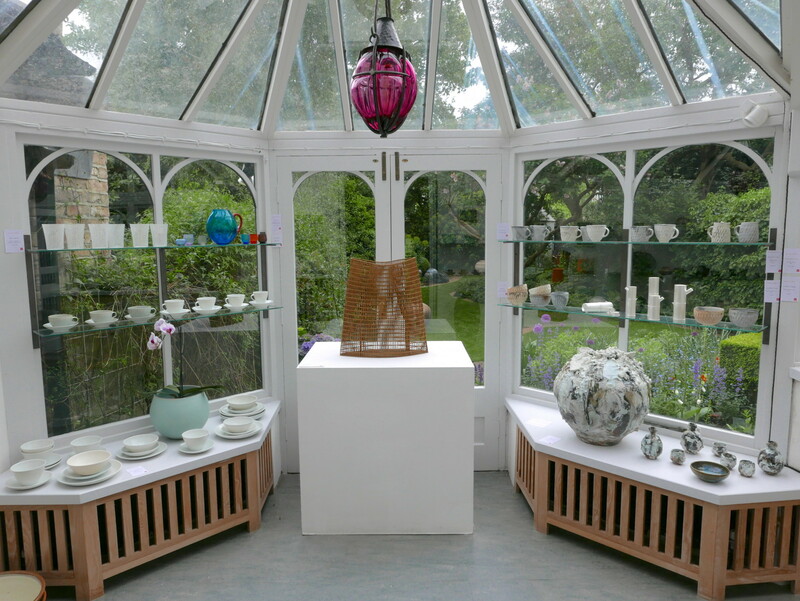 An enticing selection of Ceramics, Glass, Textiles and Wood set in the home gallery and against the backdrop of the unusual garden design in Chiswick. 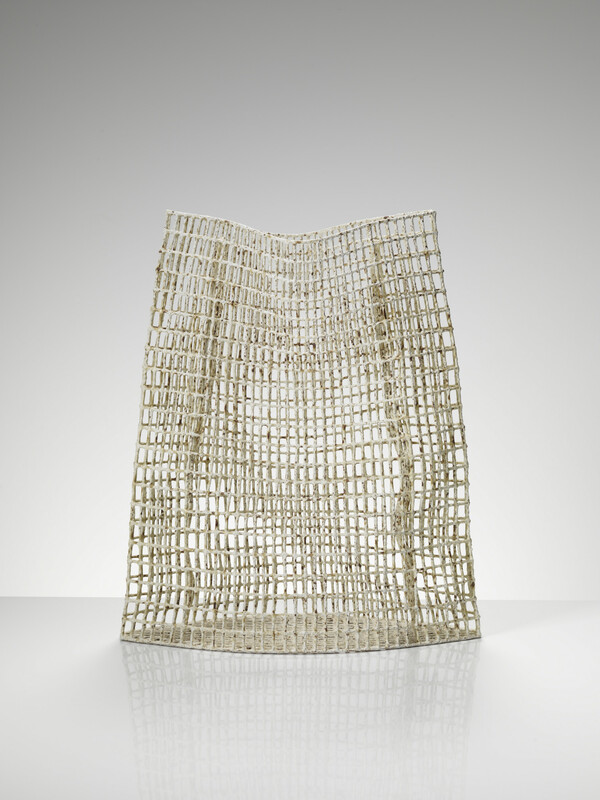 Exceptional craftsmanship will be on view, mysterious and exotic textiles by Rita Parniczhy explore the passage of light through material and pattern. 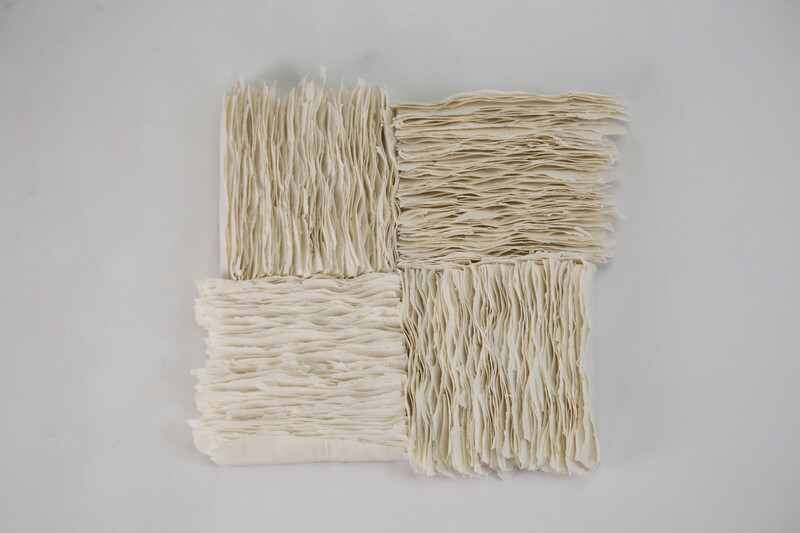 These will be juxtaposed with celebrated artist Peter Collingwood’s geometric macro gauze weavings. 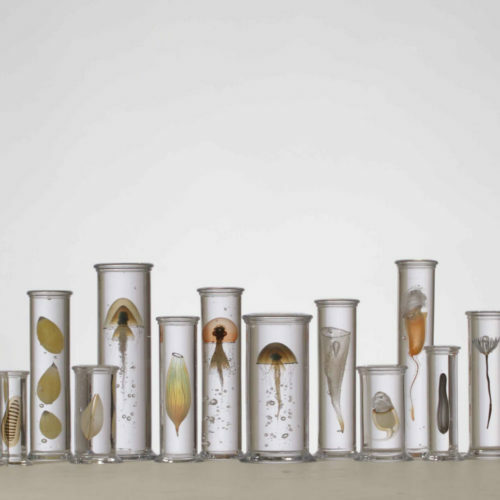 Alicja Patanowska shows her intriguing MushroomLAB and Plantation Installation which allows observation of plant development, both stem and root. 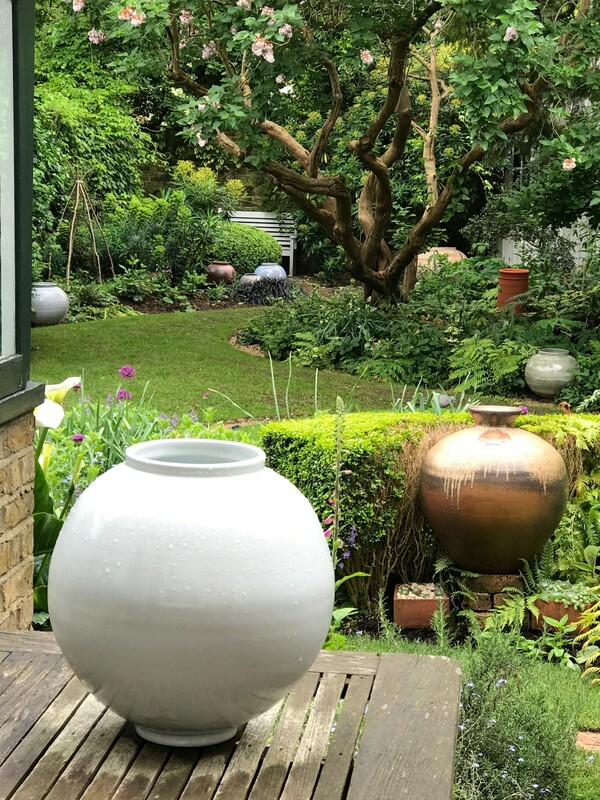 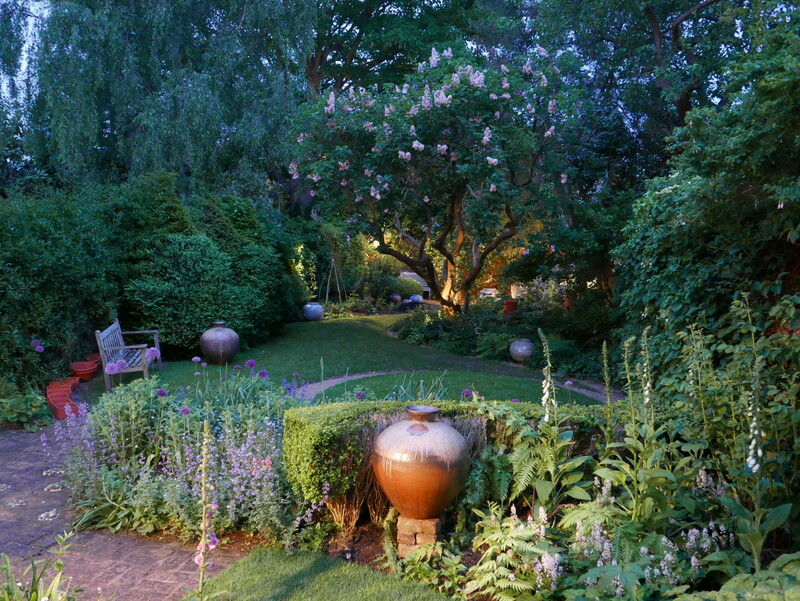 Jenifer Jones and Svend Bayer add form with their pots to the garden planting, Adam Buick adds mystery to the collection with his Moon Jars inside the house. 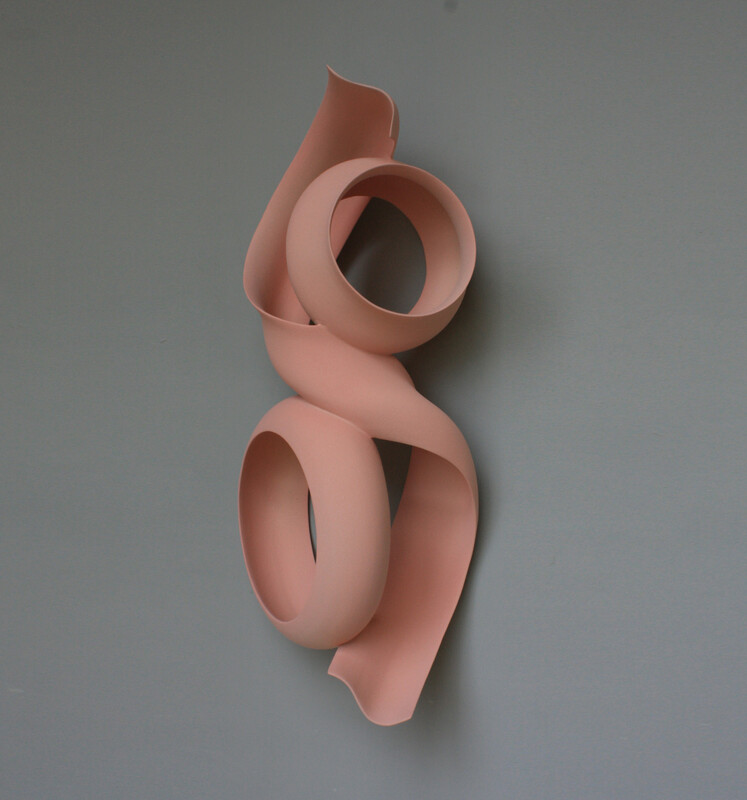 Henry Pim plays with scale and architecturally engineers his clay sculptures into composite forms, reminiscent of steel girders which explore space on the exterior whilst throwing a trajectory of shadows. 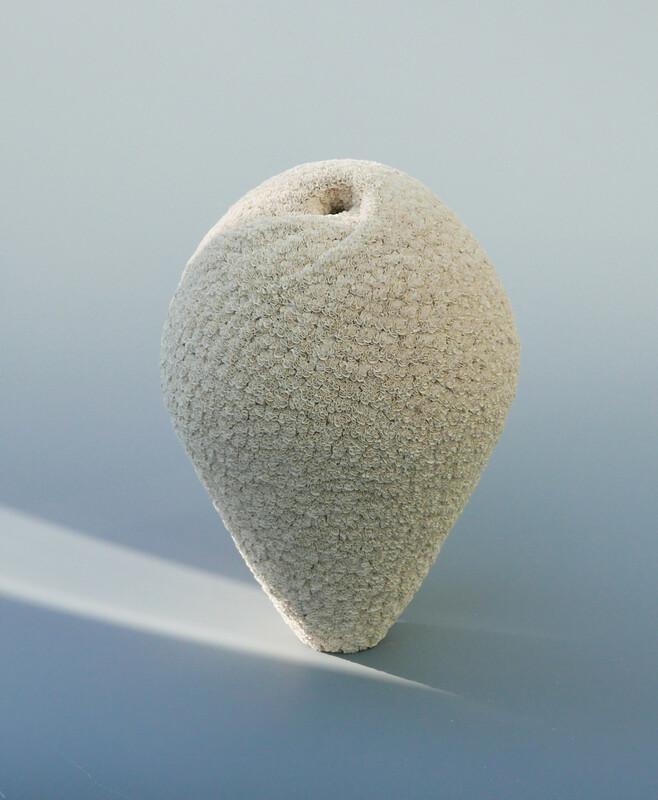 From the perfectly poised forms of Pippin Drysdale’s work to the lyrical poems of Rupert Spira, the exhibition continues to offer a great variety of work which is brought together by a sense of form and exceptional craftsmanship. 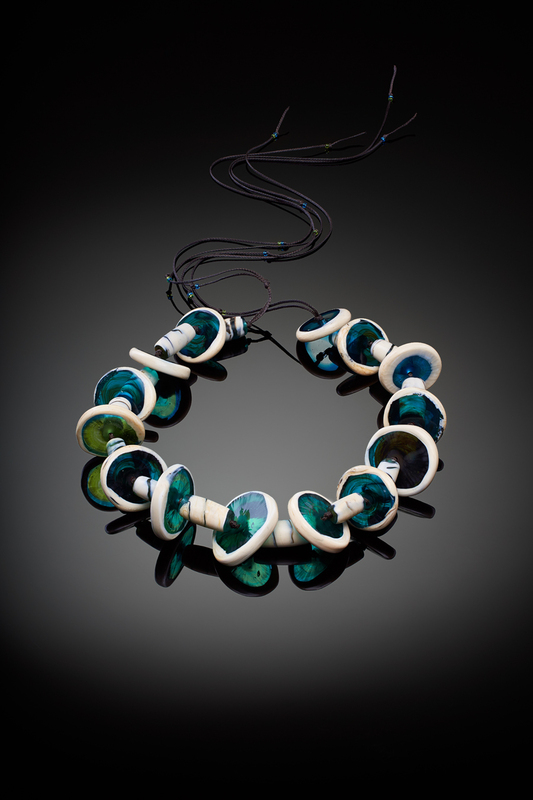 Amy West returns from Murano to show her new spring collection of glass jewellery, which can be made to commission for special occasions. 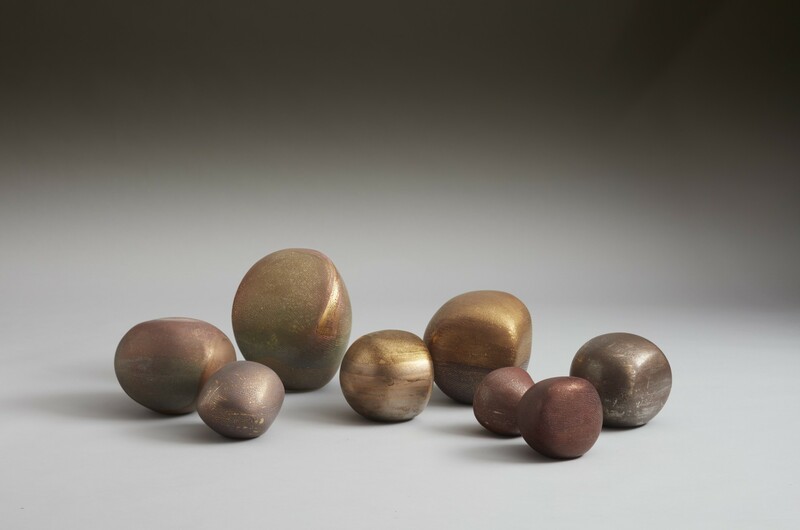 Juli Bolaños-Durman also debuts her new Solace series in the UK. 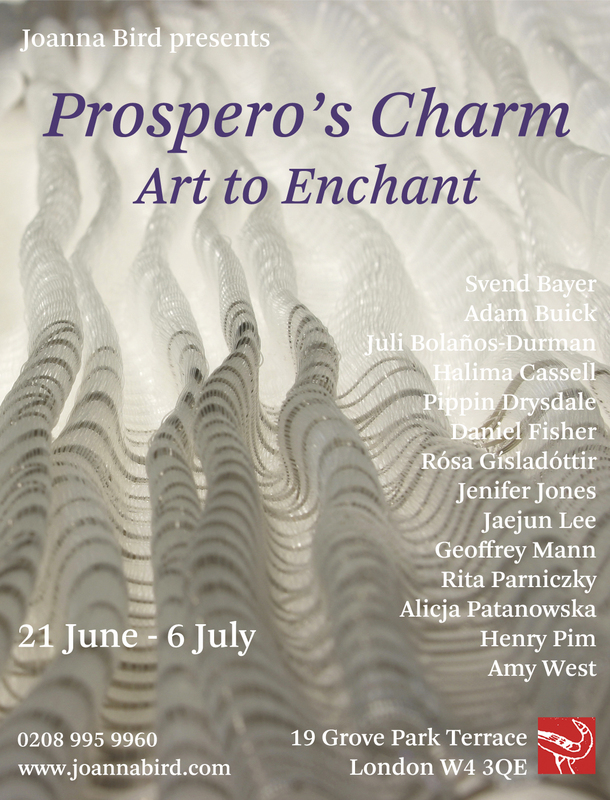 Finally Rósa Gísladóttir’s impressive, imaginative sculptures (Hebe’s Gold Chalice) and Geoffrey Mann’s ‘Secret Life of Shadows’ conjure up the magic of Prospero’s Charm. 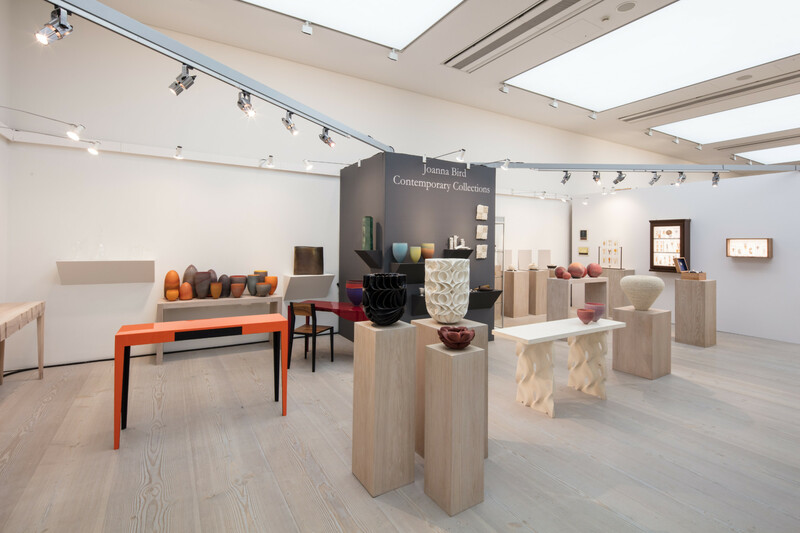 Visitors have the opportunity to see contemporary works including pieces by Master potters, Hans Coper, Lucie Rie and Joanna Constantinididis. 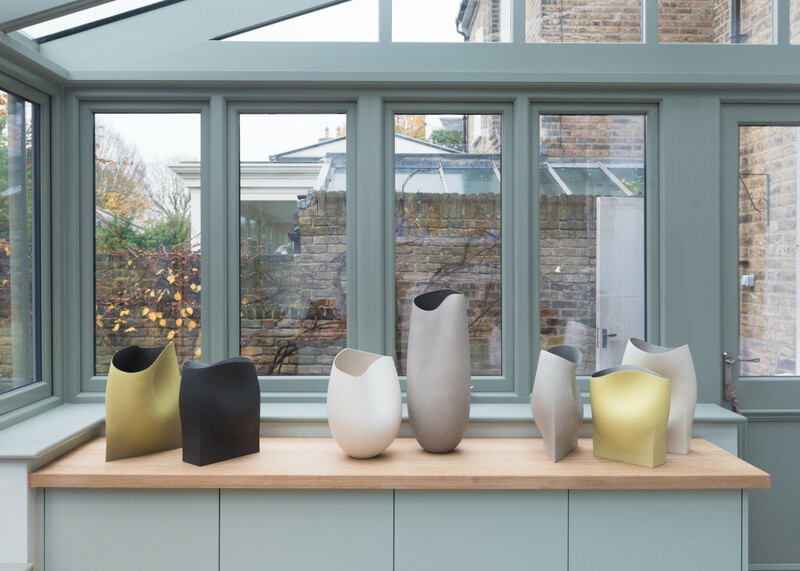 As part of London Craft Week, Joanna will be leading a curated tour around the artists’ studios of Vanguard Court in South London. 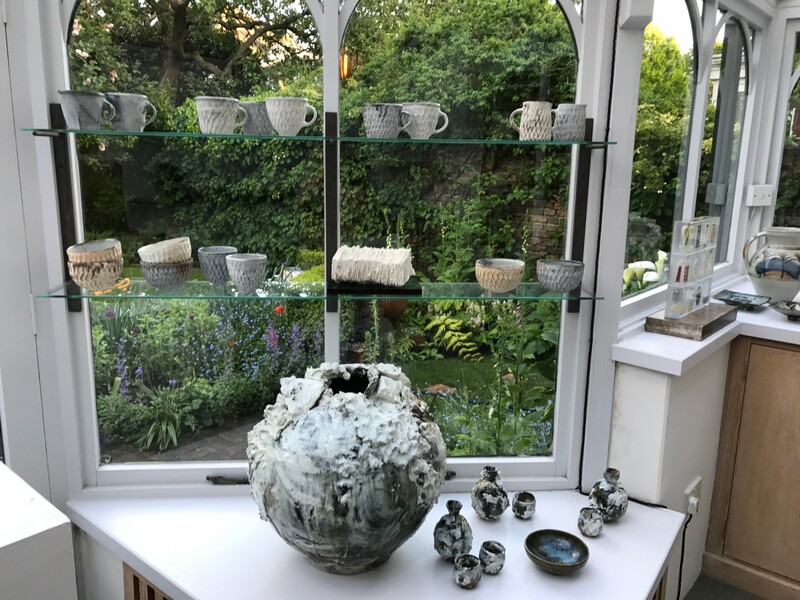 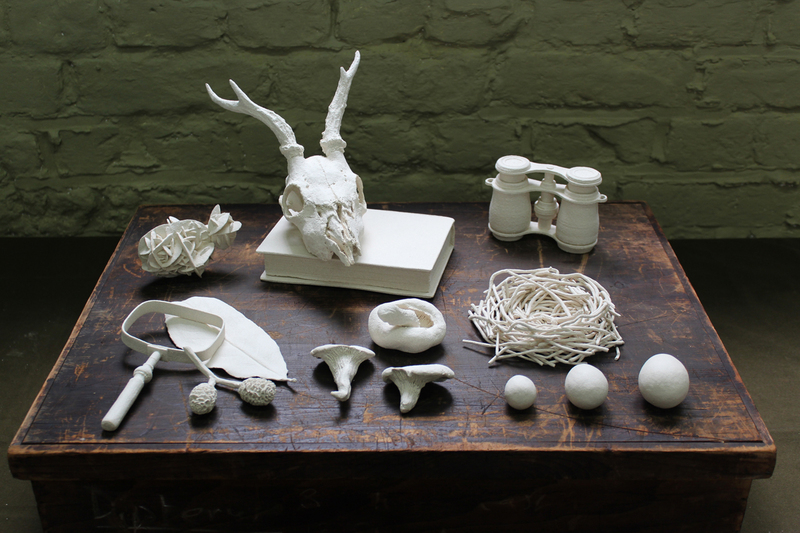 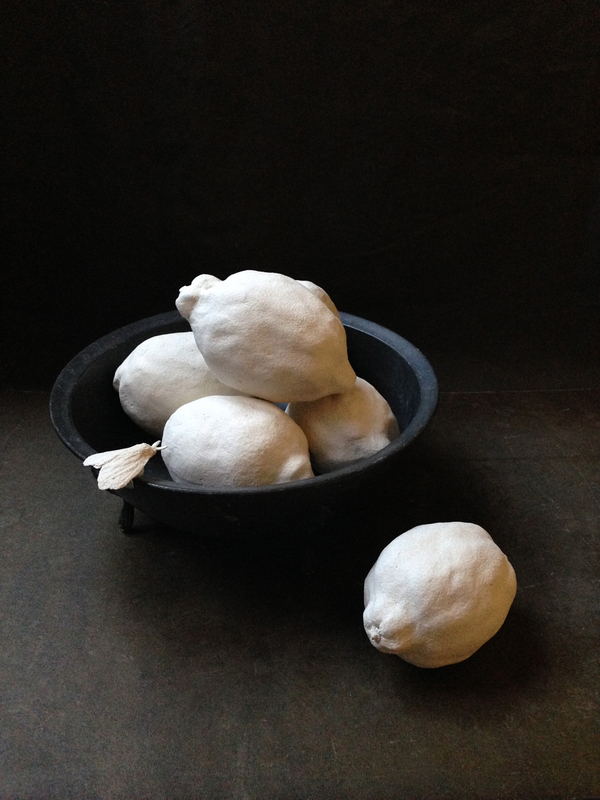 The group will visit the studios of selected artists; Carina Ciscato, Robert Cooper, Chris Keenan and Henry Pim whose work clearly demonstrates the versatility of clay as a medium. 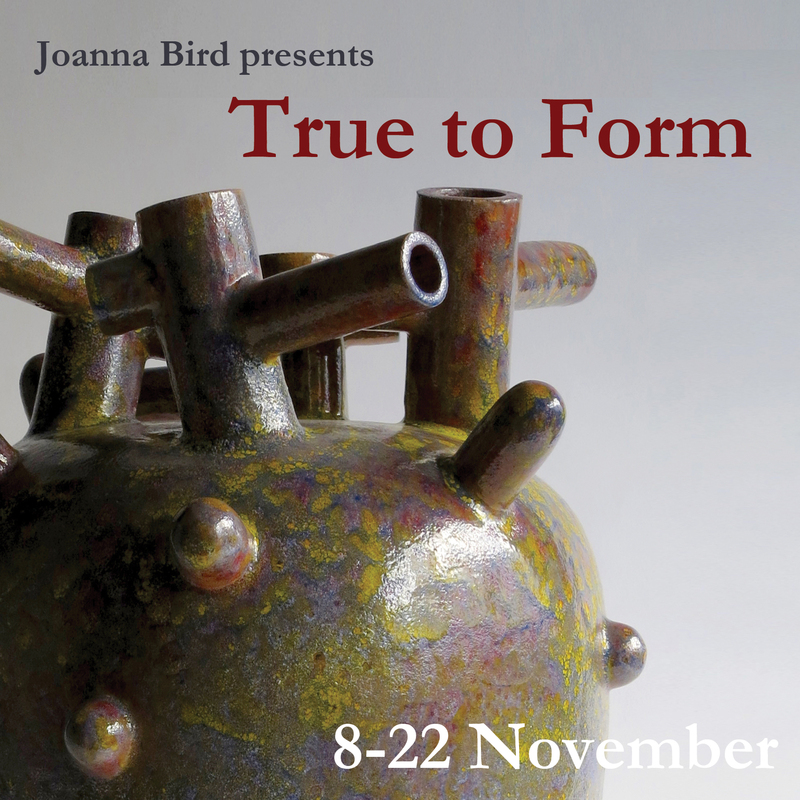 Joanna will be introducing this very special event and giving her view on contemporary studio practices and how they relate to the historic Studio Pottery Movement. 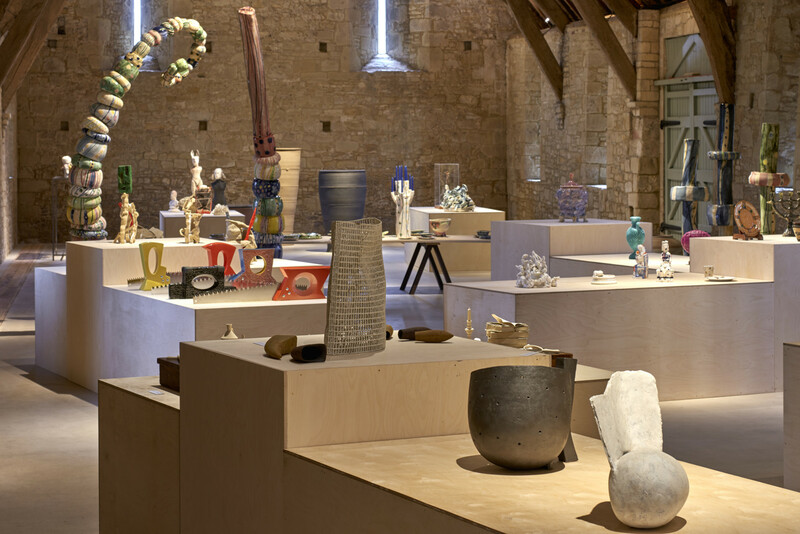 The tour combines a fascinating look into the life of these artists – their busy studio practices – the thoughts and inspirations behind their unique creations. 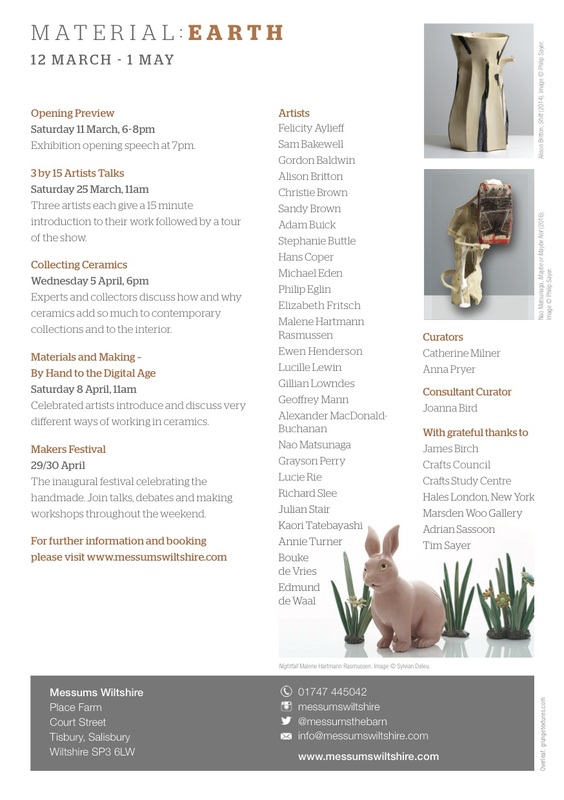 Get the chance to meet the artists, watch them at work and hear more about their creative practice. 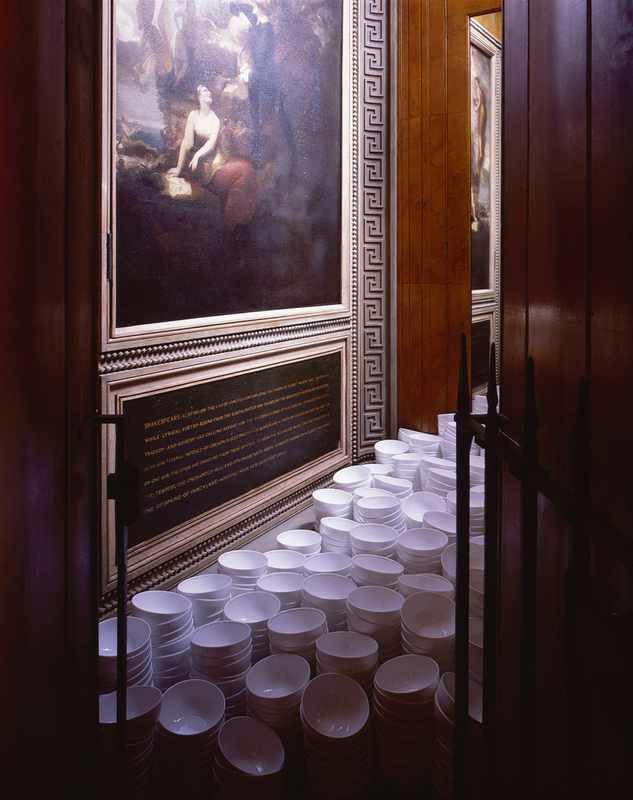 Those on the tour will be met between 13.40 – 13.50, at South London Gallery, 65-67 Peckham Road, SE5 8UH and continue on to Vanguard Court. 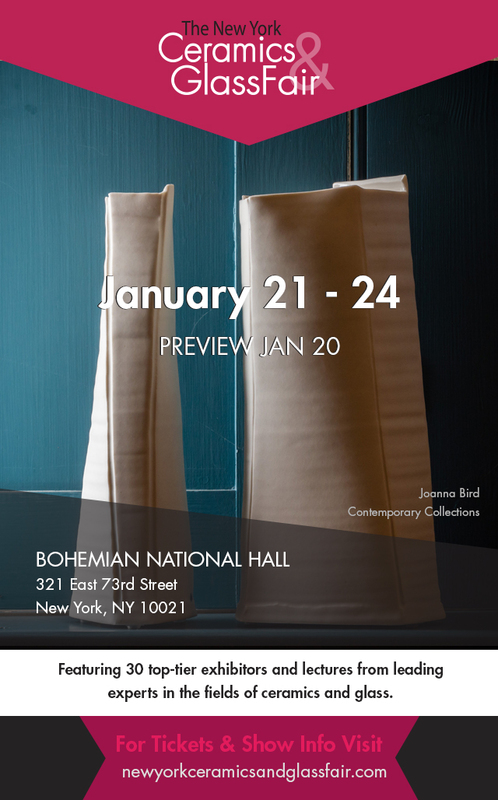 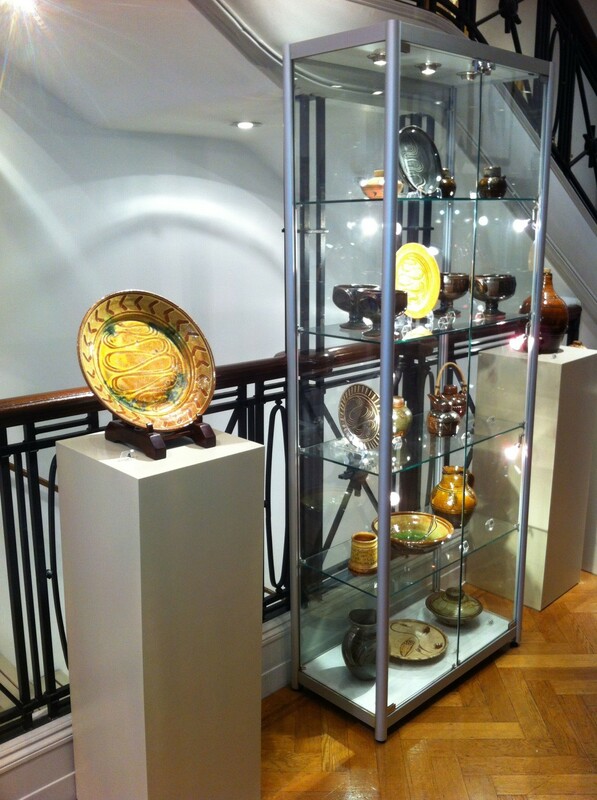 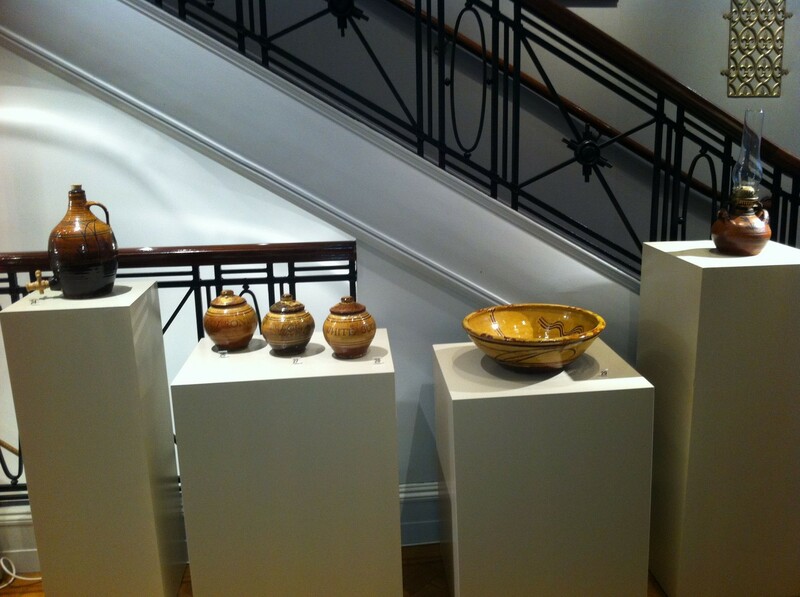 On January 21-24, Joanna traveled to New York to show at The New York Ceramics and Glass Fair in Bohemian National Hall. 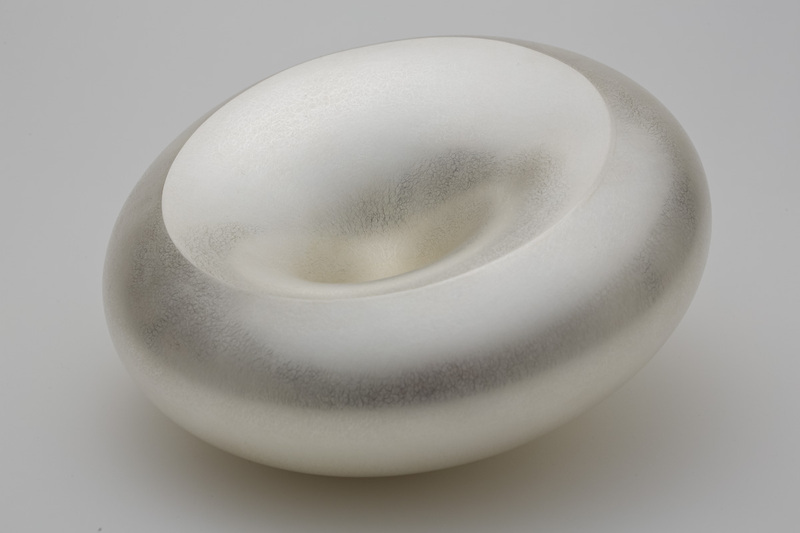 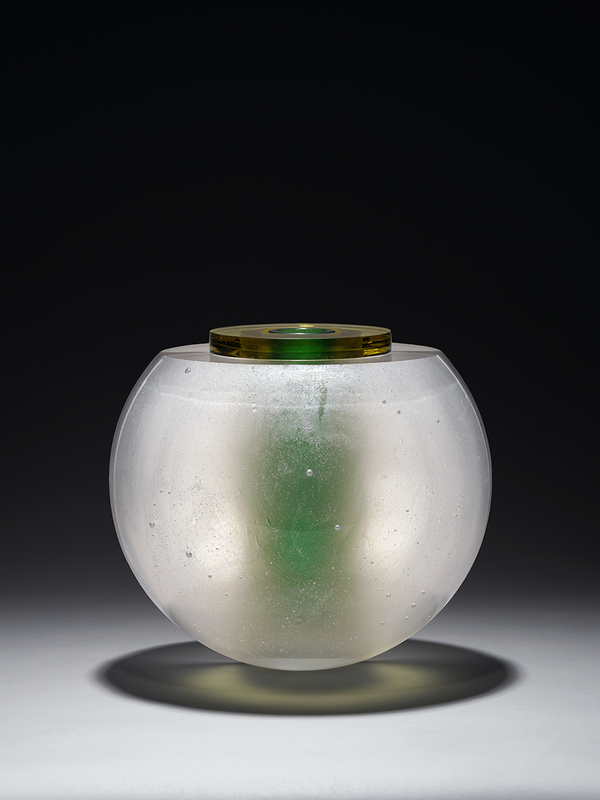 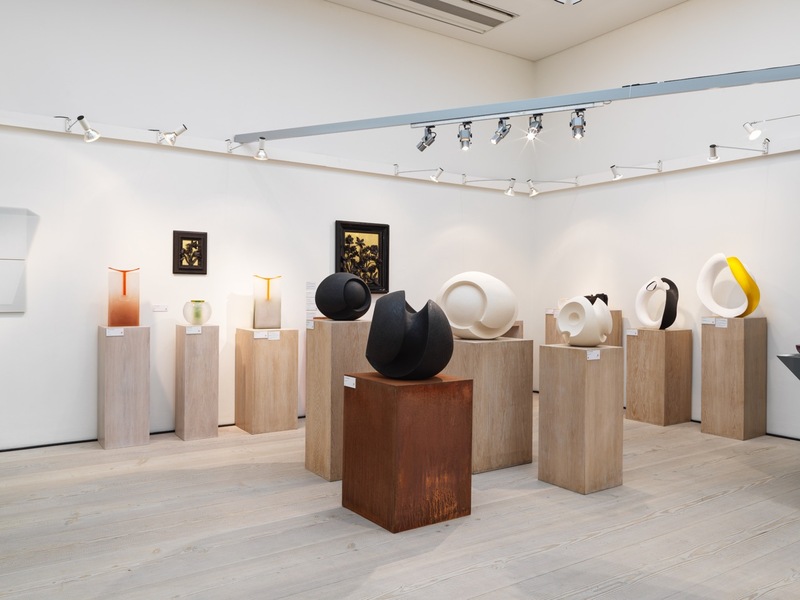 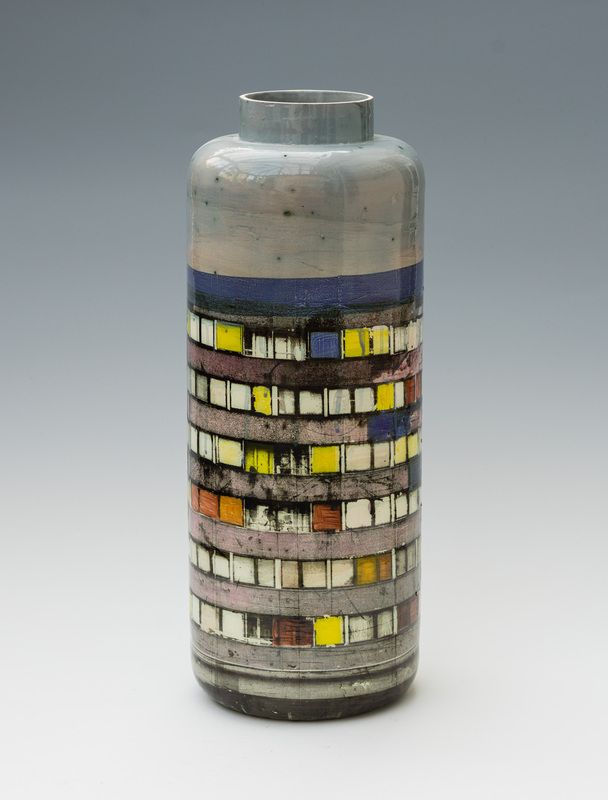 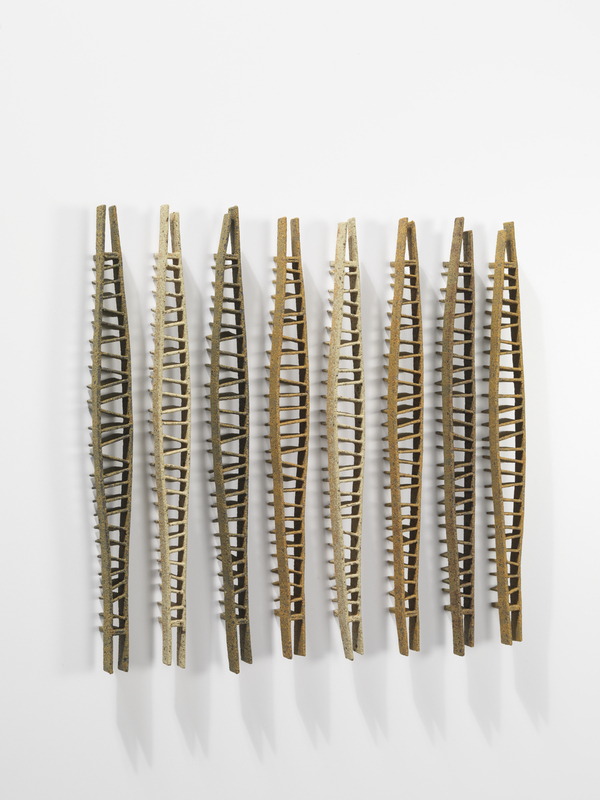 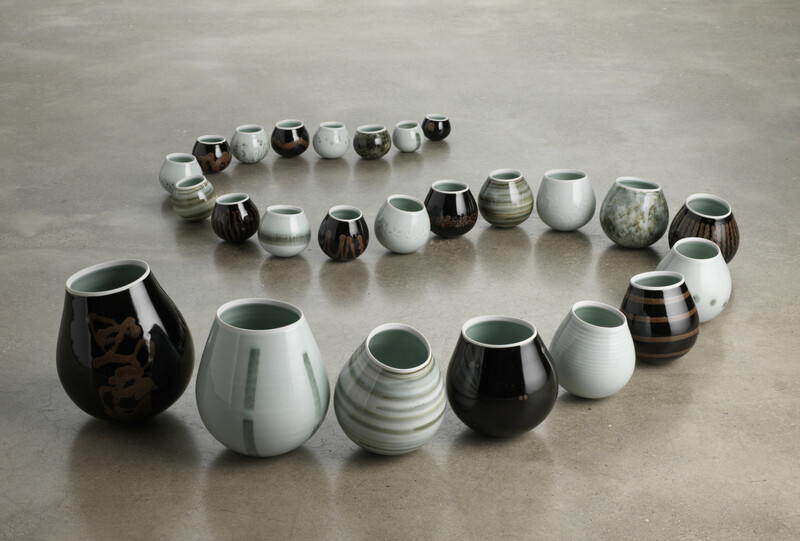 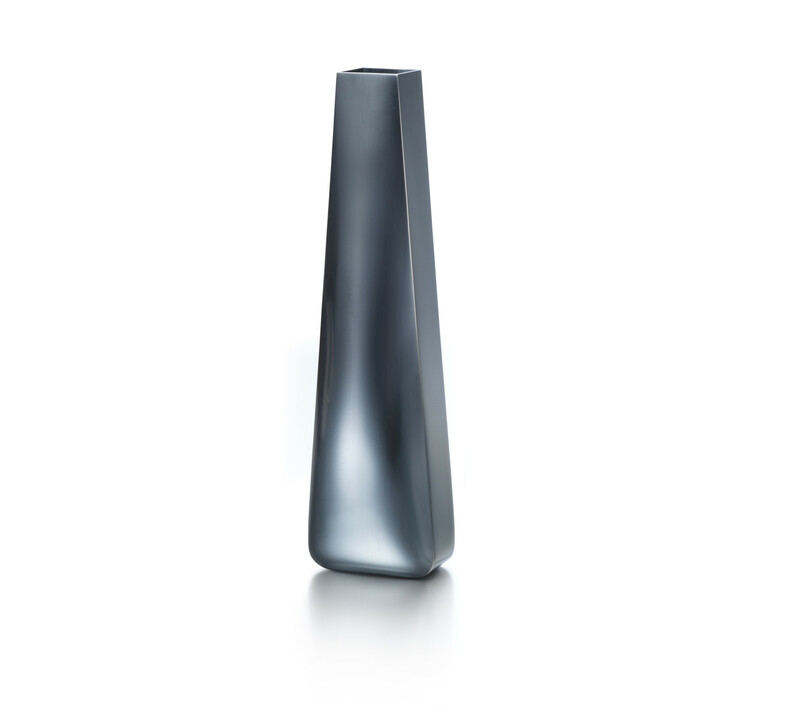 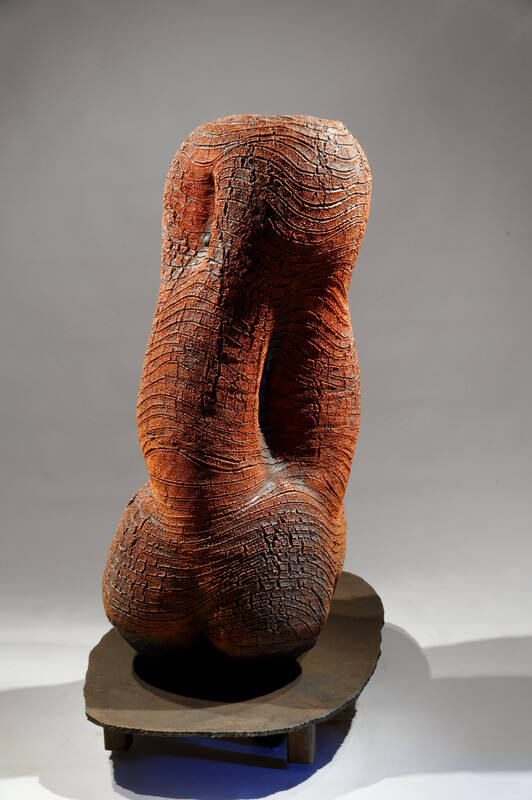 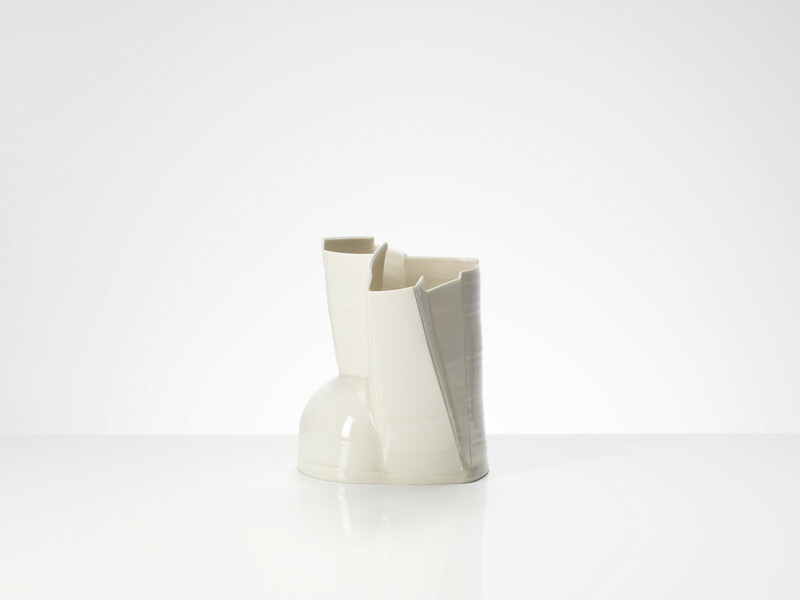 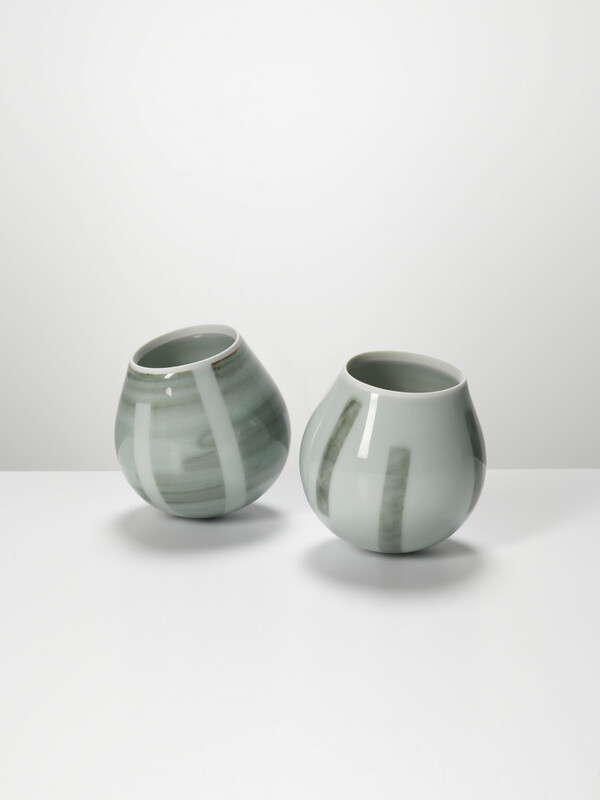 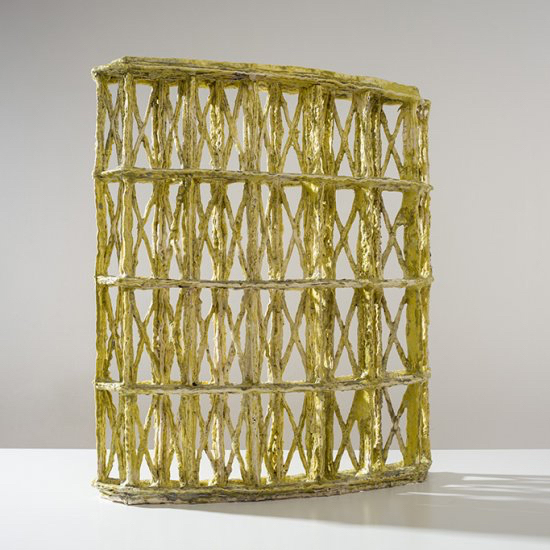 She exhibited exciting works by internationally acclaimed contemporary Ceramics and Glass artists, as well as offering collectors the opportunity to acquire exceptional museum-quality works by Hans Coper, Lucie Rie and Edmund de Waal. 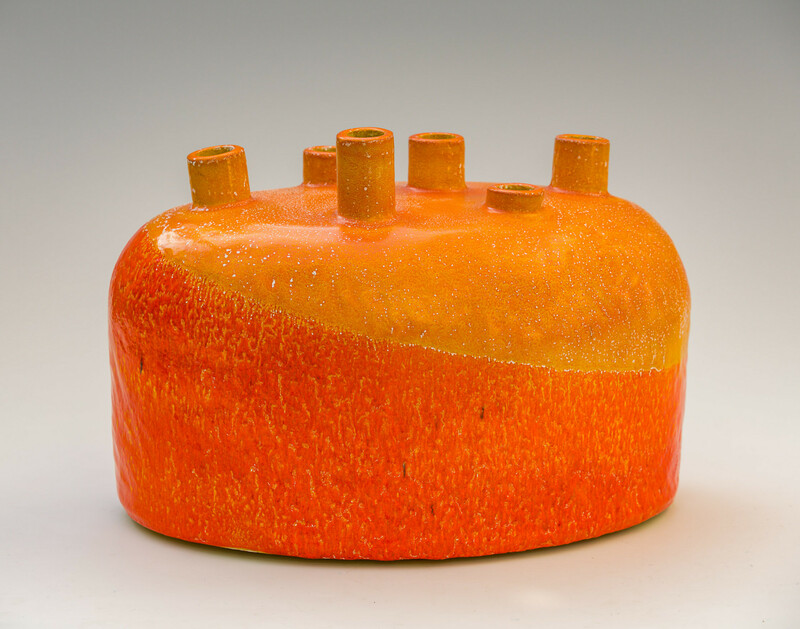 Ceramic works by Pippin Drysdale, Carina Ciscato, Halima Cassell, and Geoffery Mann were featured as well as exquisite glass works by Steffen Dam and Juli Bolanos Durman. 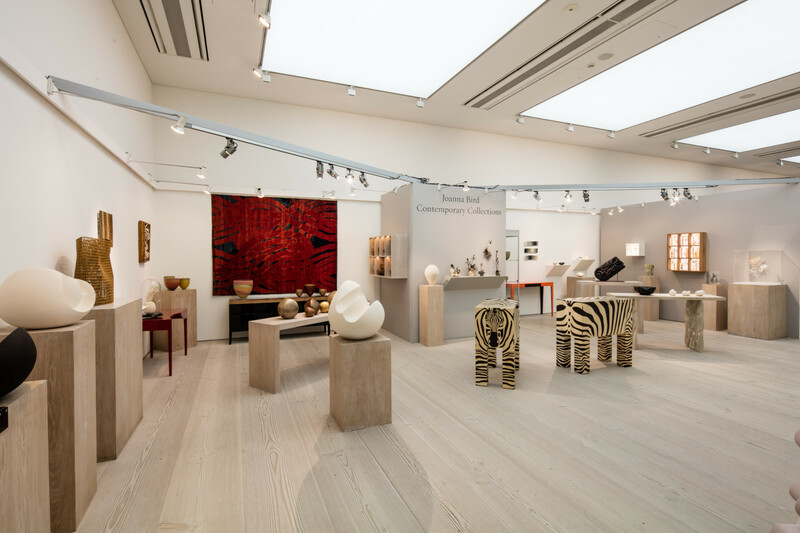 Collectors have the opportunity to see unusual pieces by Emmanuel Cooper, Philip Eglin and an exceptional work by the Martin Brothers. 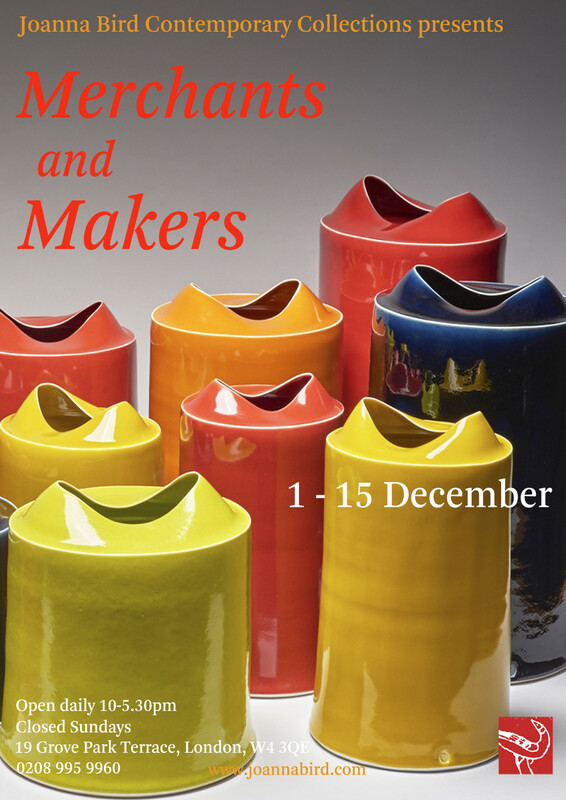 Joanna is delighted to announce her new exhibition, Merchants and Makers taking place at 19 Grove Park Terrace, Chiswick, London, W4 from Tuesday 1 December – Tuesday 15 December, open 10am –5.30pm (closed Sundays) with a late night opening on Tuesday 8 December until 9pm. 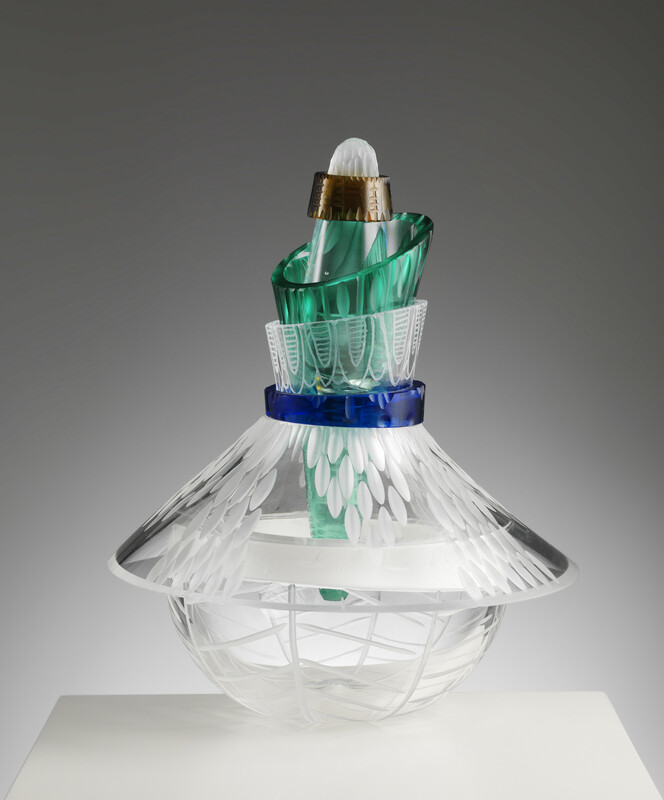 Following Joanna’s trip to Venice earlier this year, Merchants and Makers will be debuting beautiful glass jewellery by Amy West. 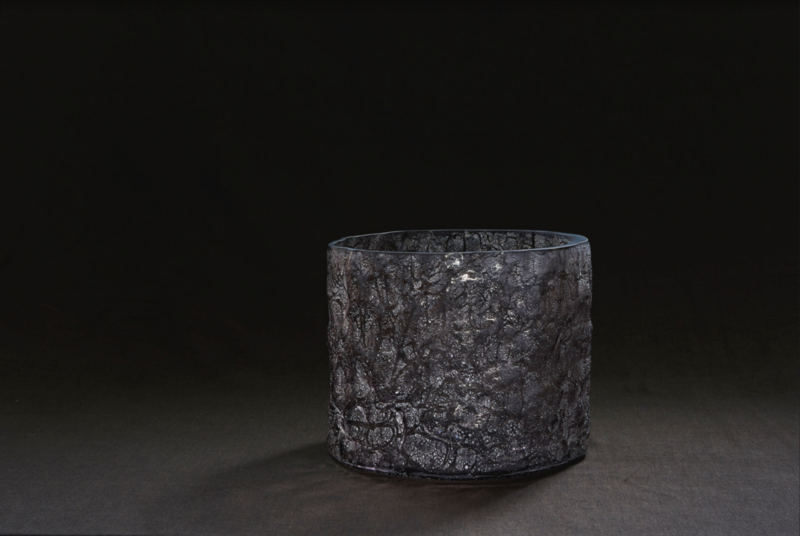 Using lamp working and traditional wheel engraving techniques, each piece of Amy’s work is carefully considered to create sensitive and detailed forms. 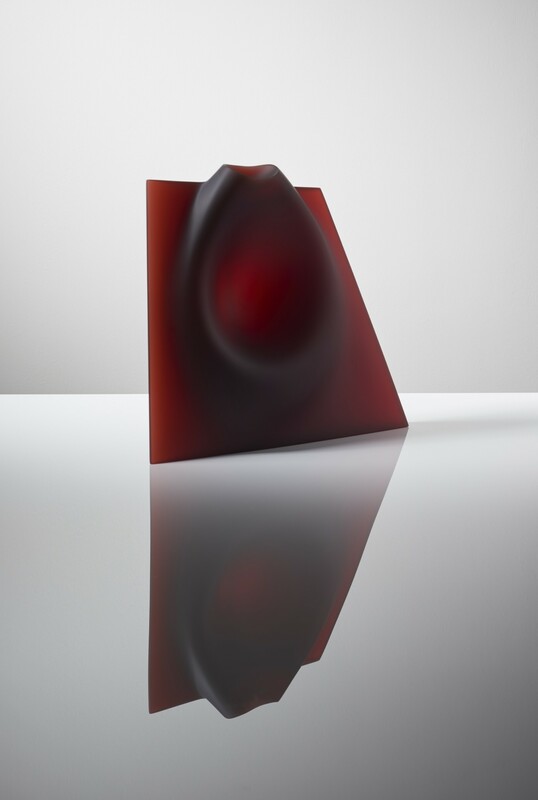 Award winning designer-maker Juli Bolaños-Durman will also be showing colourful glass sculptures from her new Solace Collection. 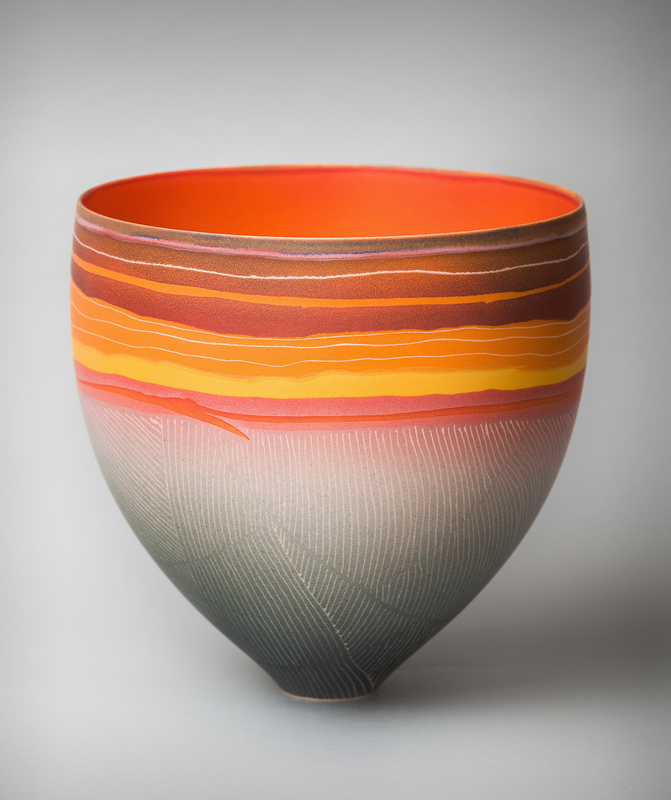 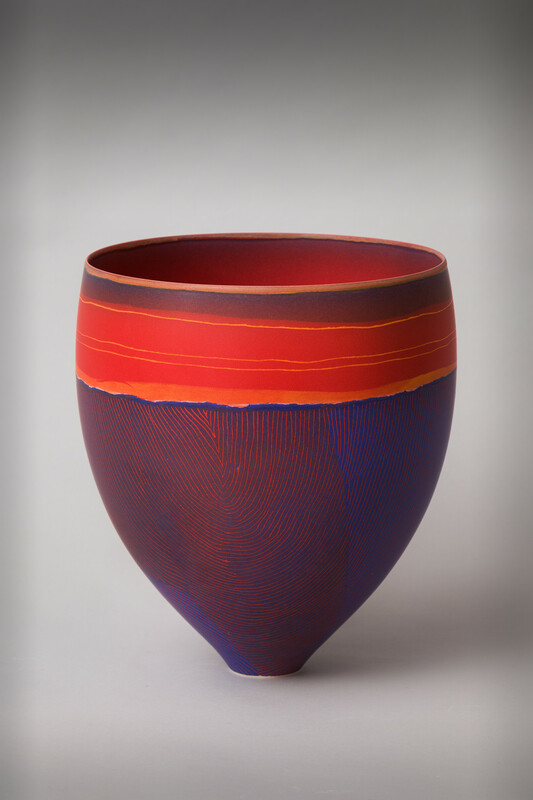 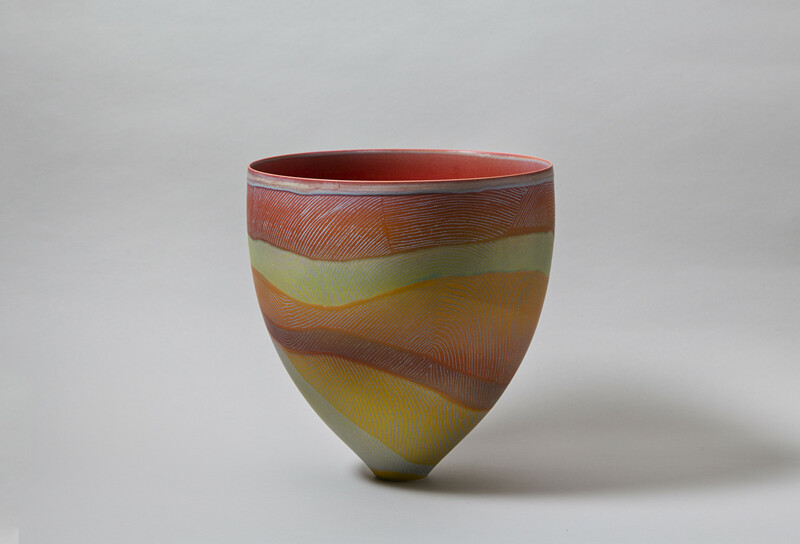 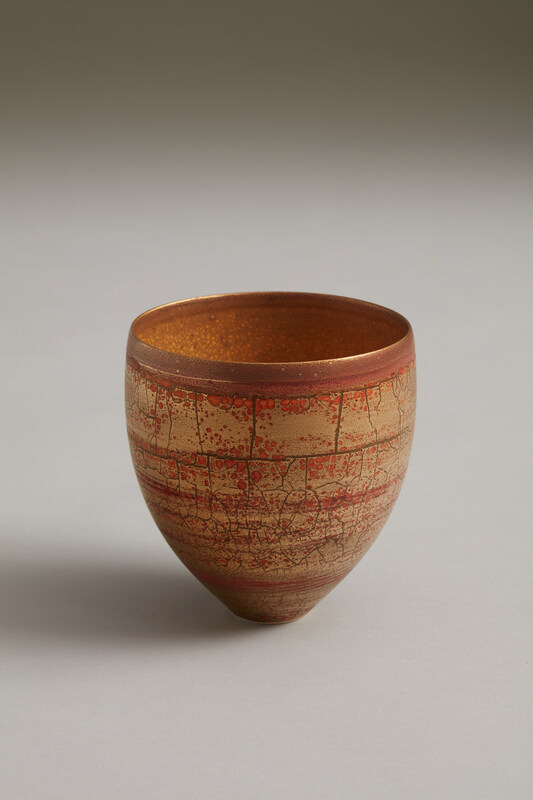 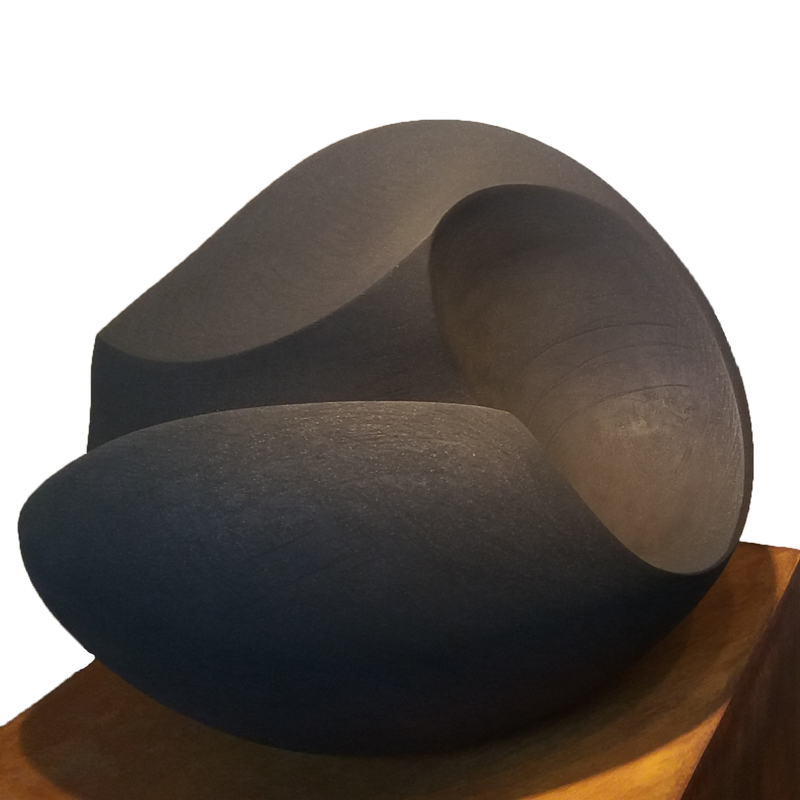 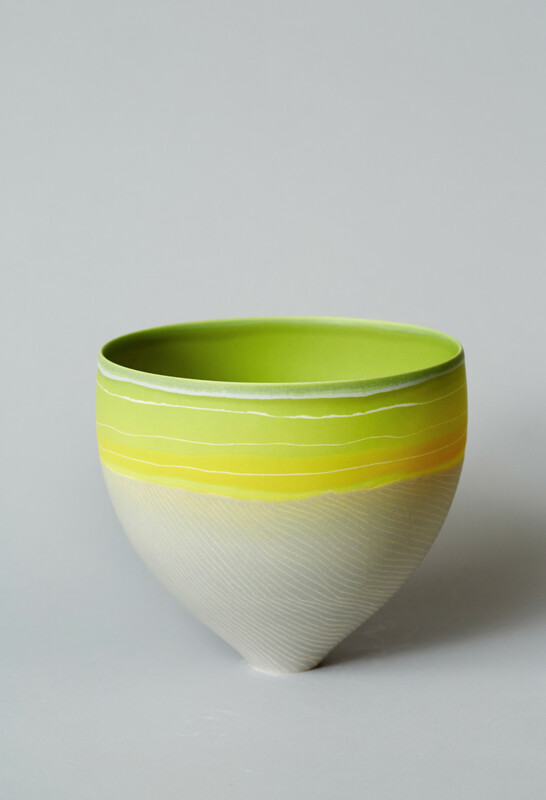 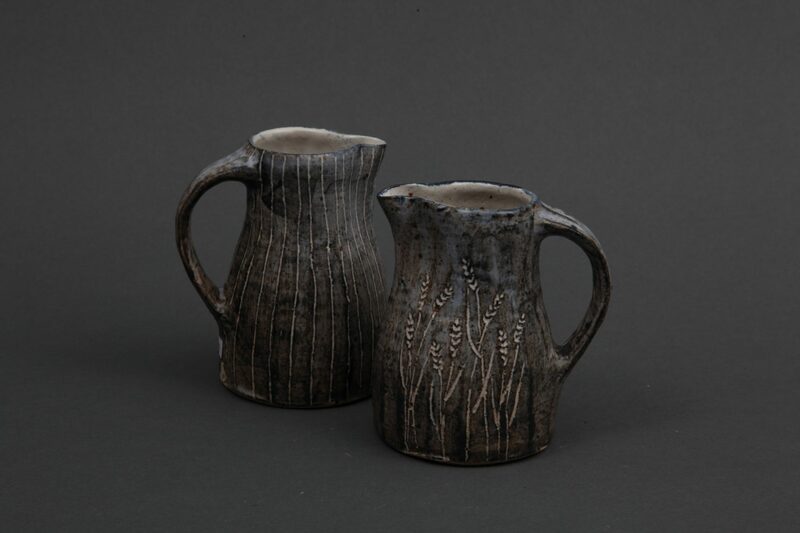 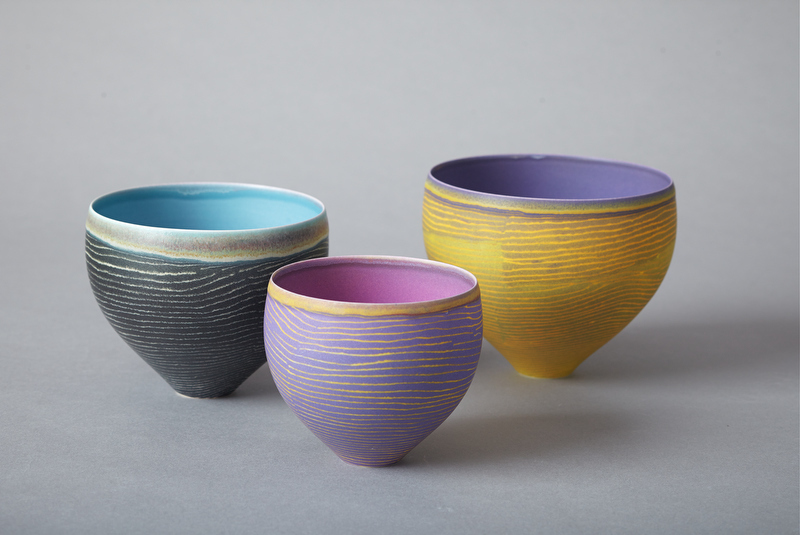 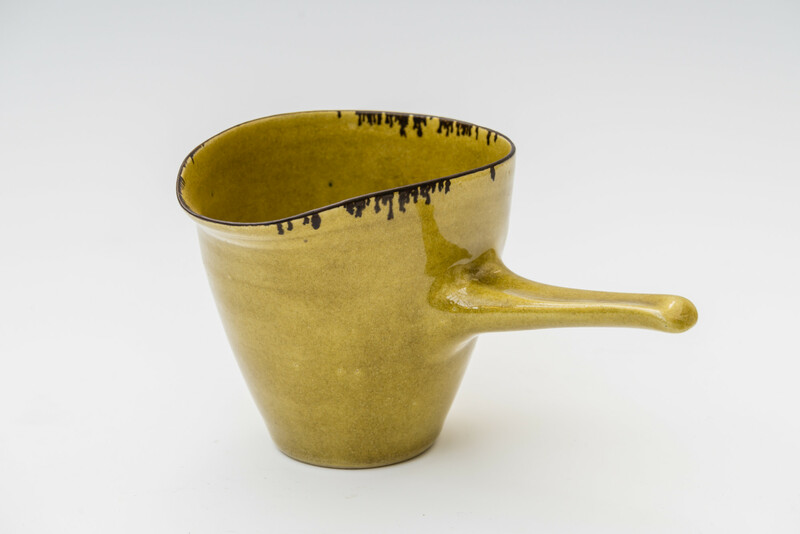 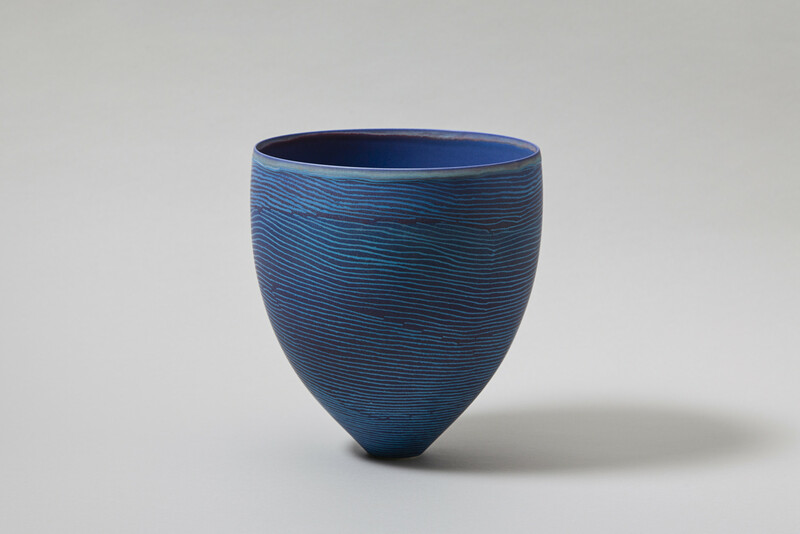 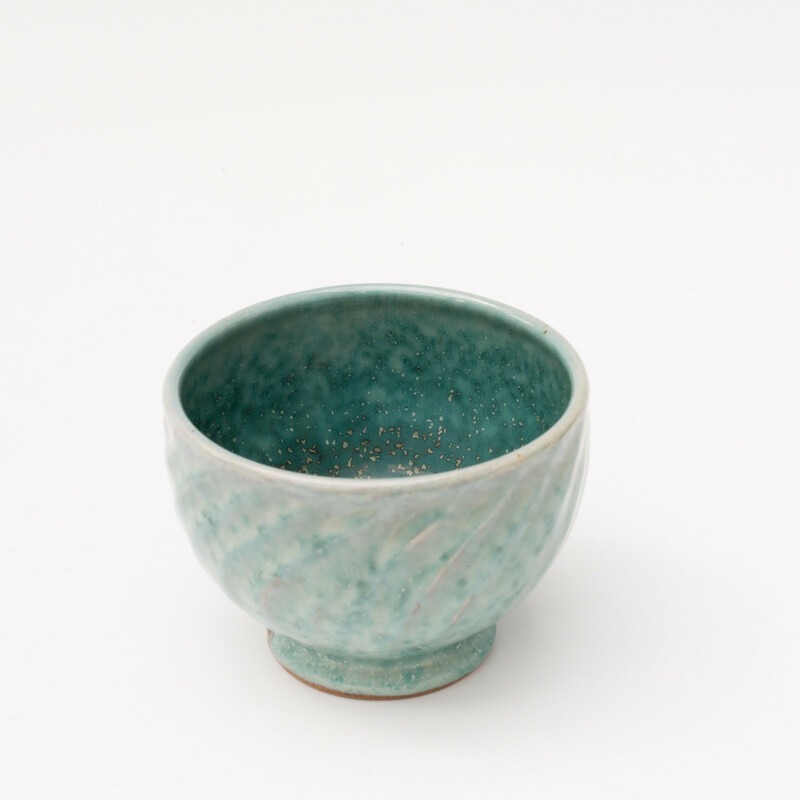 The exhibition will also feature new works by Sara Dodd and Nigel Wood; historical works by master potters Lucie Rie and Hans Coper; contemporary pieces from Richard Batterham; William Plumptre and Judith Rowe, all underlining the beauty of the functional form. 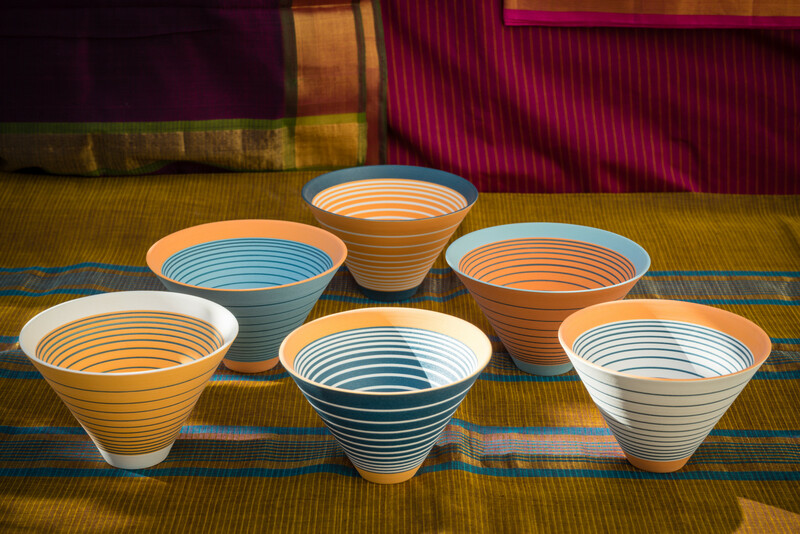 Pippin Drysdale, Sara Moorhouse and Tanya Gomez provide a dazzling array of colours directly inspired by the landscape and its ever changing seasonal palette. 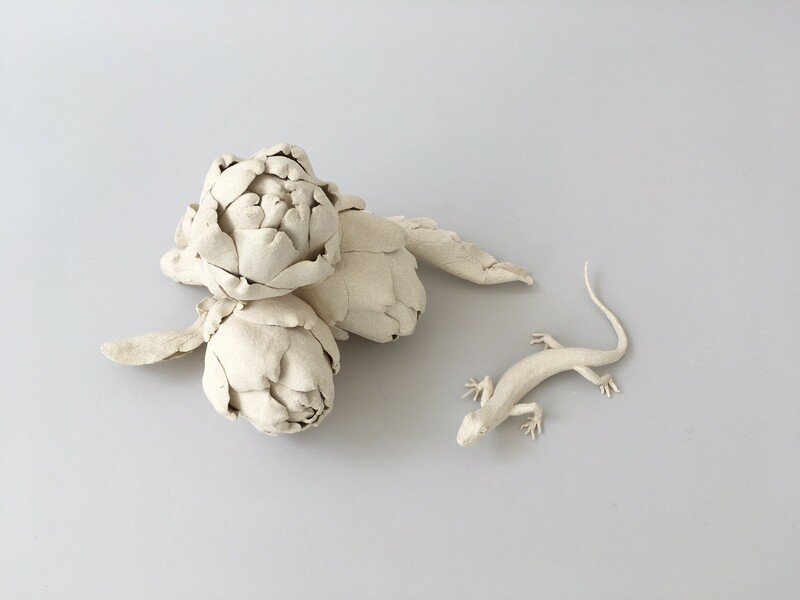 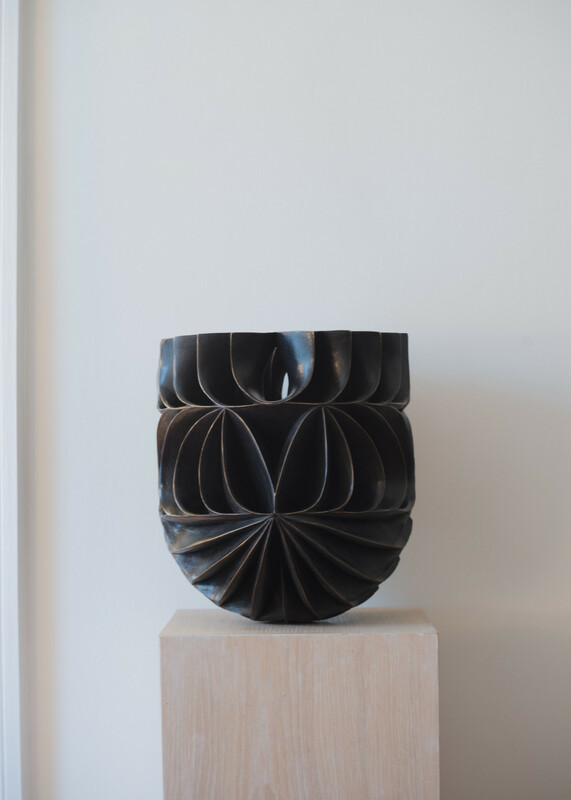 New to Joanna Bird, Nic Webb’s work pursues an organic approach – using traditional tools to create his exquisite wooden sculptures and hand made ceramics. 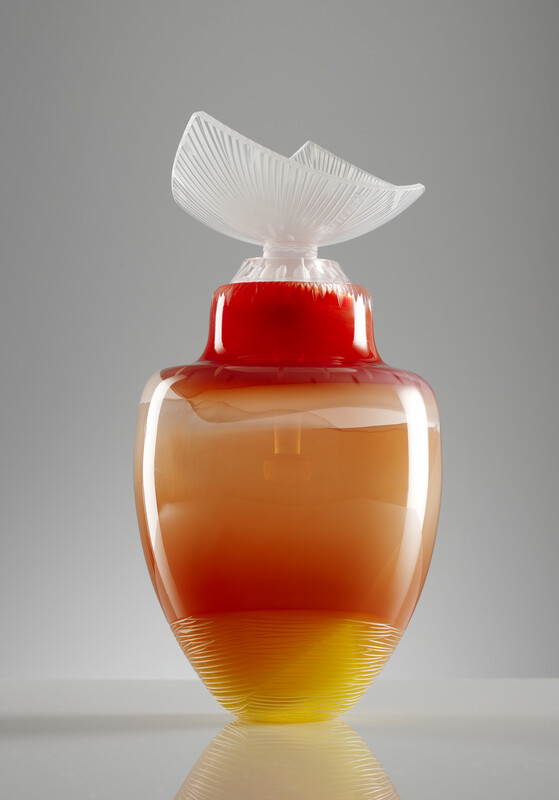 In the Merchants sector; spectacular and useful table pieces from designers Nason Moretti on Murano: elegantly simple products from artisans working with Shaker designs from the USA – boxes, brushes and honey sticks. 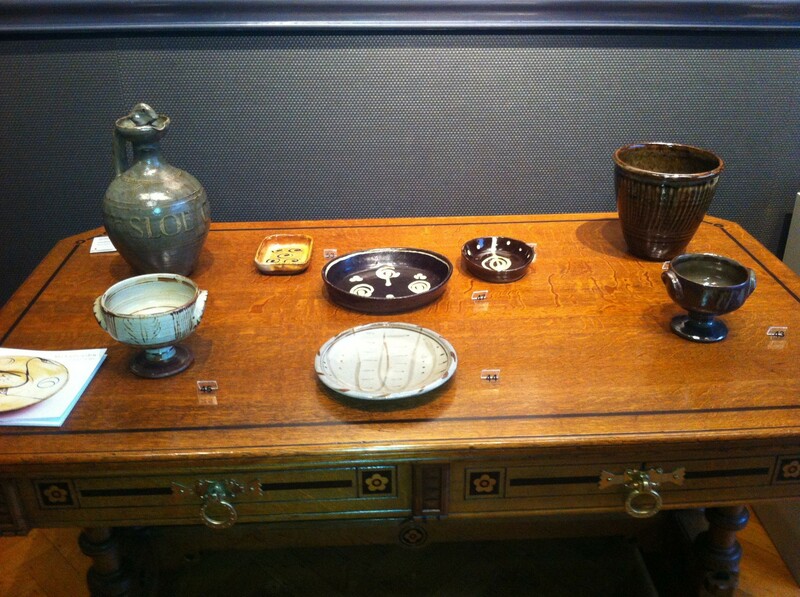 We hope you will come to explore the exciting cornucopia of treasures in this unusual Christmas show. 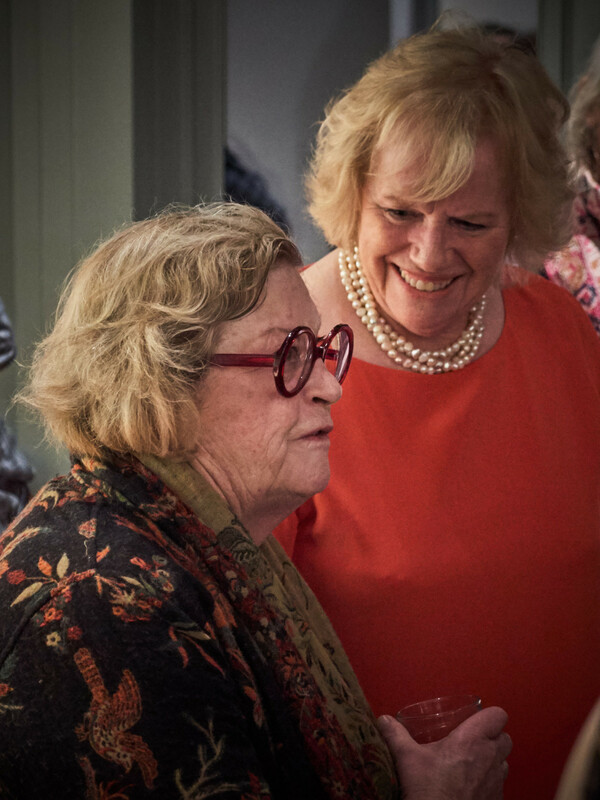 The 2015 State Living Treasures Award recipients were chosen by a panel of distinguished members of the arts and culture community. 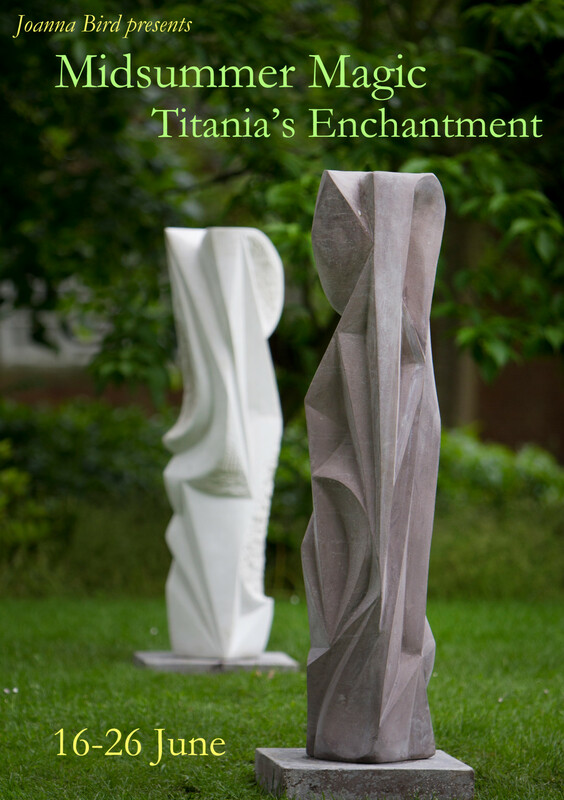 Joanna is pleased to announce the opening of her next summer exhibition, Midsummer Magic; Titania’s Enchantment, taking place at Grove Park Terrace from Tuesday 16 June – Friday 26 June. 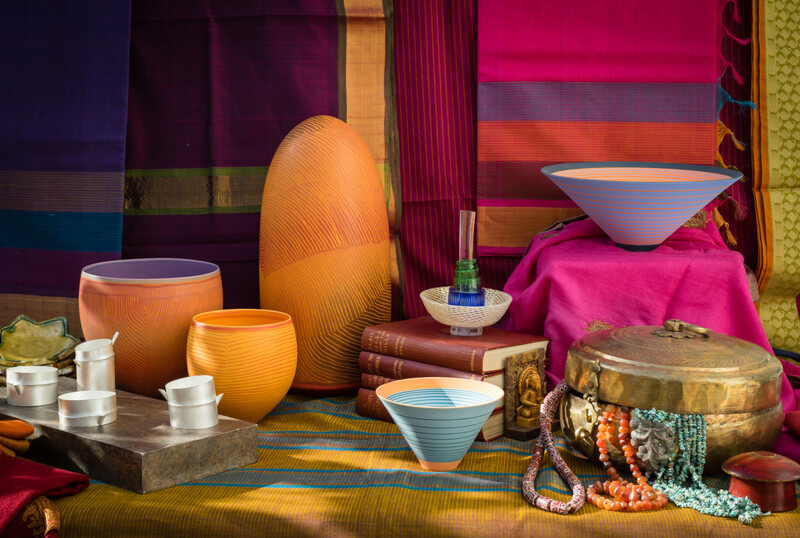 Following on the success of 2014’s Heat and Dust exhibition inspired by Joanna’s travels in India, Midsummer Magic will showcase a range of work from the ethereal to the functional in the idyllic setting of an English summer garden. 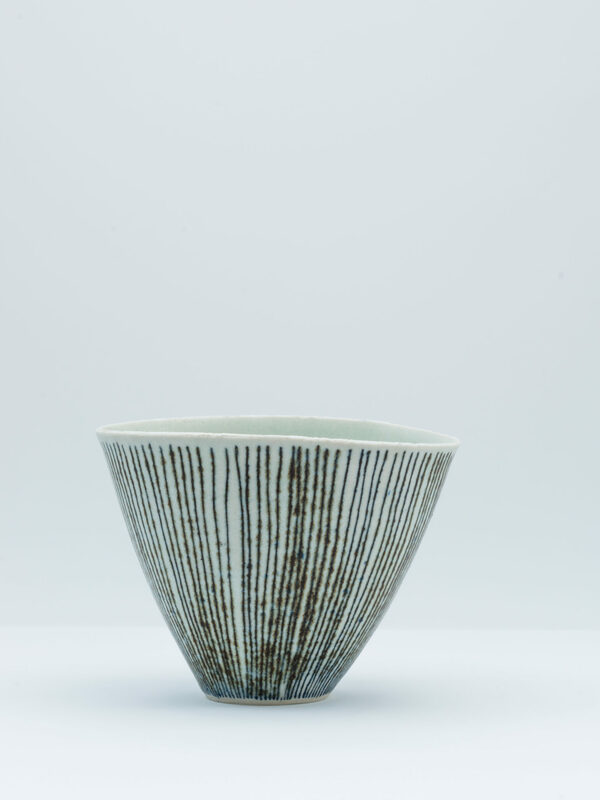 We will be showing timeless ceramic pieces for everyday use by Richard Batterham and carved bowls and beakers from Miranda Thomas. 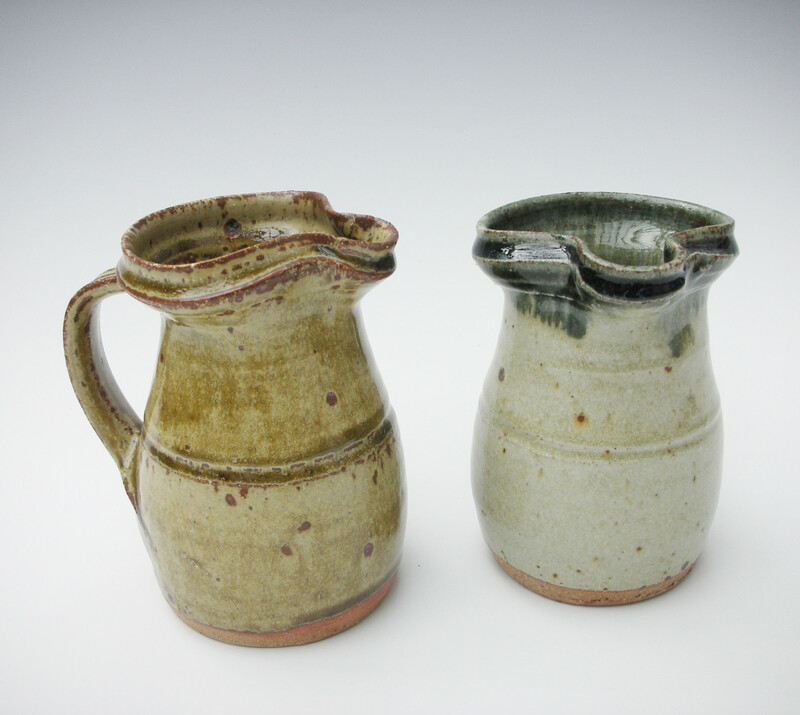 These will sit beside the vibrant works of Emma Finch and Sara Moorhouse. 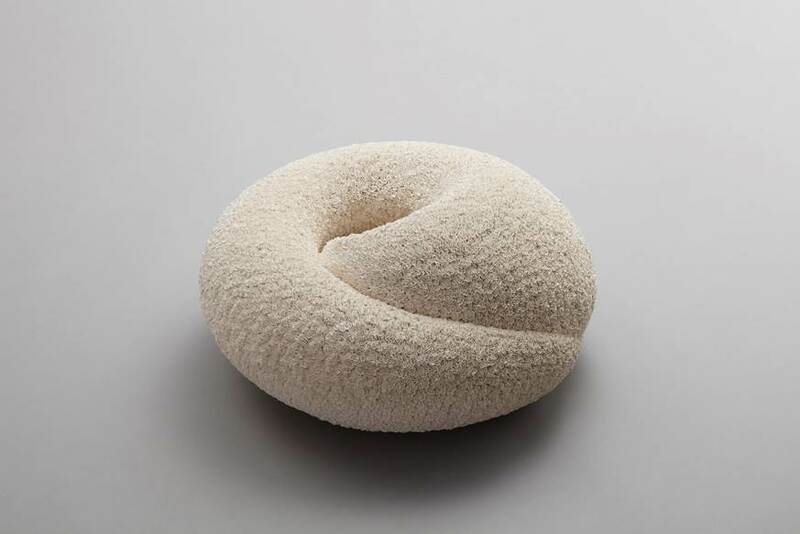 The rich panoply continues with Jacob van der Beugel, Hyejeong Kim, Sara Dodd, and new works by Helen Beard with quirky figurative brushwork. 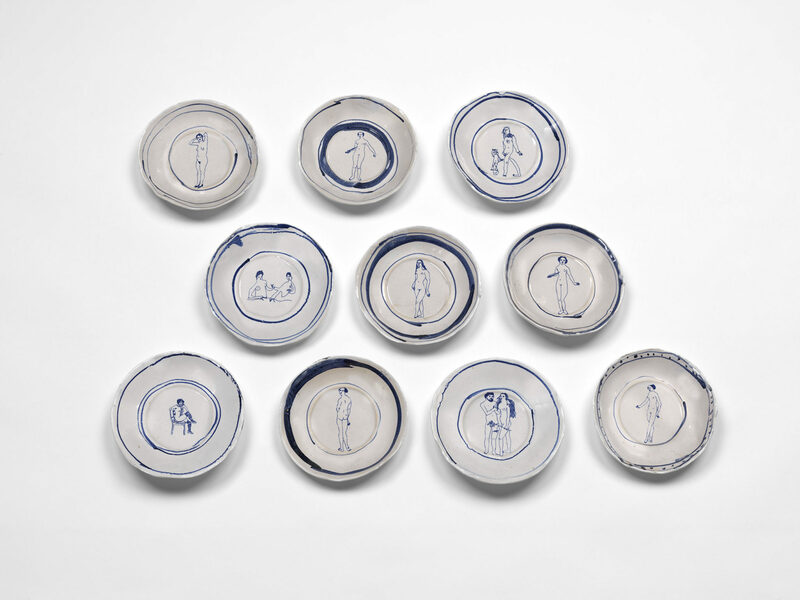 Philip Wood is debuting his witty and sensitive drawing on tiles. 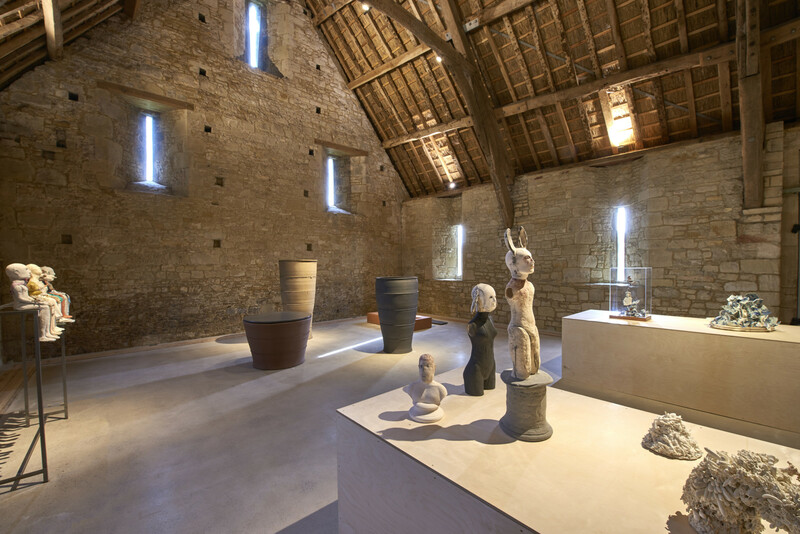 Visitors are invited to wander through the garden and discover sculptural works by Halima Cassell, Thiébaut Chagué and renowned potter Svend Bayer. 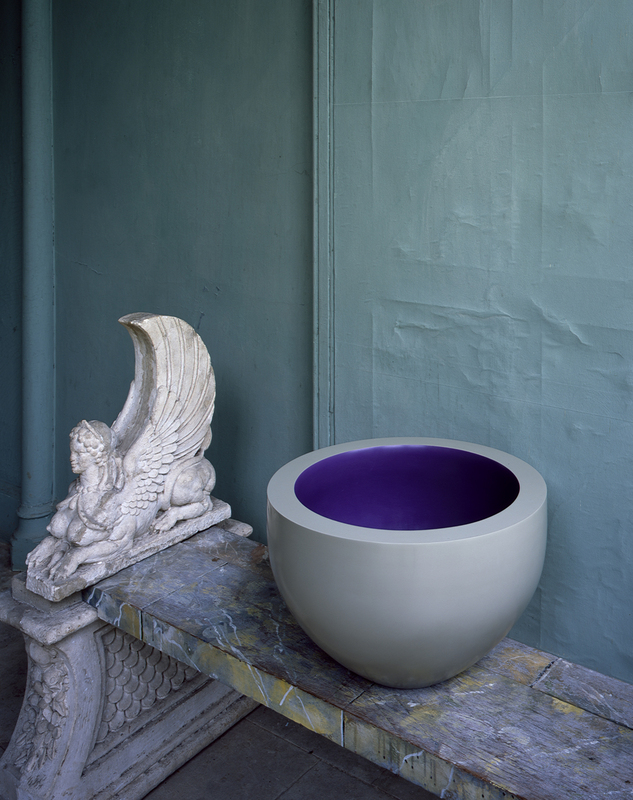 Open 10am – 5.30pm (including Saturdays, closed Sunday 21 June) with a late night opening on Tuesday 23 June until 10pm. 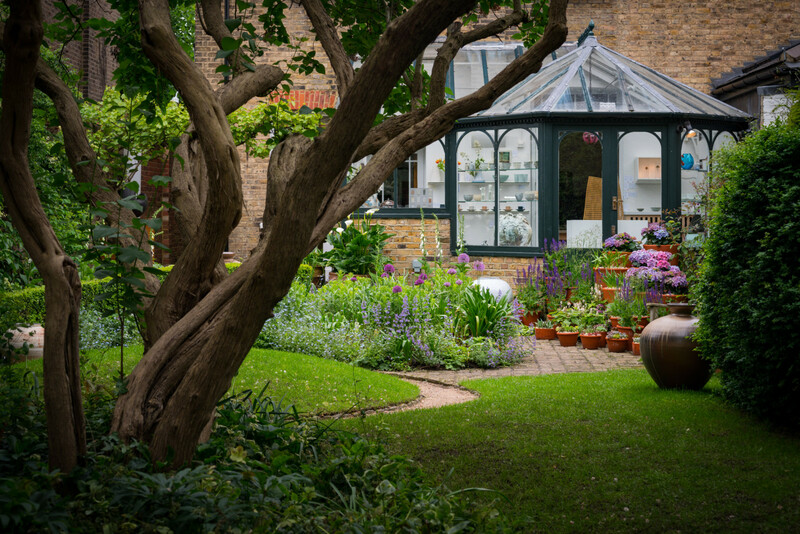 In an exciting new collaboration, we are also working with Spitalfields Music to host an evening reception as part of their In the House series; an intimate part-tour, part-recital held in the private drawing rooms of local historic homes on Strand-on-the-Green. 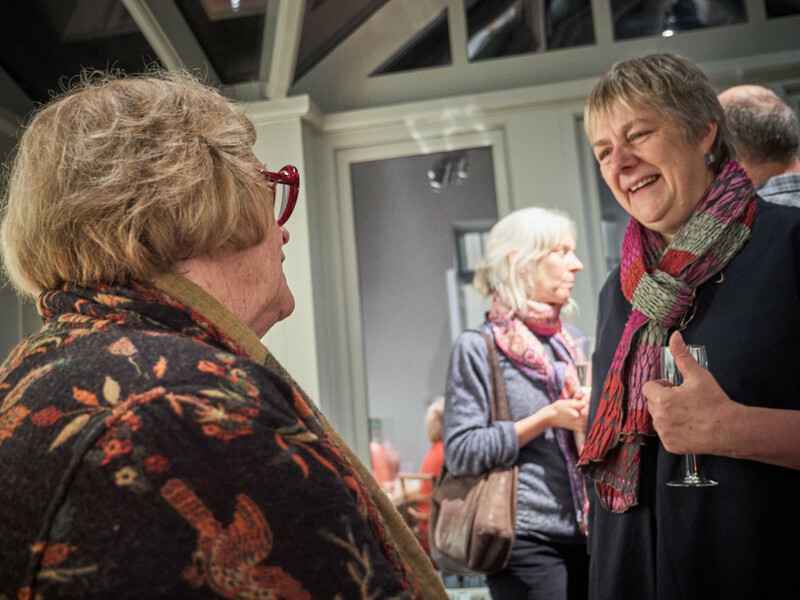 After enjoying short recitals from some of the Royal Academy of Music’s rising young stars, the evening will conclude with a drinks and canapés reception, giving guests the chance to mingle and meet the musicians at our exhibition. 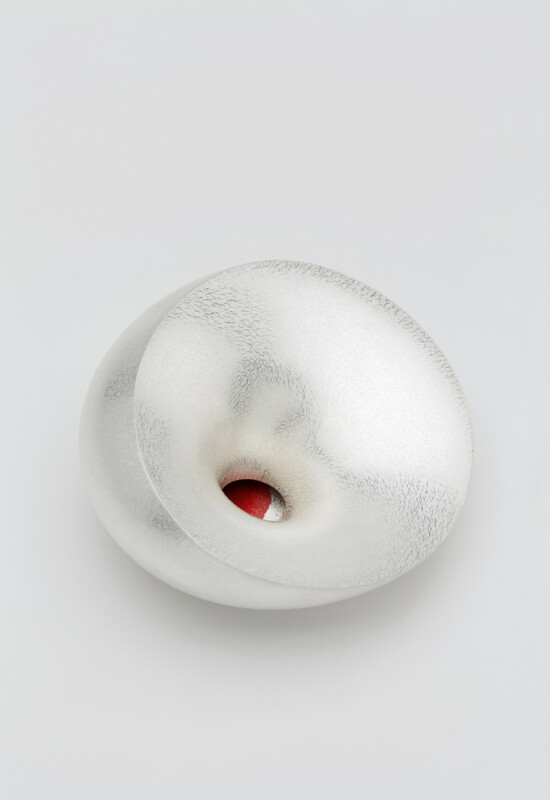 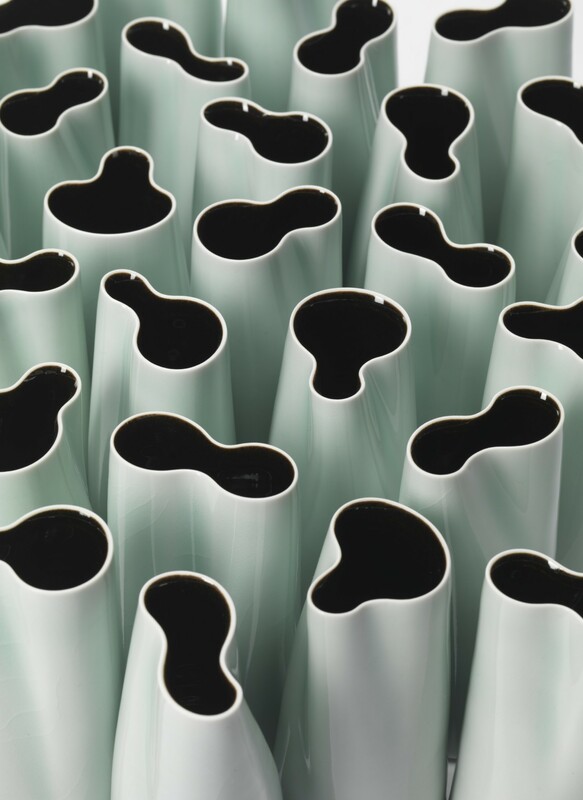 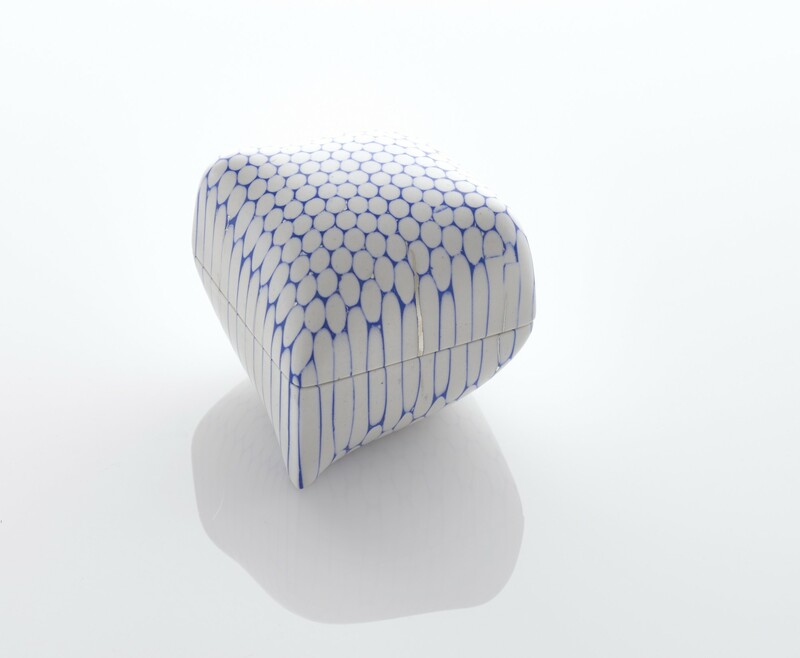 Joanna Bird will return to COLLECT 2015 showing a selection of quality work from internationally acclaimed contemporary ceramic, glass and conceptual artists. 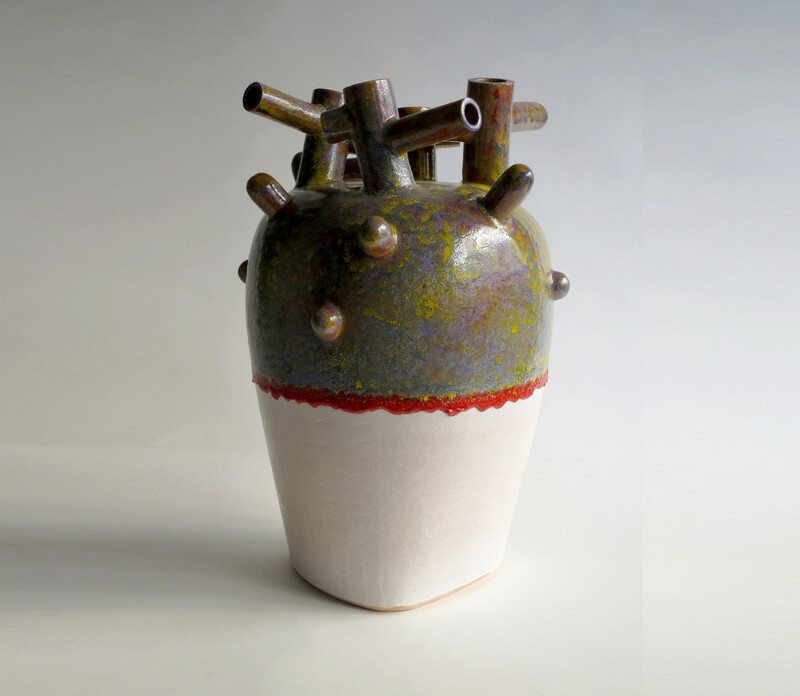 The show will feature new ceramics by Pippin Drysdale, Annie Turner and Carina Ciscato as well as works in silver by Chien-Wei Chang. 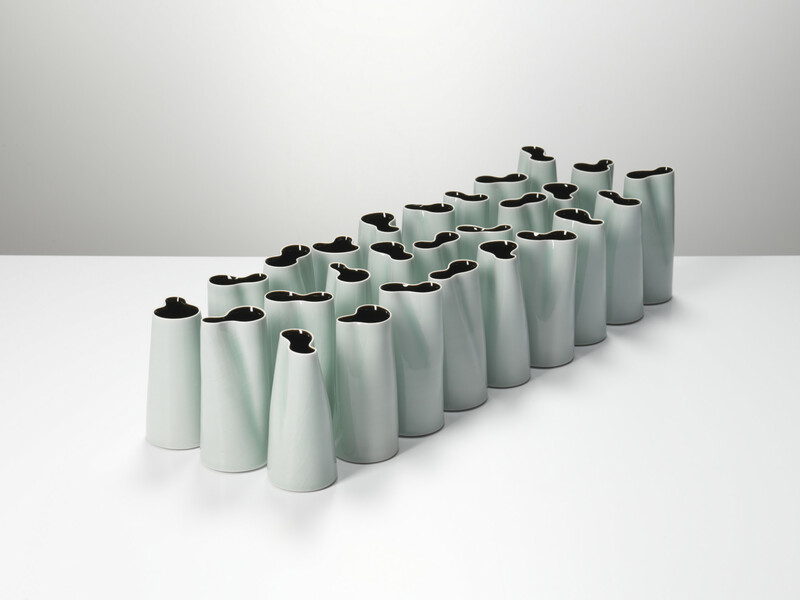 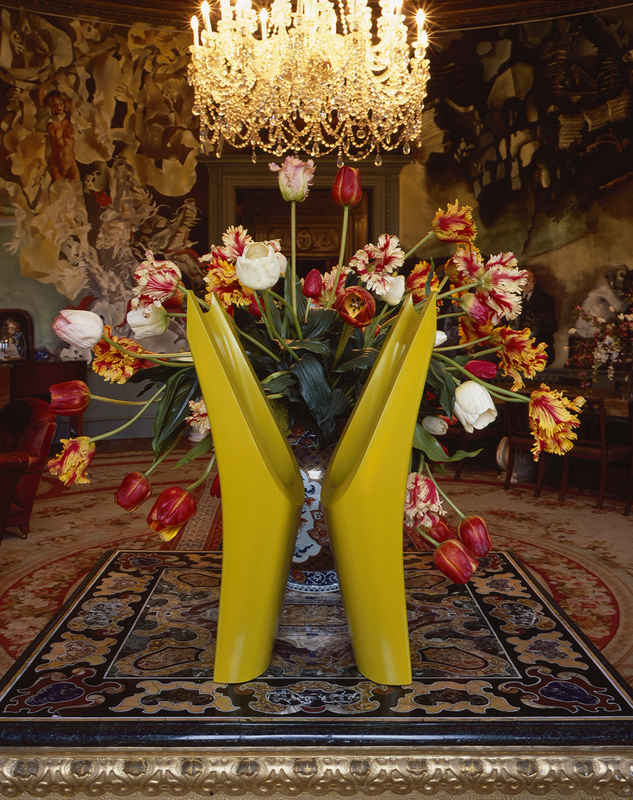 Jacob van der Beugel will unveiling his new body of work following his award winning ceramic installation at Chatsworth House. 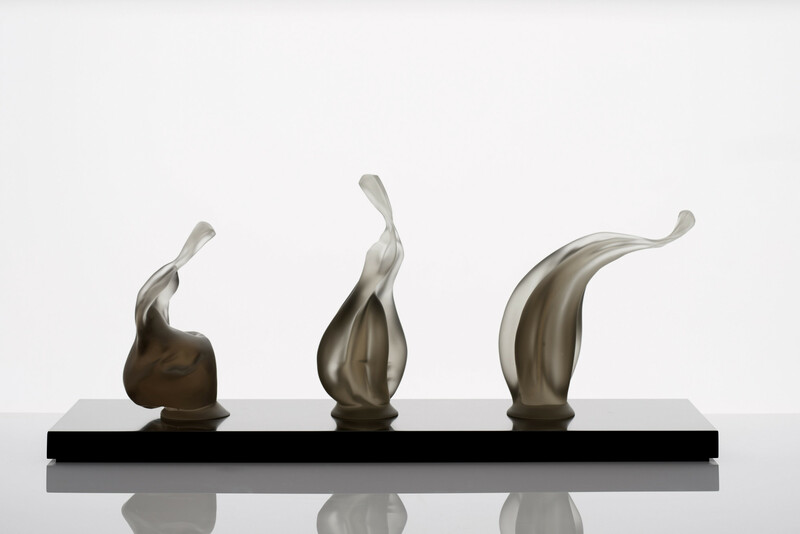 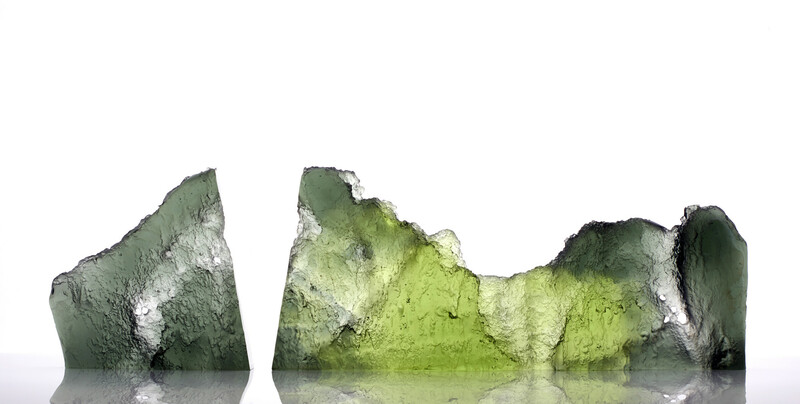 Geoffrey Mann will be debuting his new glass sculptures The Secret Life of Shadows and Steffen Dam will be presenting a new direction in glass. 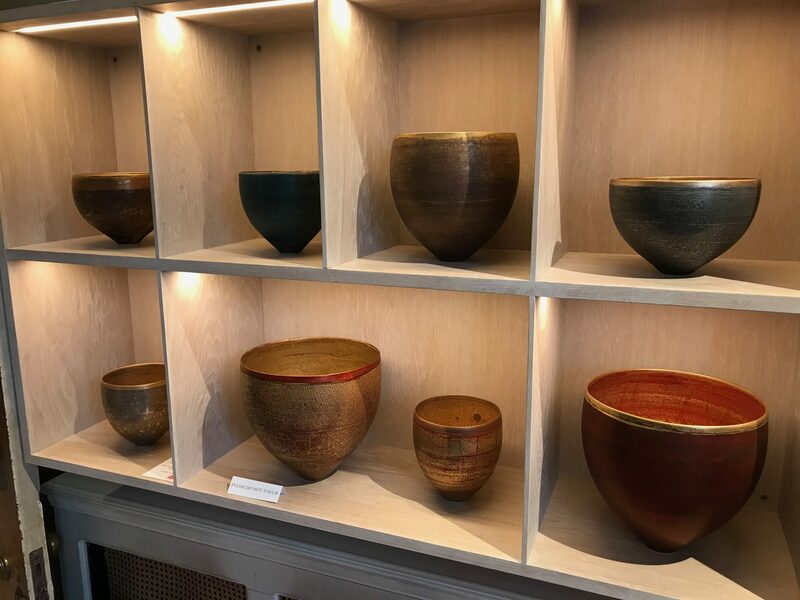 Alongside these, will be exciting new works by Halima Cassell, Kaori Tatebayashi, Joseph Harrington, Juli Bolaños-Durman, Svend Bayer and furniture from John Makepeace and Julian Chichester. 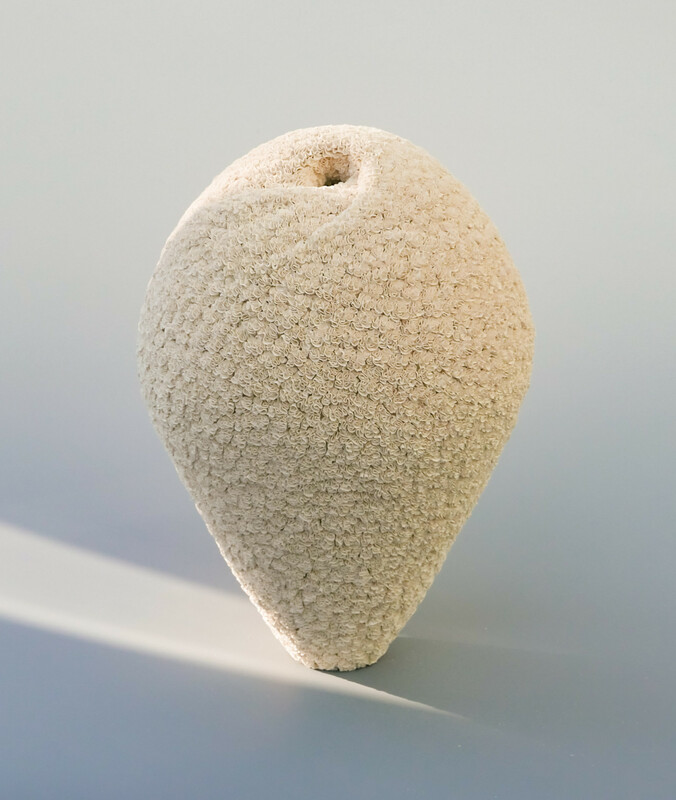 Several new international artists will also be featured for the first time at COLLECT including ceramics by Thiébaut Chagué, sculpture by Rósa Gísladóttir and ceramics by Hattori Makiko. 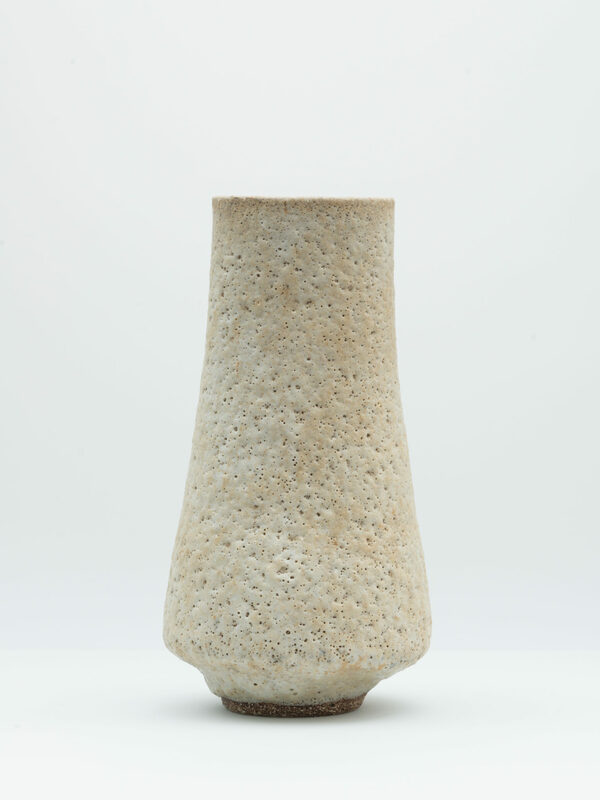 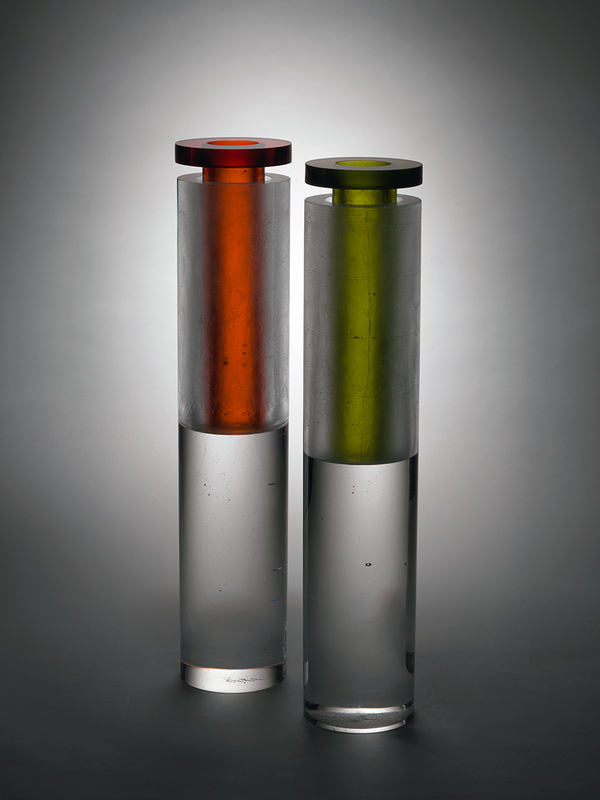 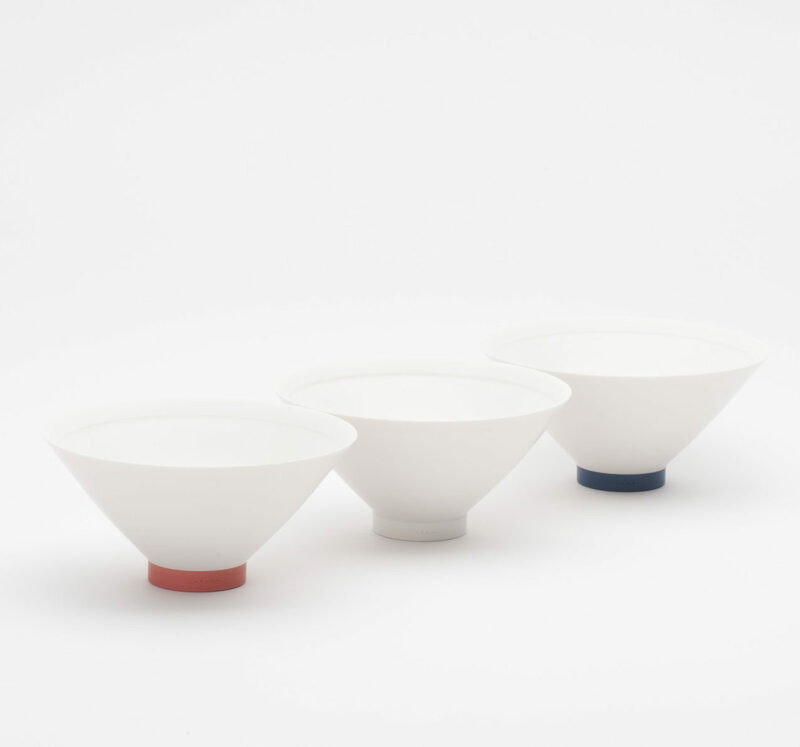 Joanna will also be offering collectors the opportunity to acquire exceptional museum-quality works by Hans Coper, Lucie Rie and Edmund de Waal. 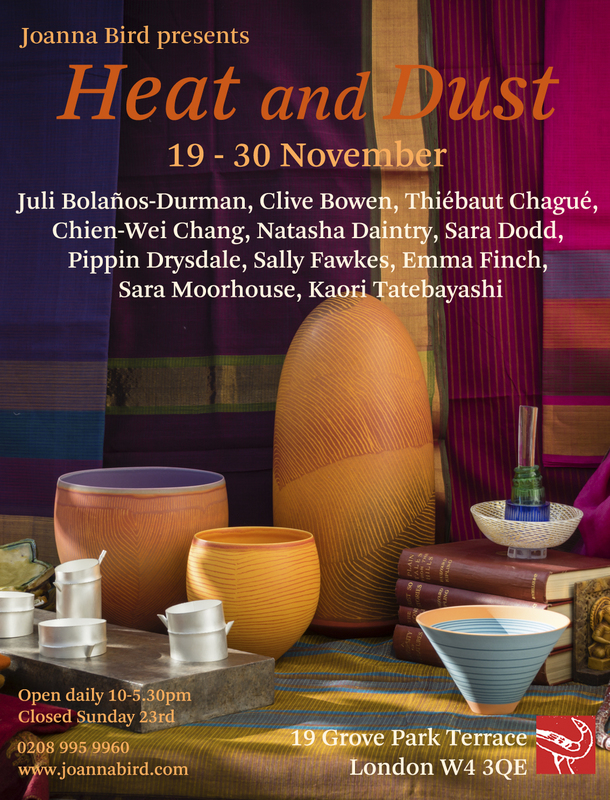 Joanna is delighted to announce her new exhibition, Heat and Dust, taking place at Grove Park Terrace from Wednesday 19 November to Sunday 30 November, open 10am – 5.30pm (including Saturdays, closed Sunday 23 November) with late night openings on Thursday 20 and Thursday 27 to 9pm. 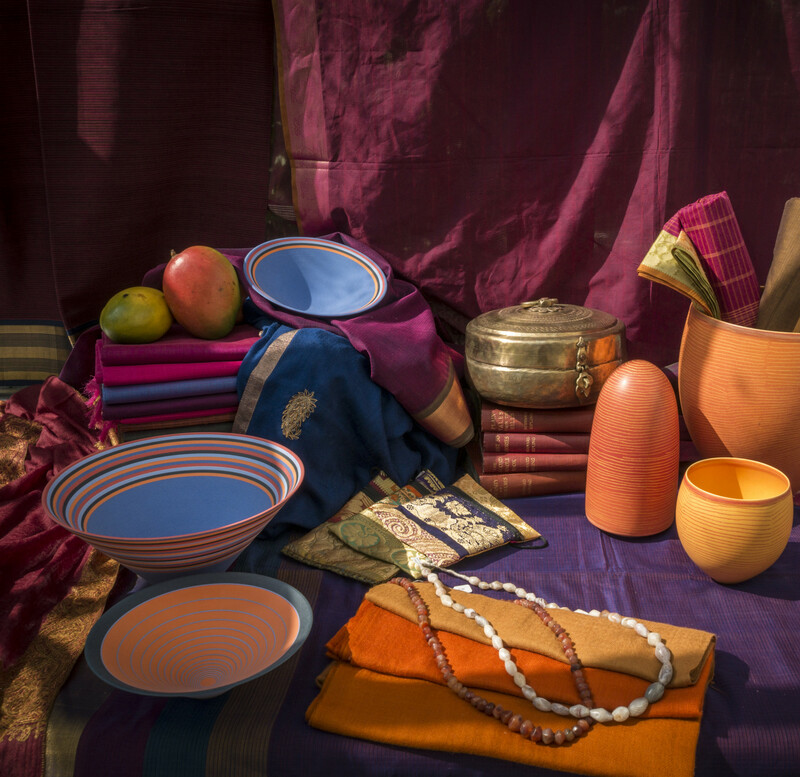 Joanna visited India earlier this year to source exotic new textiles and other craft products from artisans working in Chennai, Pondicherry and Jaipur. 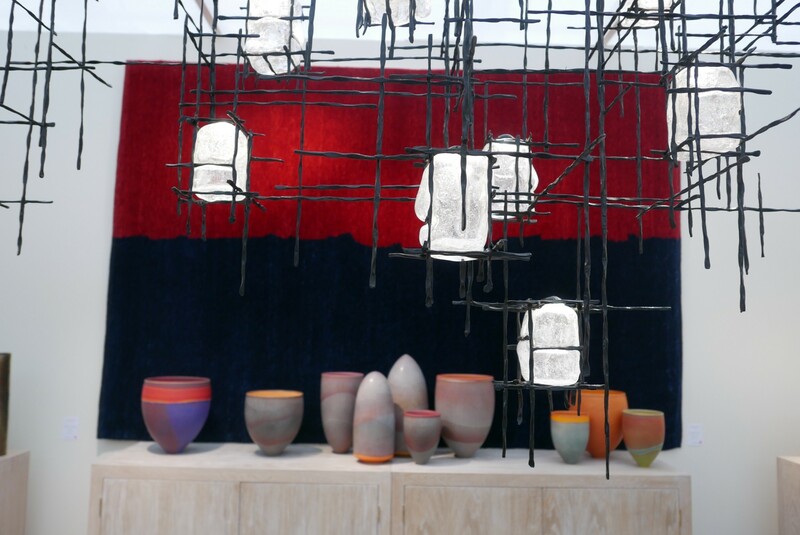 The result is an exhibition that conveys the rich and varied atmosphere of the country, showcasing the finest Indian hand-crafts and beautiful new contemporary ceramics and glass. 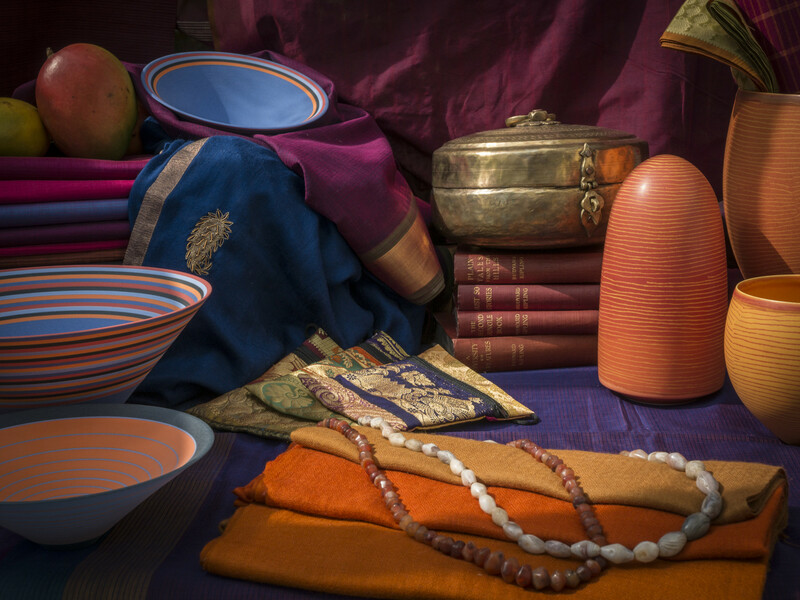 Finely woven silk saris, cashmere shawls and pashminas in a range of vibrant colours and traditional patterns will be complemented by the bright glazes and sculptural forms of work from both established and emerging artists. 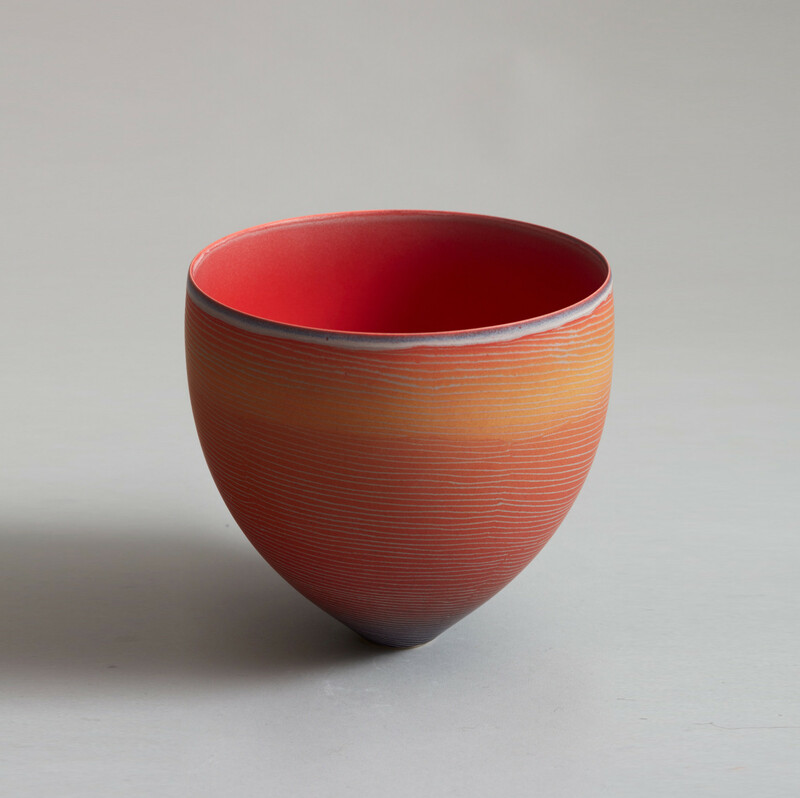 Pippin Drysdale explores a range of colours from Violet to Crimson to Ochre to enliven her unique porcelain forms. 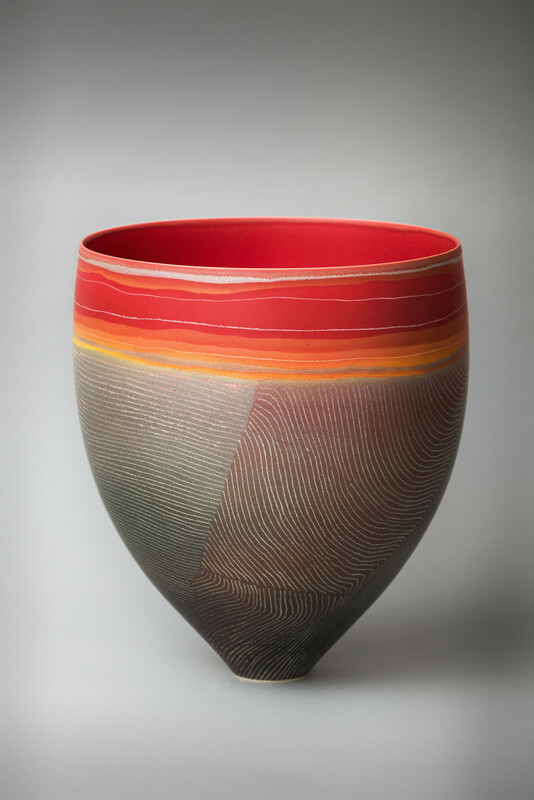 Sara Moorhouse and Natasha Daintry will provide their take on the vessel in an equally dazzling array of colours directly inspired by the craft textiles in the show. 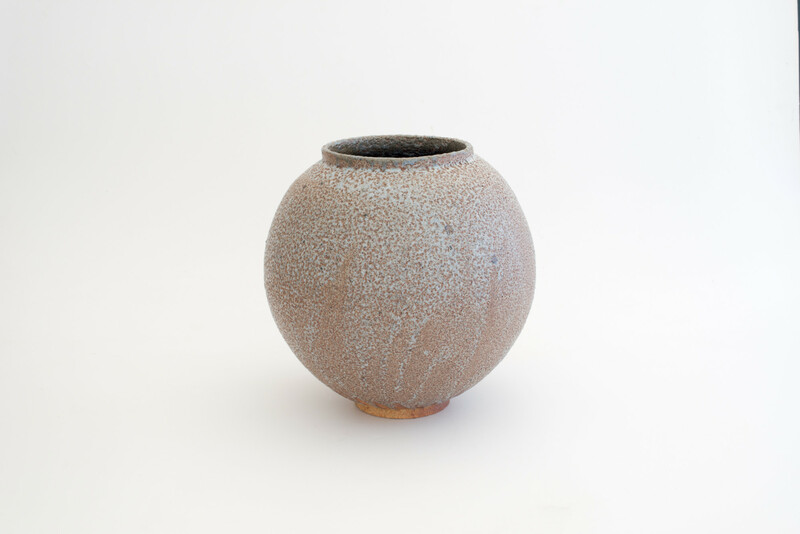 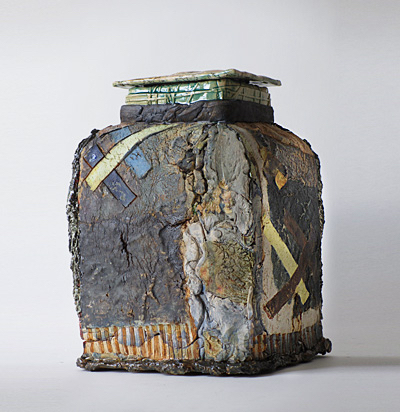 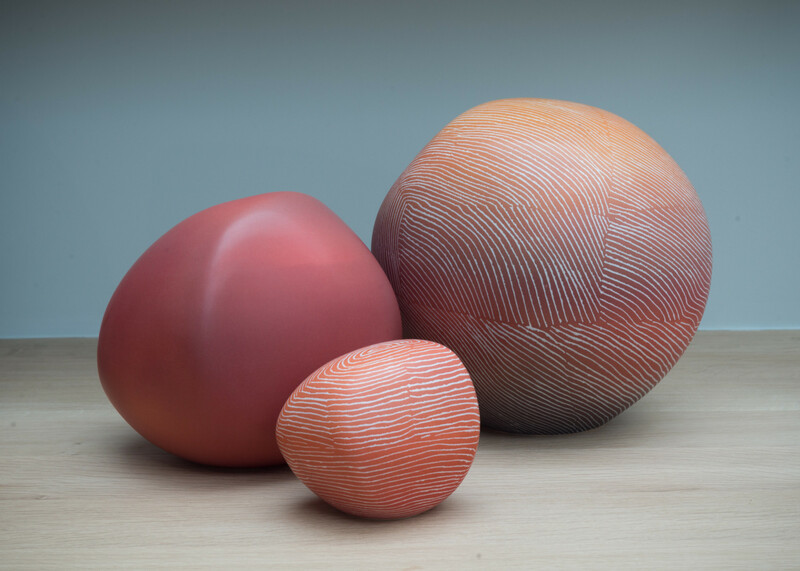 Ceramics from Clive Bowen, Richard Batterham and Kaori Tatebayashi demonstrate the beauty of functional form whilst Thiébaut Chagué’s powerful sculptures speak of the immediate relationship between earth and fire. 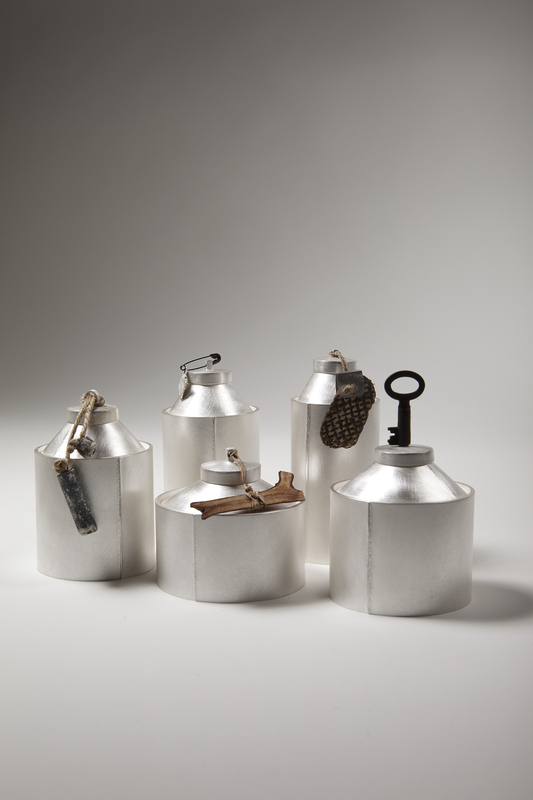 Chien-Wei Chang’s silver work responds to objects in everyday use in India, bringing a fresh view on a country that is undergoing rapid change. 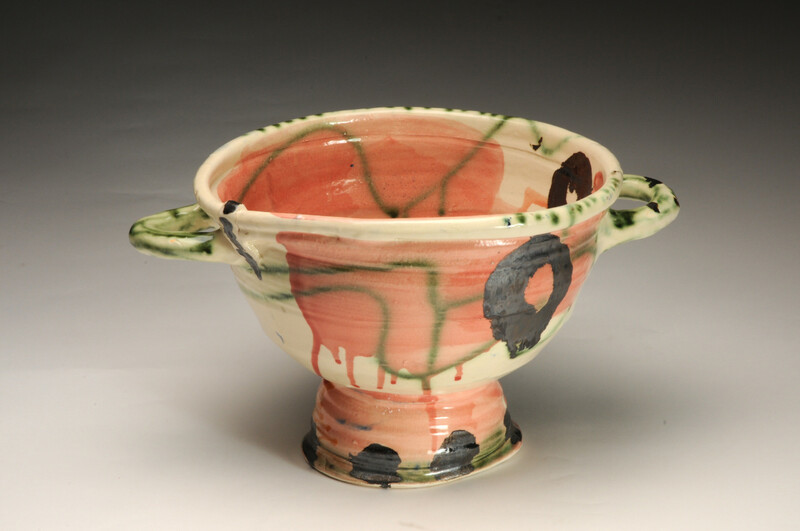 The show will also feature ceramics by Sara Dodd and Emma Finch, and new work in glass from Juli Bolaños-Durman. 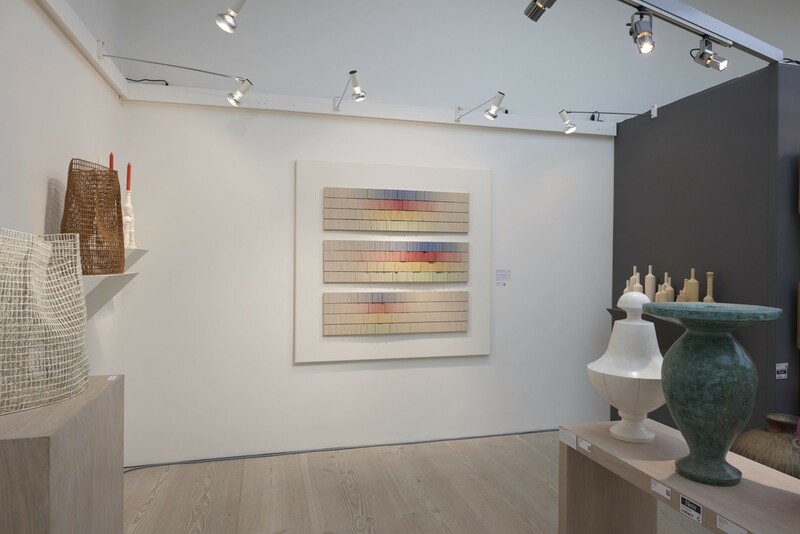 In association with Messum’s, the exhibition will run alongside a show of work by Frank Phelan. 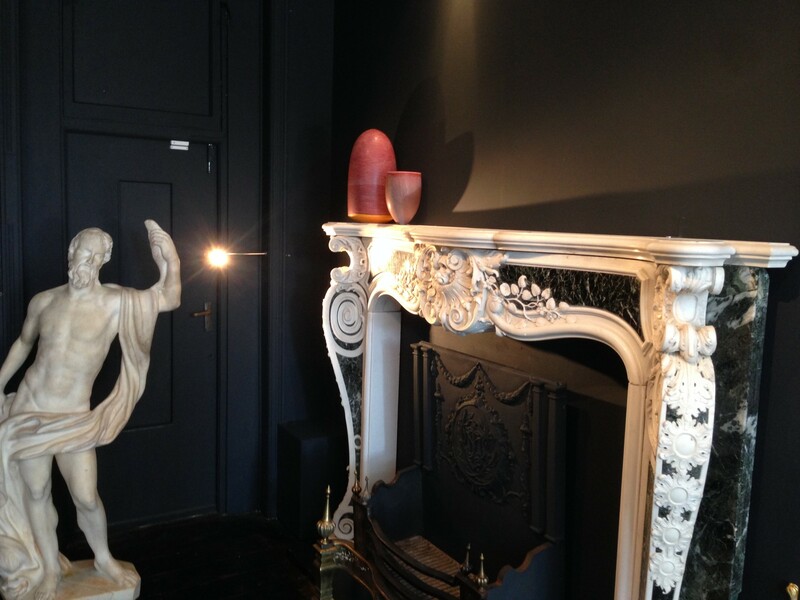 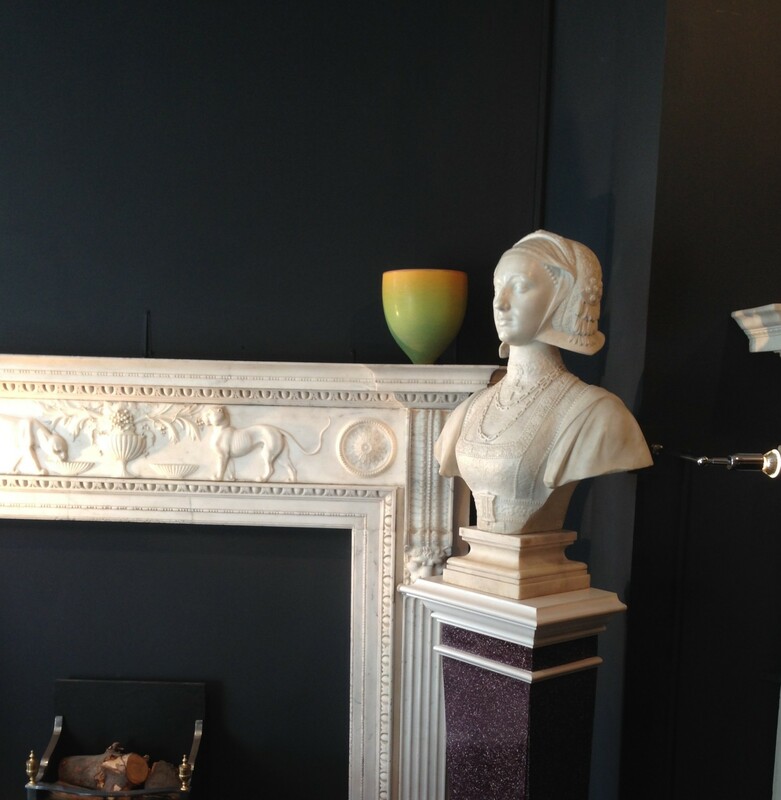 Joanna Bird presents a selection of curated works at Chesney’s the new showroom in Battersea. 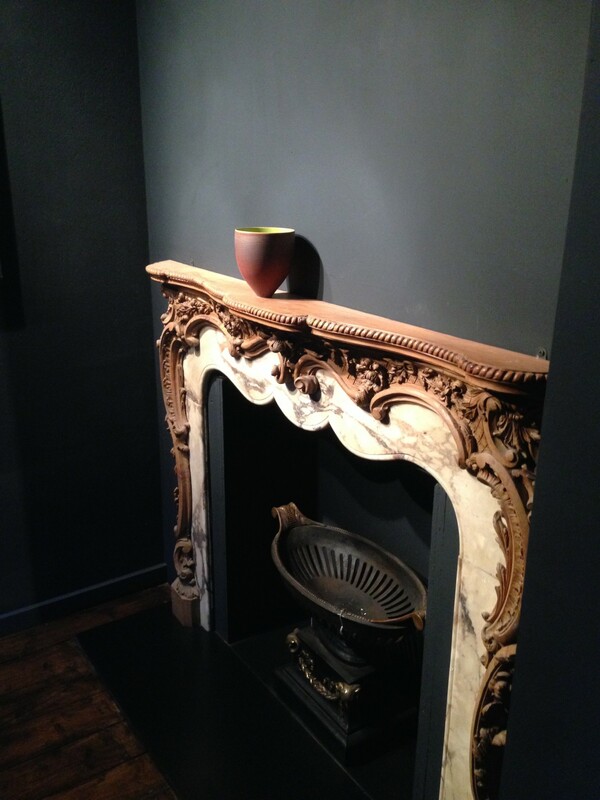 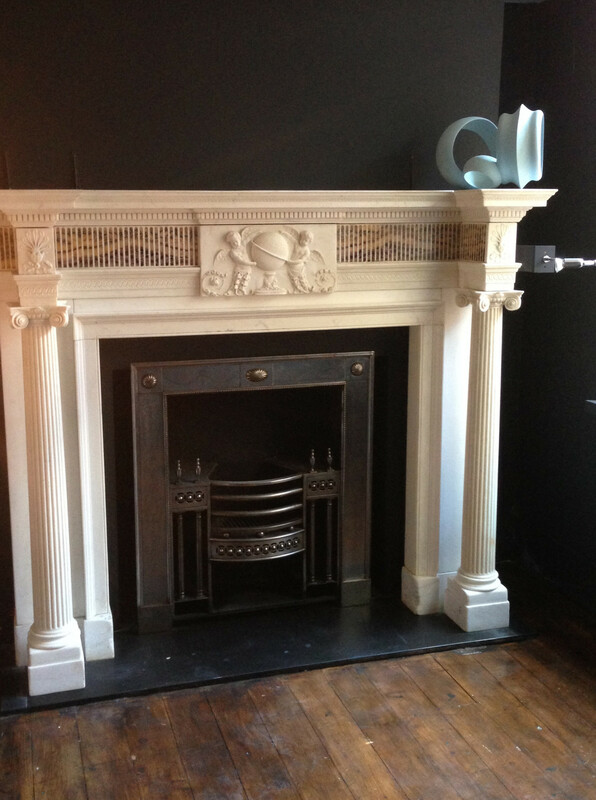 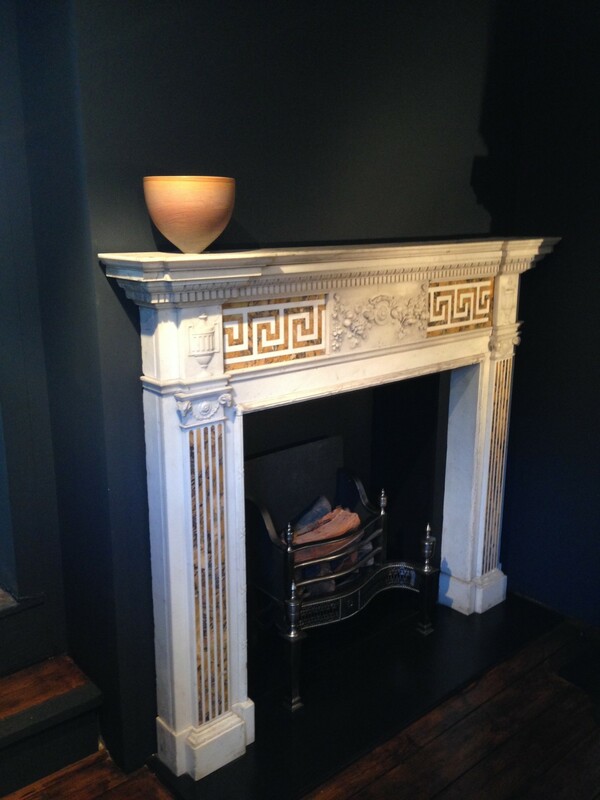 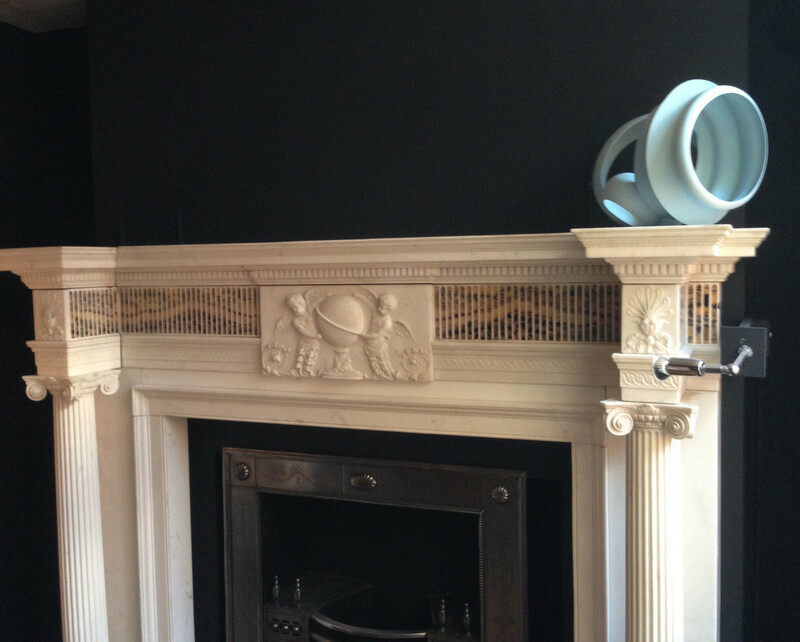 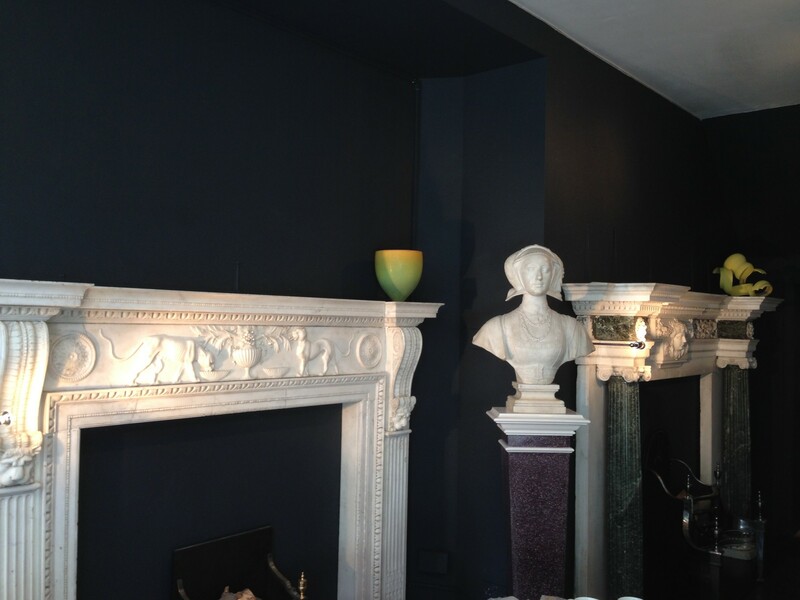 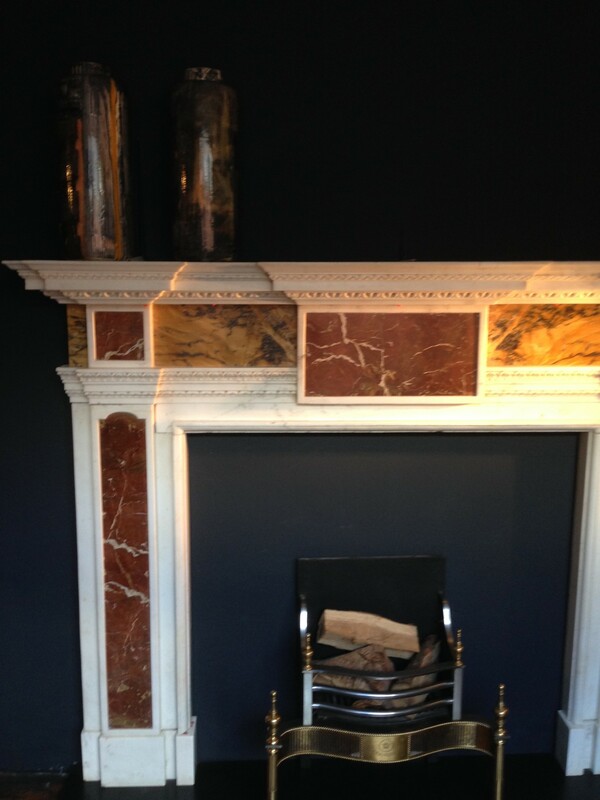 Joanna chose vibrant ceramic works to complement Chesney’s period and contemporary luxury fireplaces. 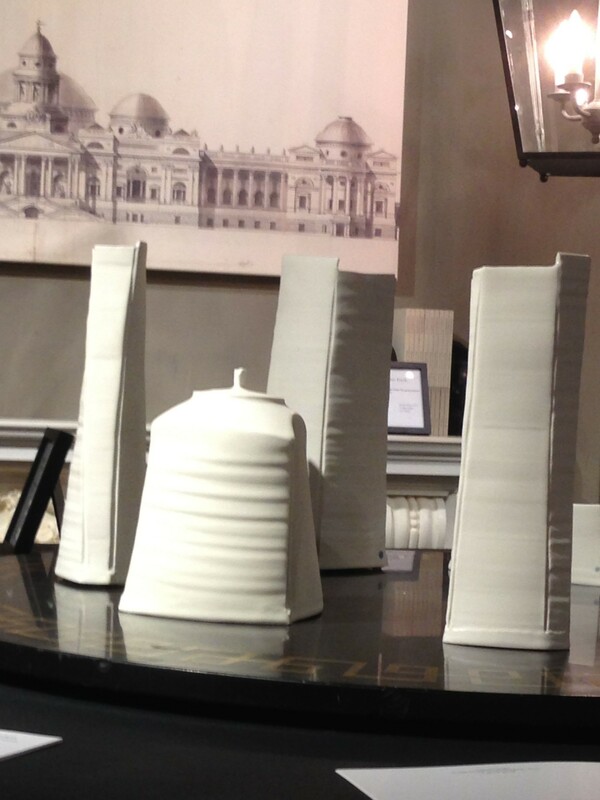 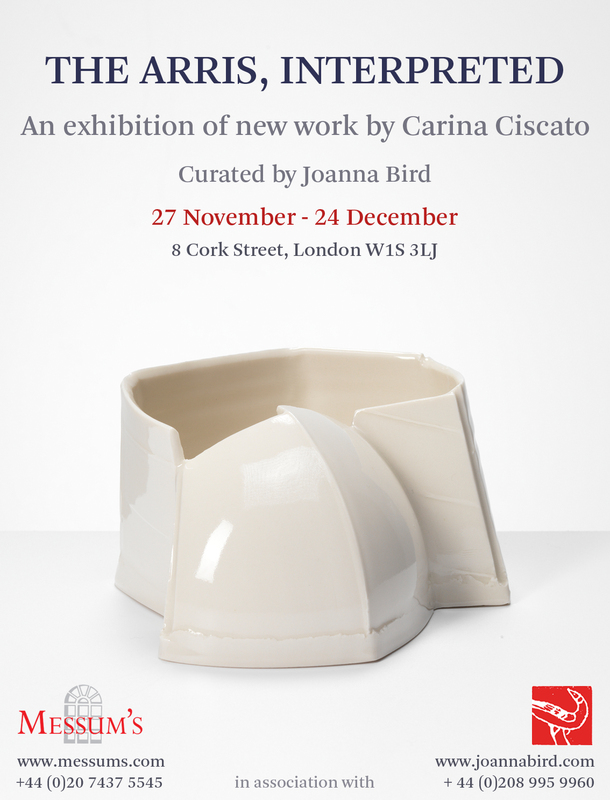 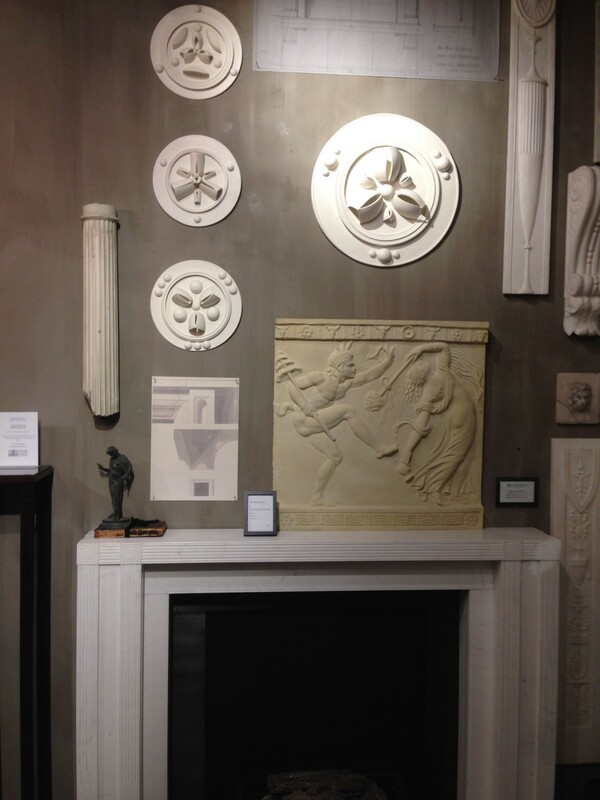 Coinciding with the Inspired by Soane launch at Chesney’s New York, Carina Ciscato is exhibiting new works including a series of roundels, which she developed as part of the Marking the line: Ceramics and Architecture. 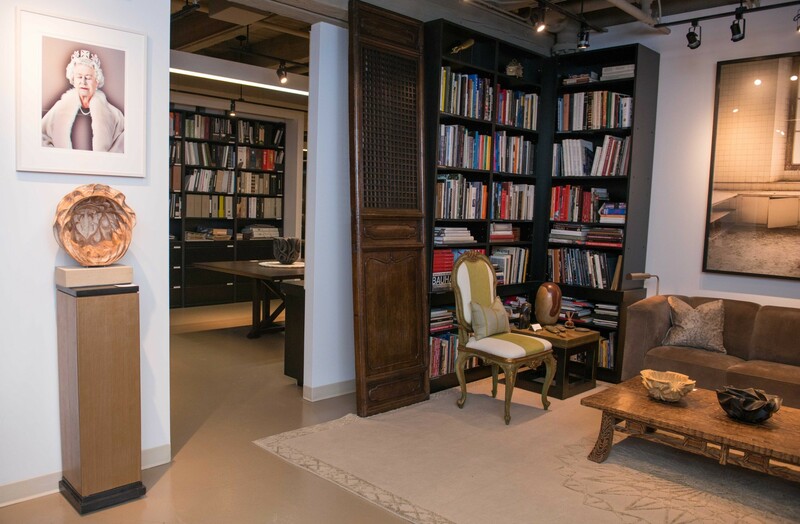 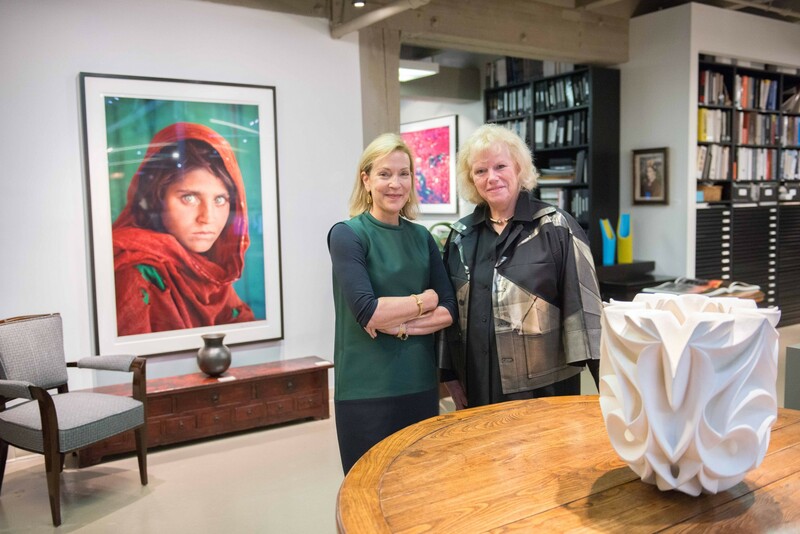 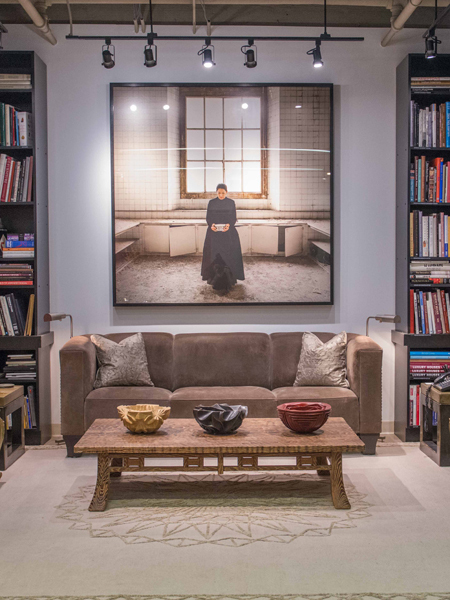 In November 2013, Joanna Bird visited Chicago for a pop-up exhibition in the studio of renowned interior designer Suzanne Lovell. 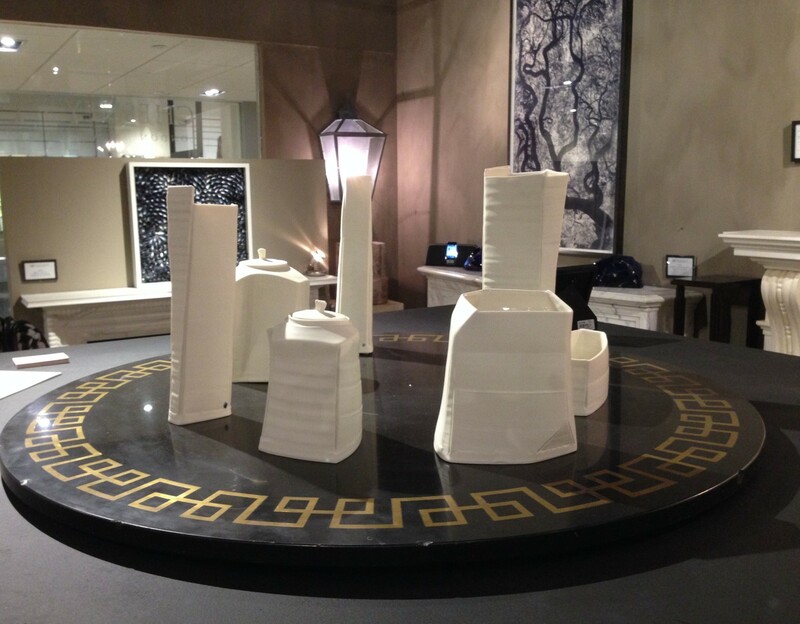 The show coincided with SOFA Chicago, where Joanna had a stand and Suzanne had designed the VIP room. 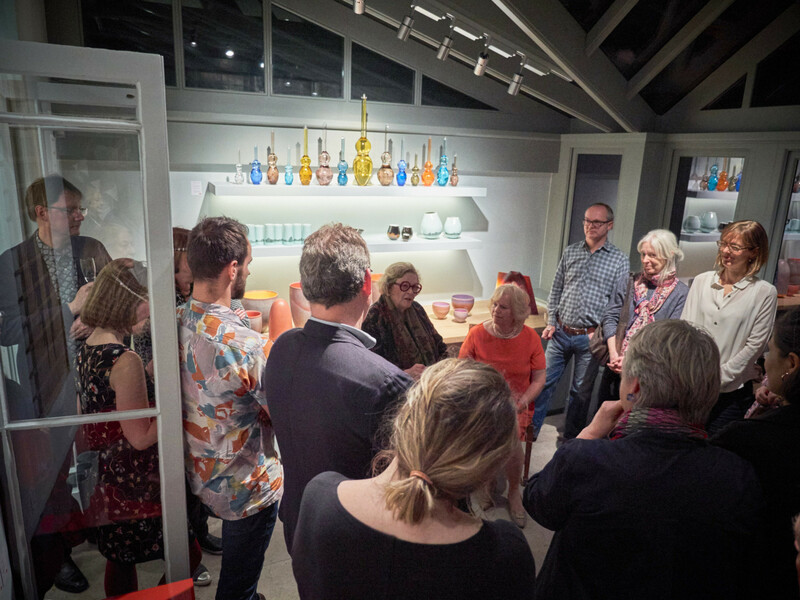 Showing a range of contemporary and historic works in a variety of media, Joanna and Suzanne gave a talk about the importance of decorative arts within the home and the three dimensional experience. 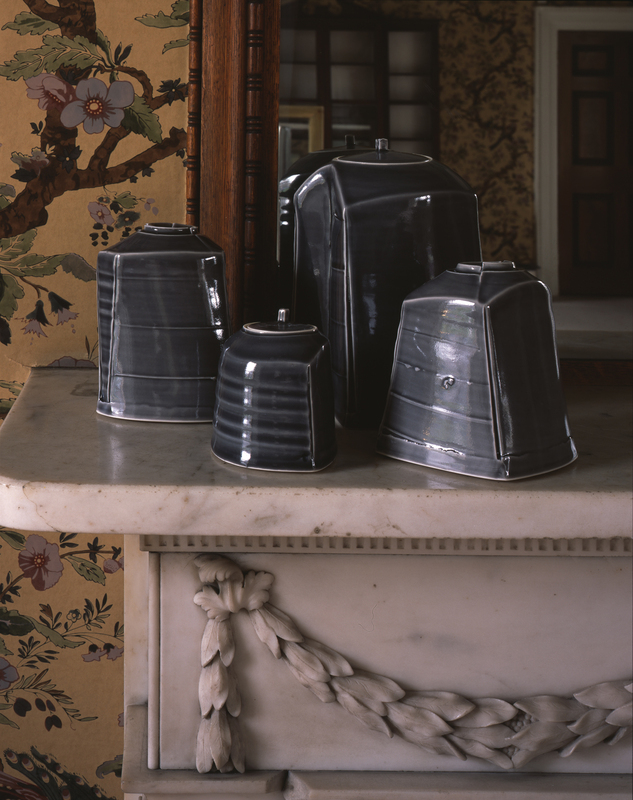 Marking the line: Ceramic and Architecture was a touring exhibition, which commissioned four artists to create ceramic installations responding to the life and works of Sir John Soane. 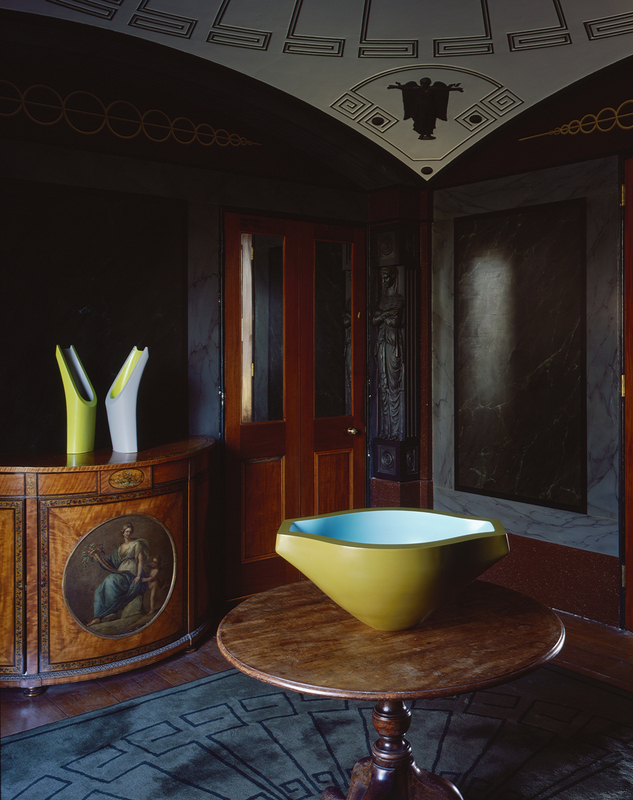 Curated by Joanna Bird and Dr Jerzy Kierkuć-Bieliński, Exhibitions Curator at Sir John Soane’s Museum, the exhibition sought to challenge where and how we view ancient and modern works of art. 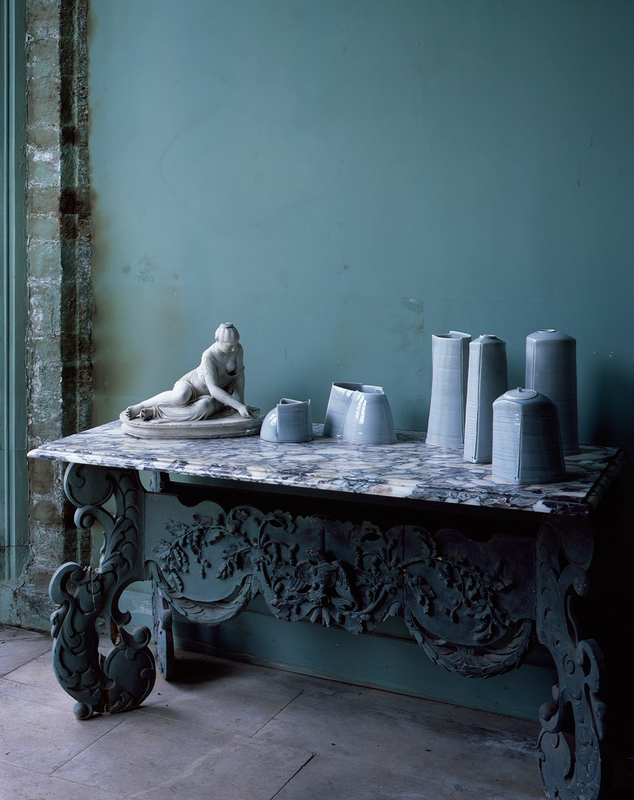 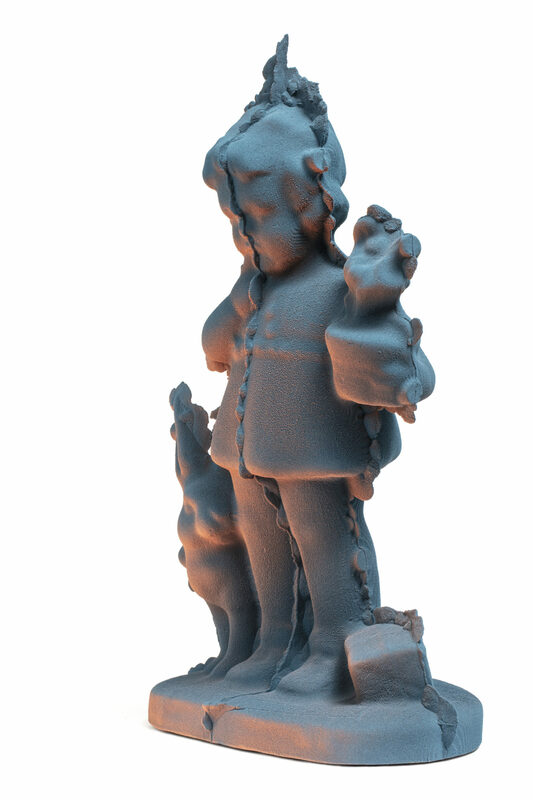 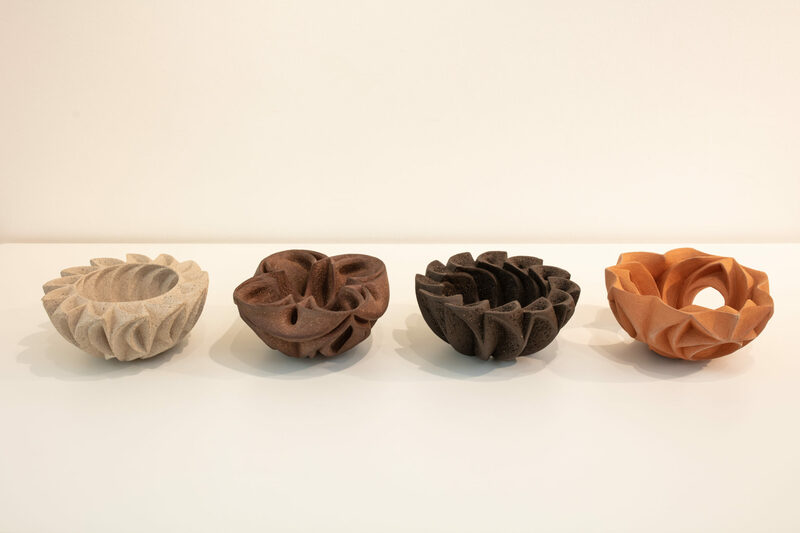 Ceramic artists Nicholas Rena, Carina Ciscato, Clare Twomey and Christie Brown were commissioned to create life specific responses to celebrated neoclassical architect Sir John Soane, inspired by his work, life and collections. 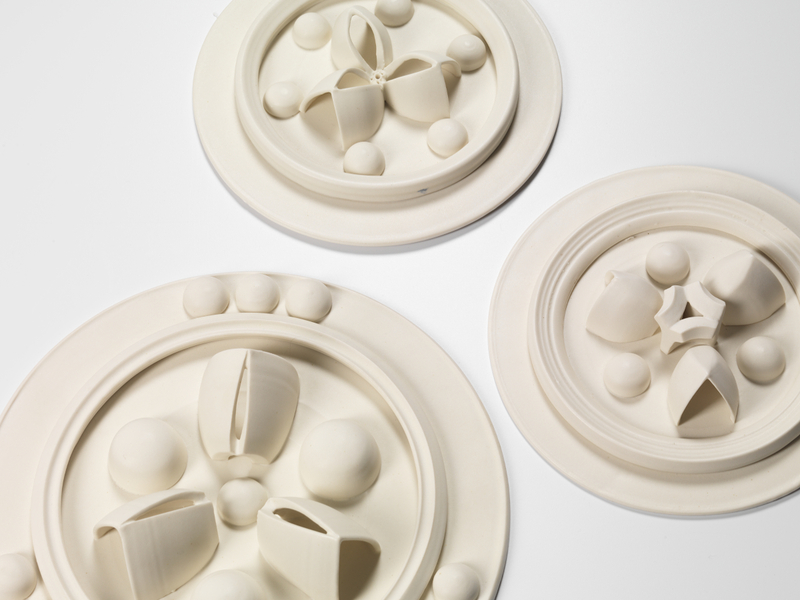 The concept was, by introducing contemporary ceramic art into an historic architectural setting to explore the relationship between ceramics and architecture. 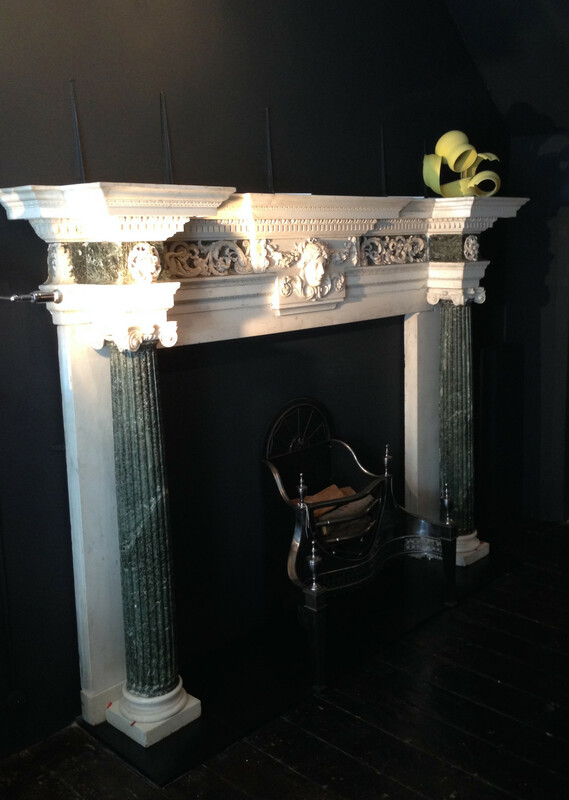 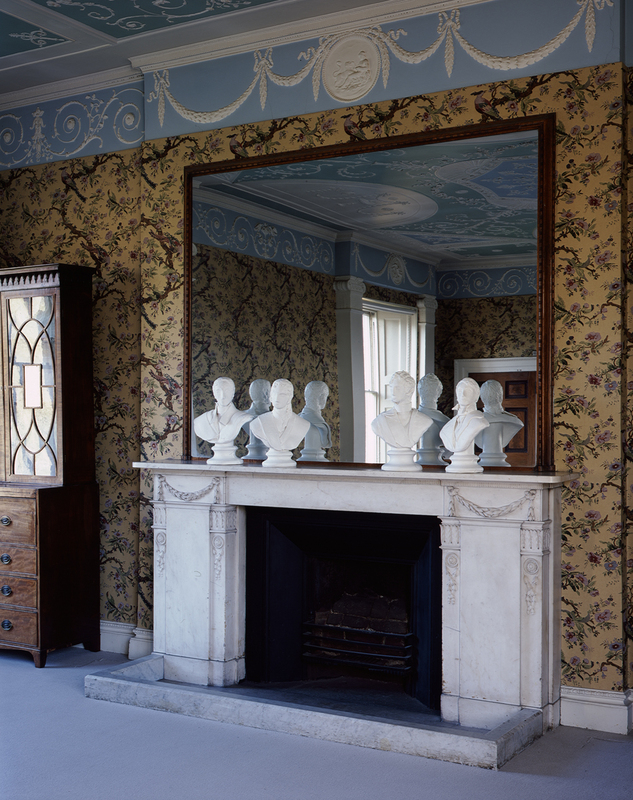 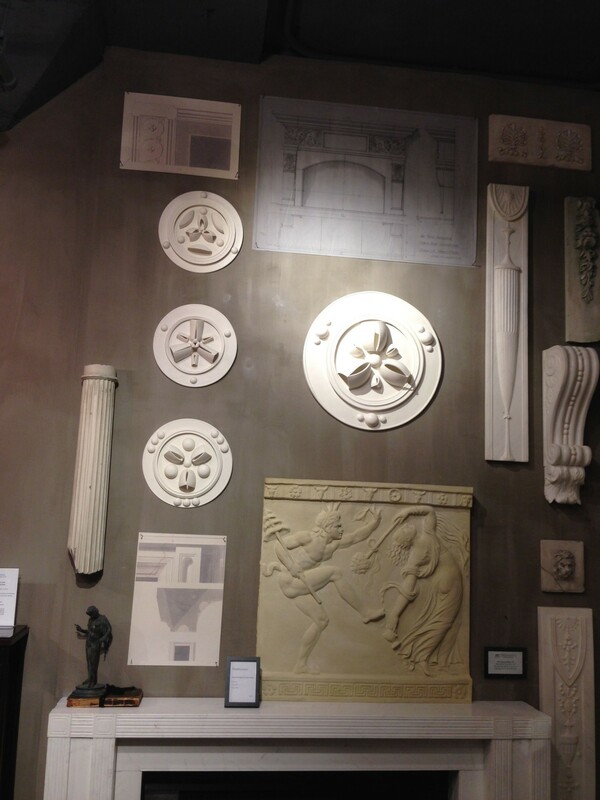 The exhibition opened at Sir John Soane’s Museum on March 8, 2013 and then travelled onto two further houses designed or partially designed by Soane: Port Eliot in Cornwall and Pitzhanger Manor in Ealing. 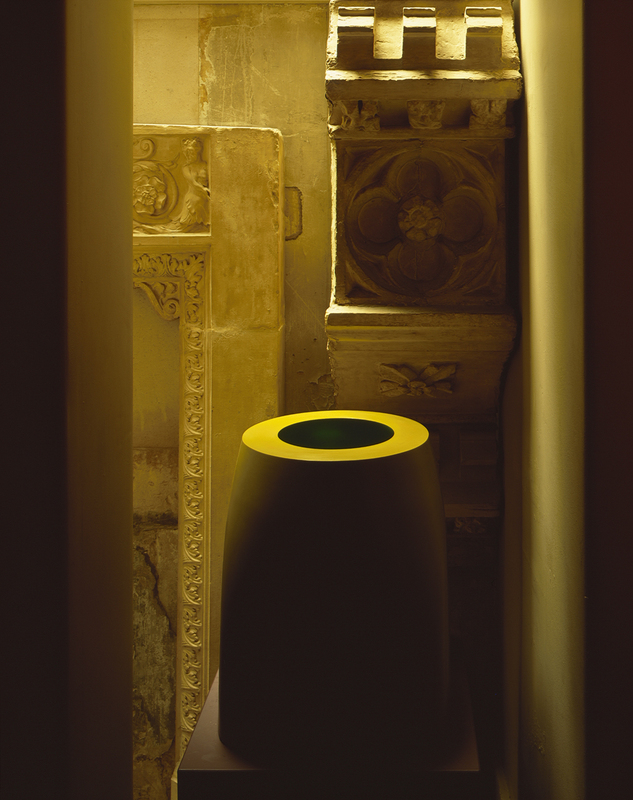 Very different dialogues between work and historic setting emerged as the exhibition translated from one venue to the next. 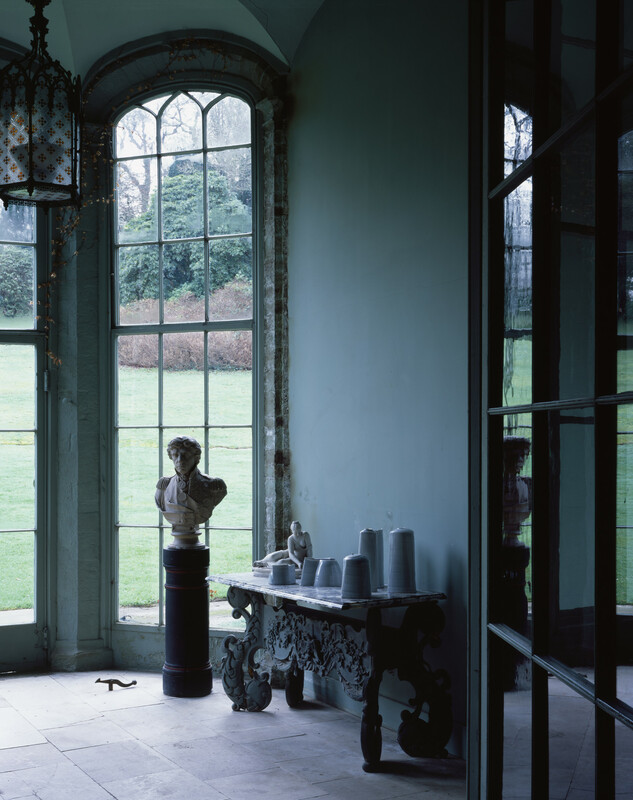 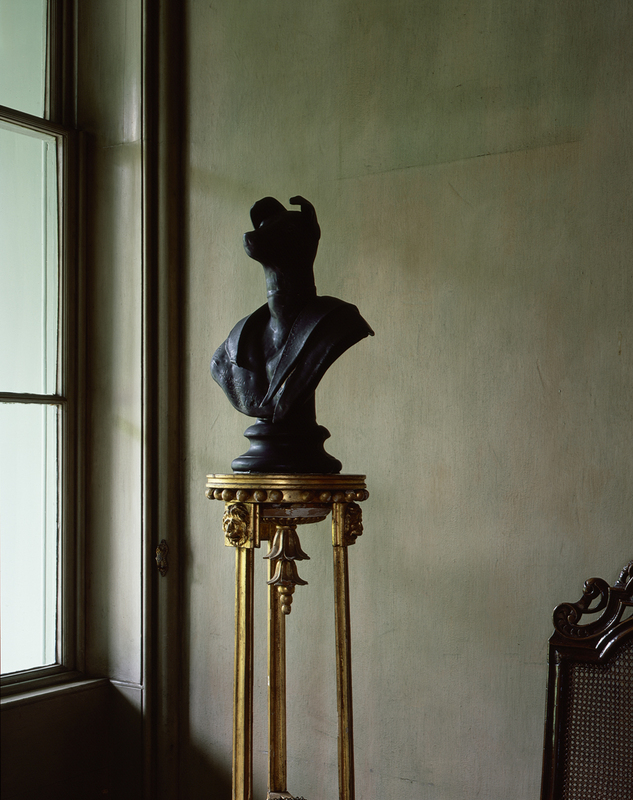 In Port Eliot for example, themes of dynasty in Christie Brown’s work resonated not only with the life of Soane but also with that of the St.Germans family at Port Eliot, so much so that Christie produced a further two pieces, busts of the 1st Lord & Lady St Germans, to enhance the exhibition. 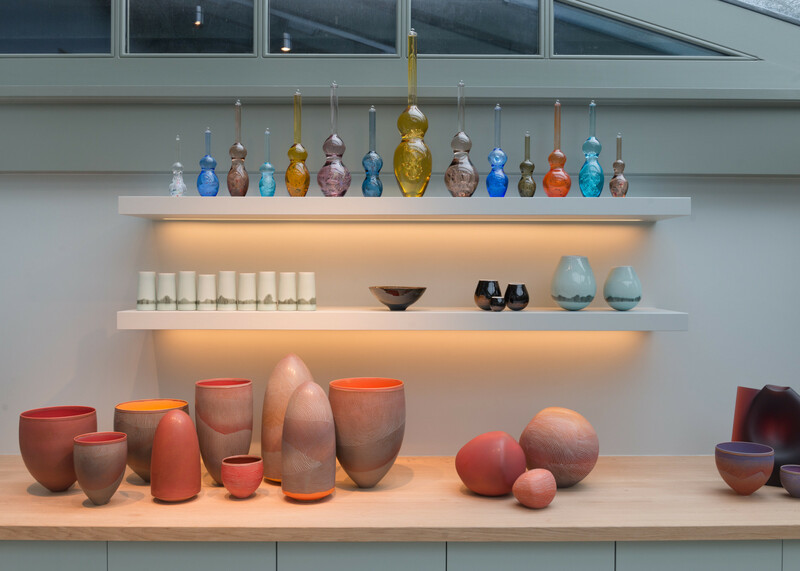 An educational programme accompanied the exhibition, including a symposium at Somerset House, Masterclasses run by Carina Ciscato and a Village of kilns at Port Eliot. 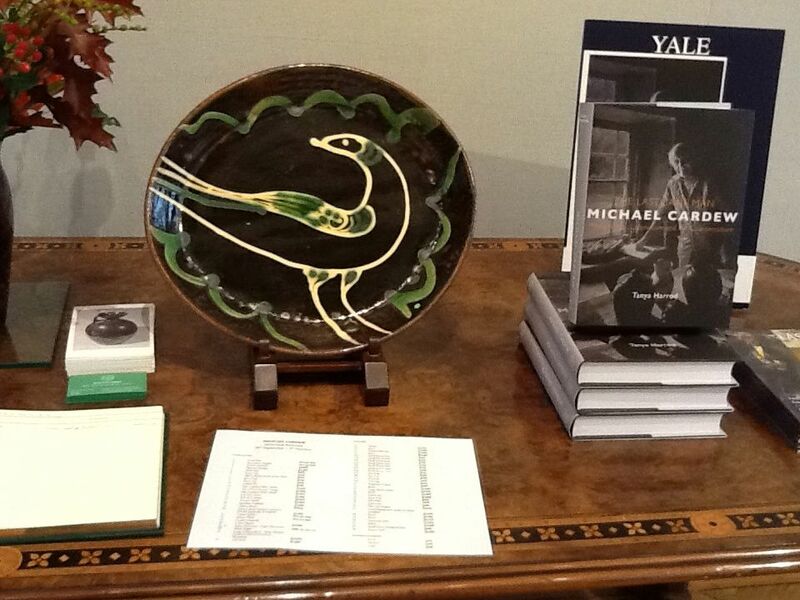 Joanna Bird presented a seminal group of works by Michael Cardew at the Fine Art Society, London to coincide with the launch of Tanya Harrod’s major biography The Last Sane Man: Michael Cardew: Modern Pots, Colonialism, and Counterculture published by Yale University Press for the Paul Mellon Centre for Studies in British Art. 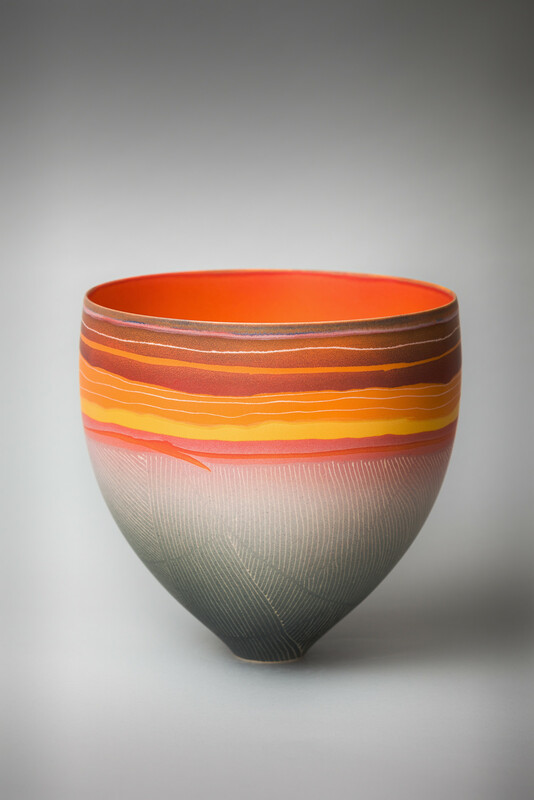 The exhibition included examples of Michael’s work throughout his career. 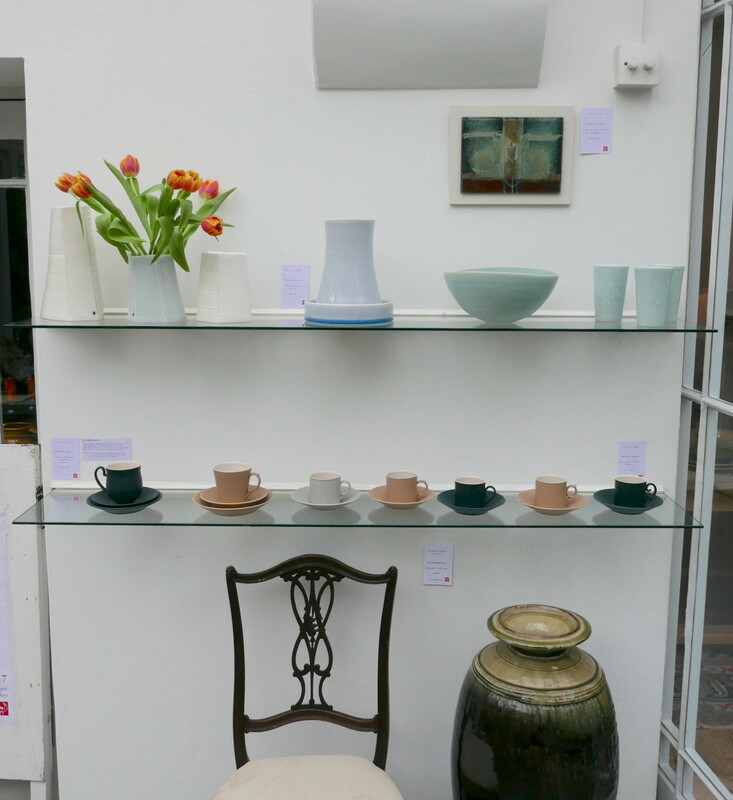 These include bowls and lamps from Winchcombe, Abuja soy and talc pots and Wenford stem cups. 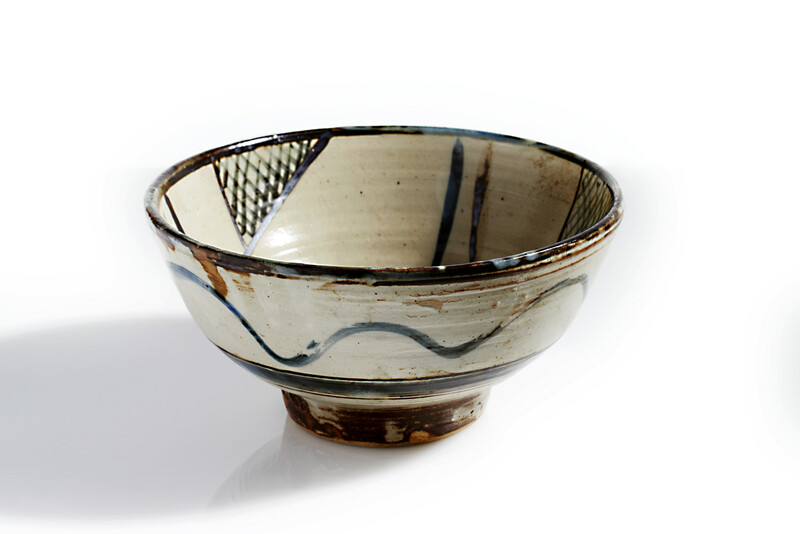 Michael Cardew was one of Bernard Leach’s first pupils. 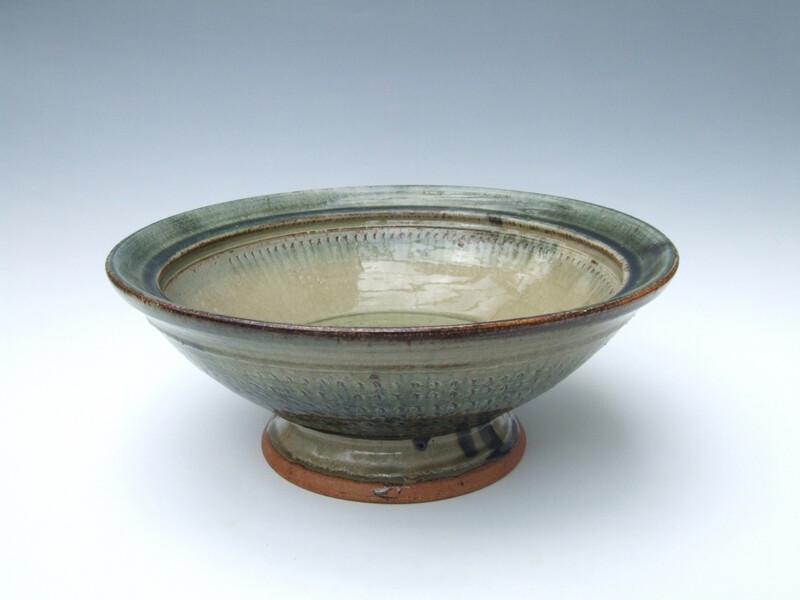 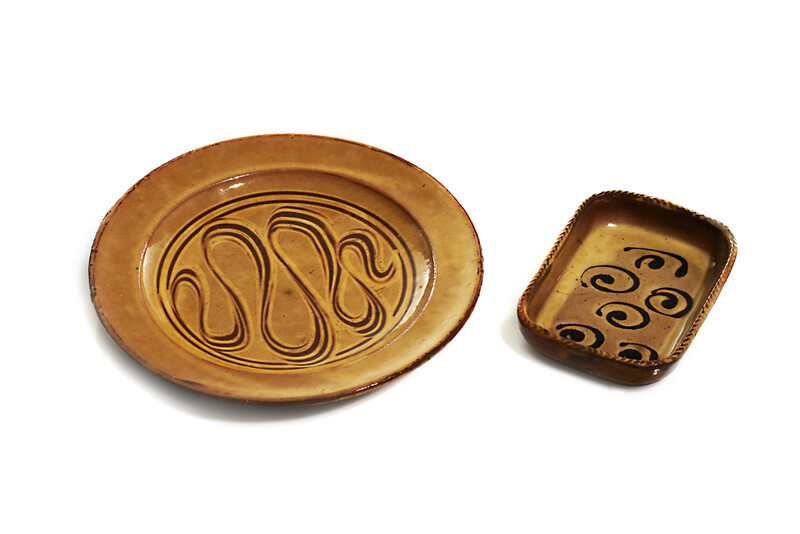 In 1926, he set up a traditional English pottery in Winchcombe, Gloucestershire. 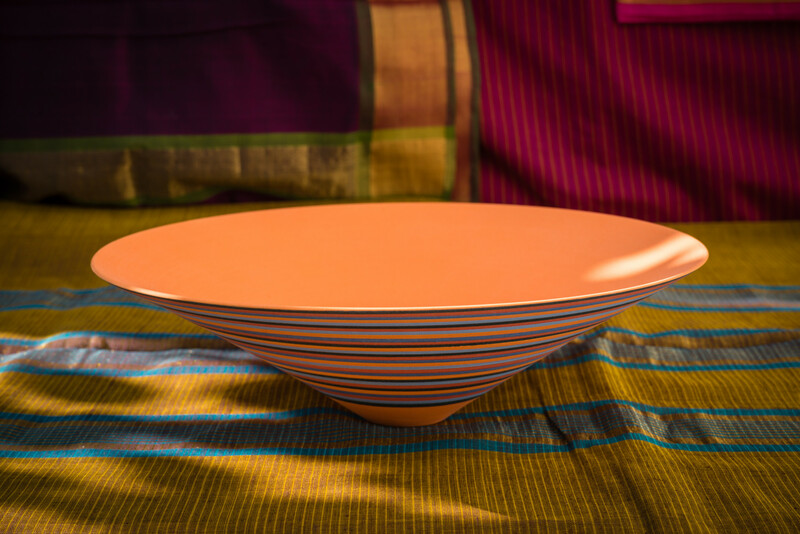 His aim was to produce functional affordable pieces. 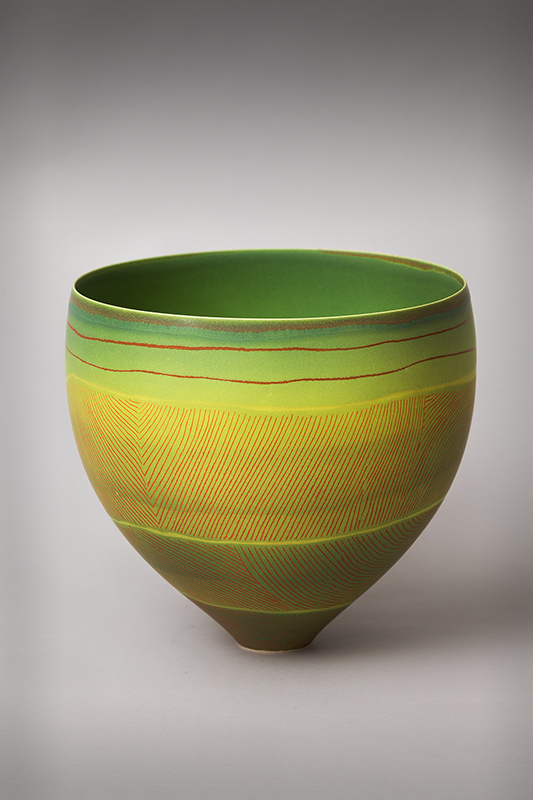 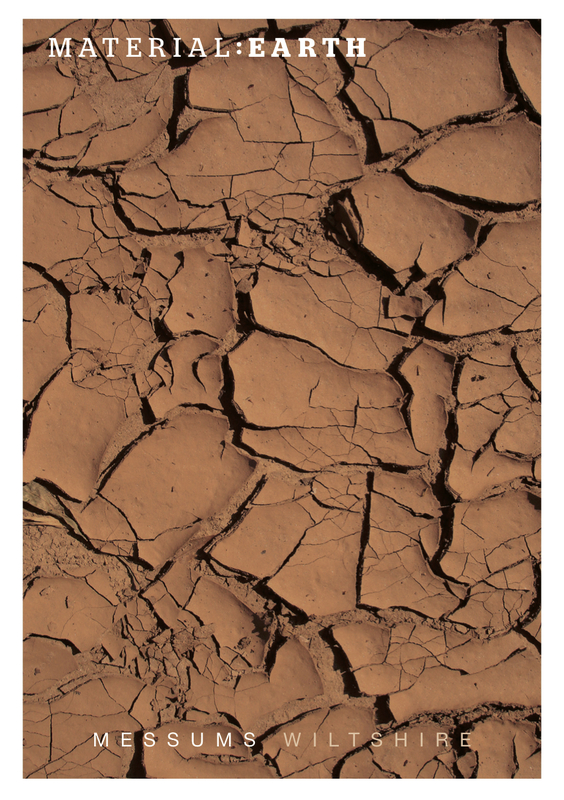 He worked from grass roots, mixing his own clay body and all the pigments and glazes. 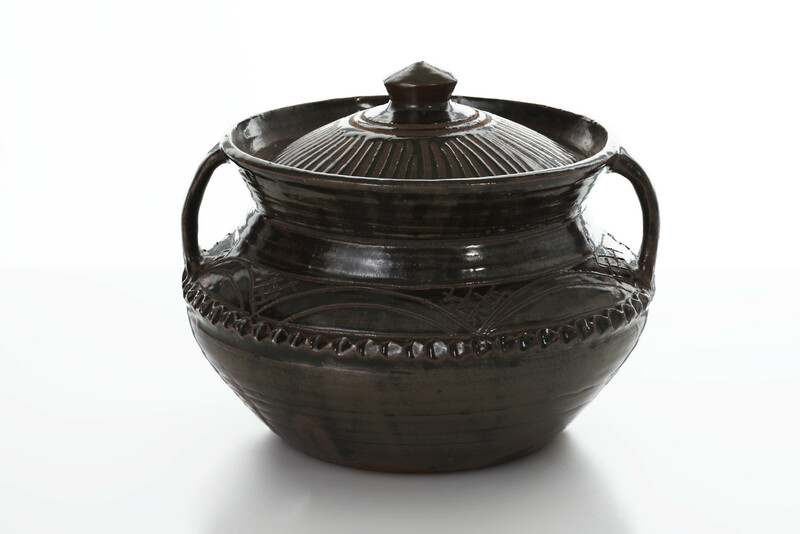 In 1939, he returned to Cornwall to set up a pottery at Wenford Bridge and in 1942, he established a pottery in Ghana. 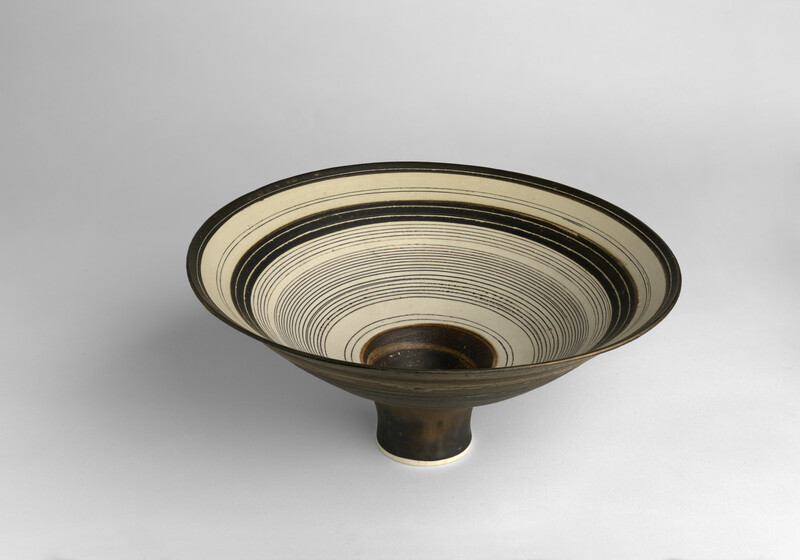 He trained West African potters and brought his western ideas and technology to the more traditional primitive pottery of West Africa. 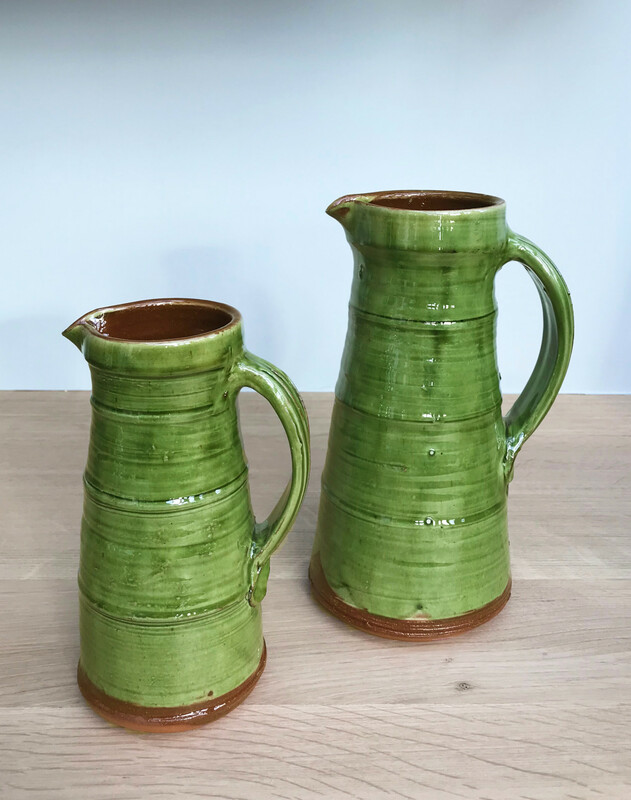 © 2019 Copyright Joanna Bird.